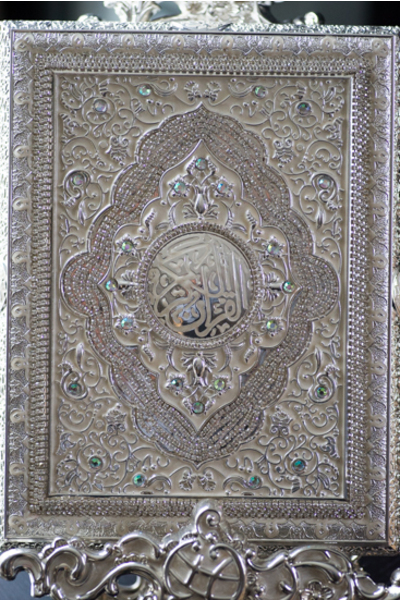 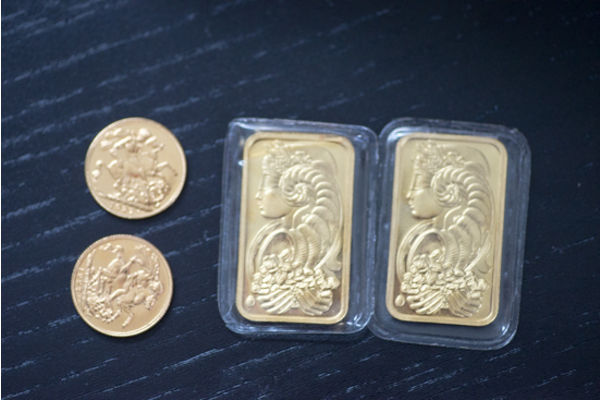 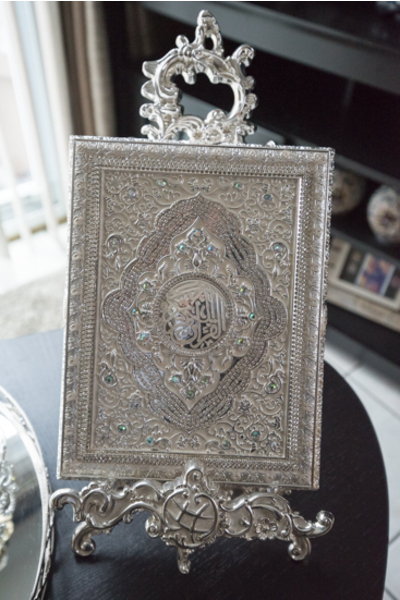 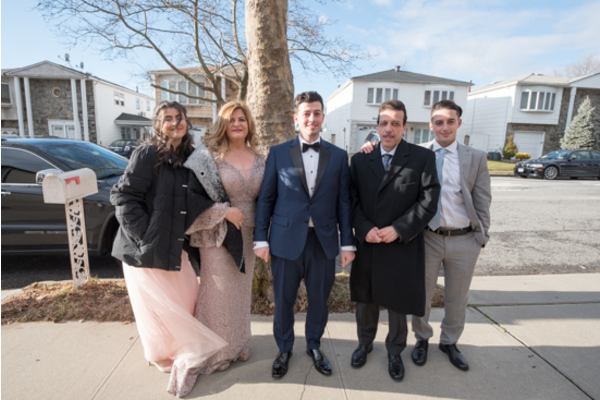 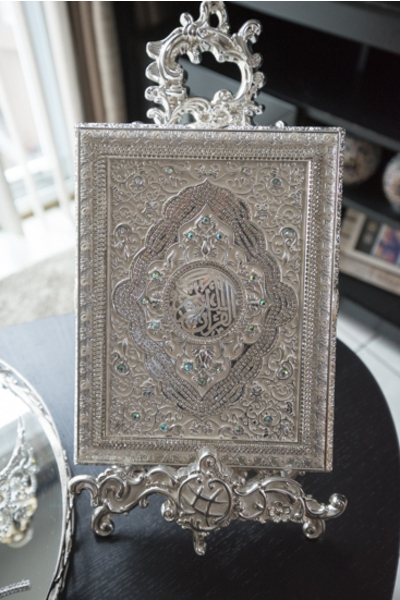 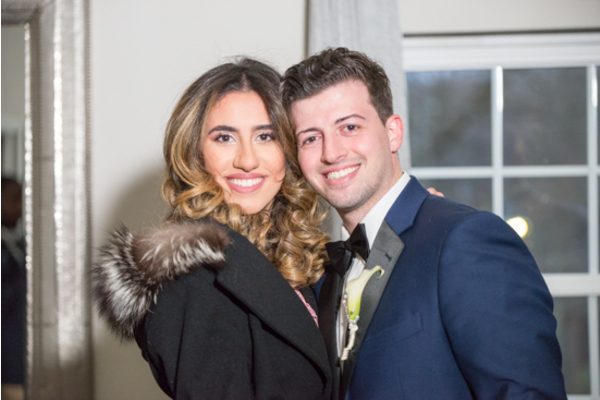 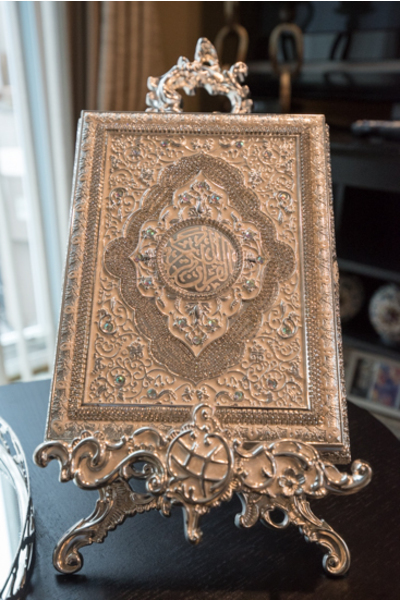 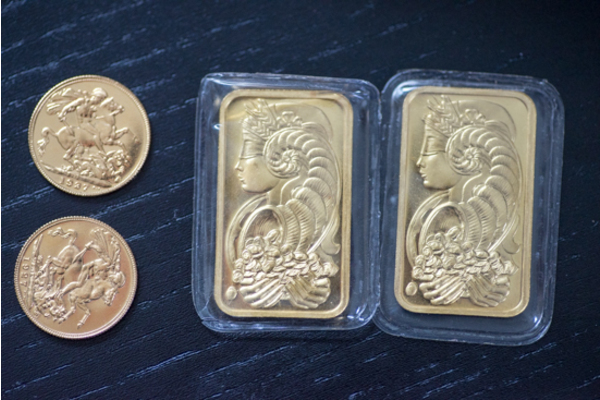 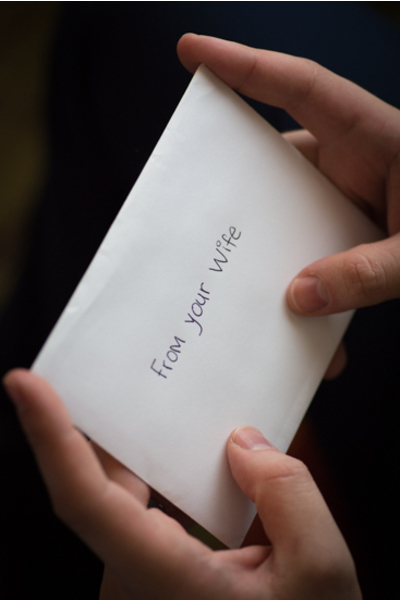 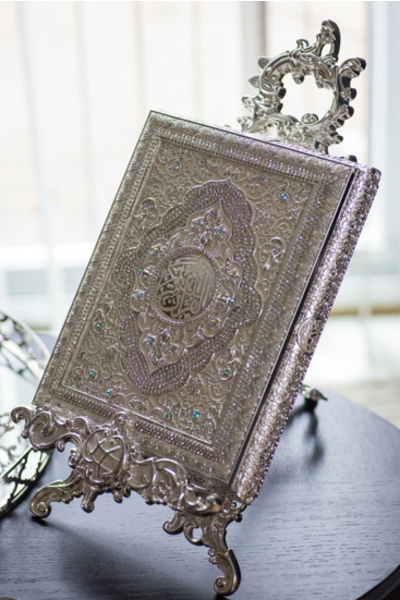 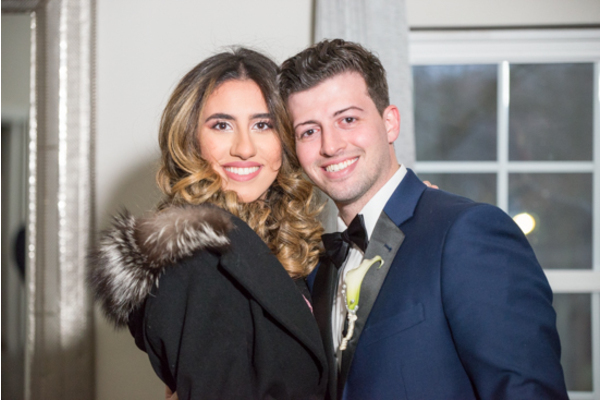 Congratulations to Fatima and Saddik on their recent marriage! 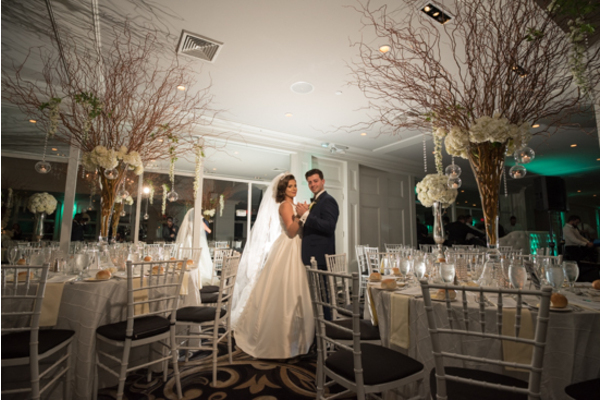 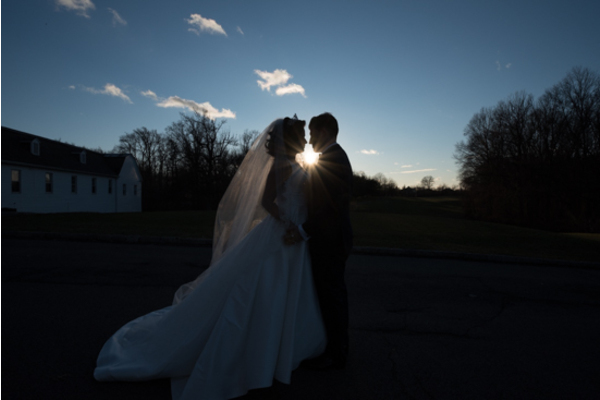 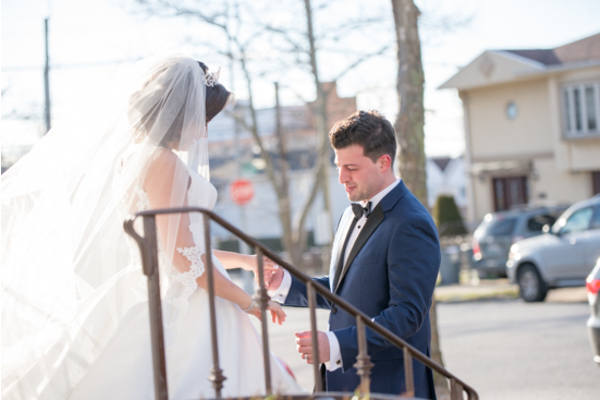 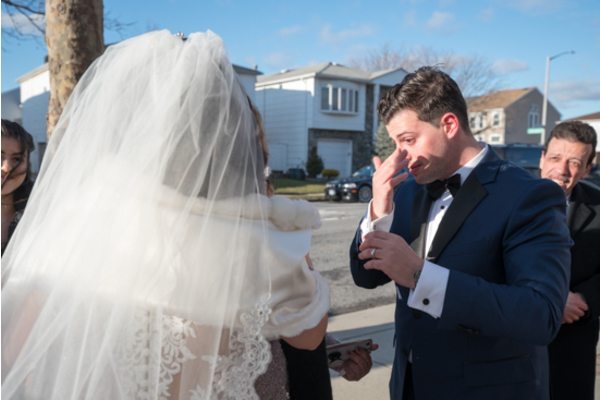 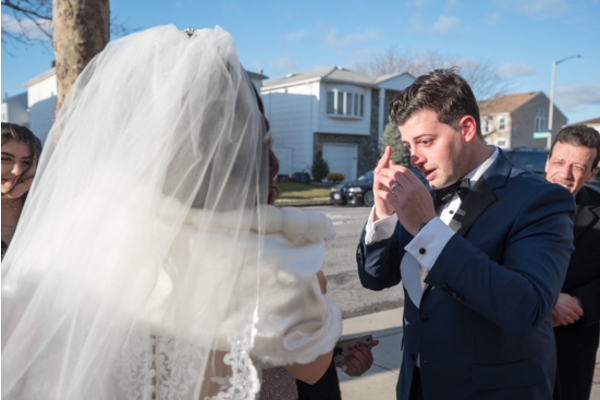 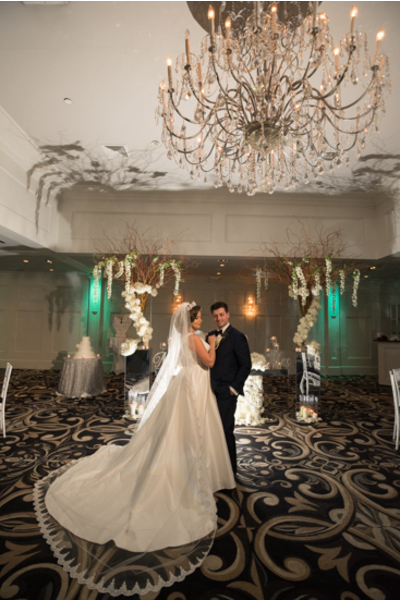 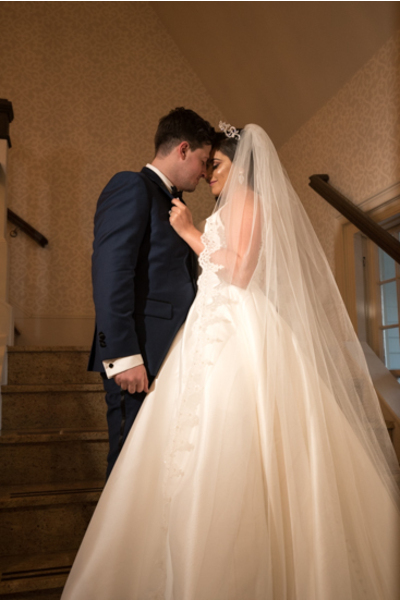 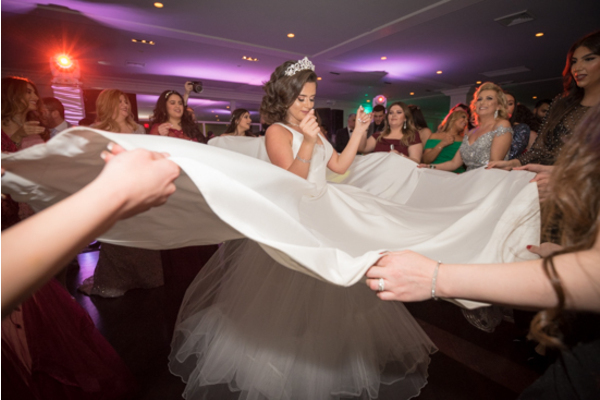 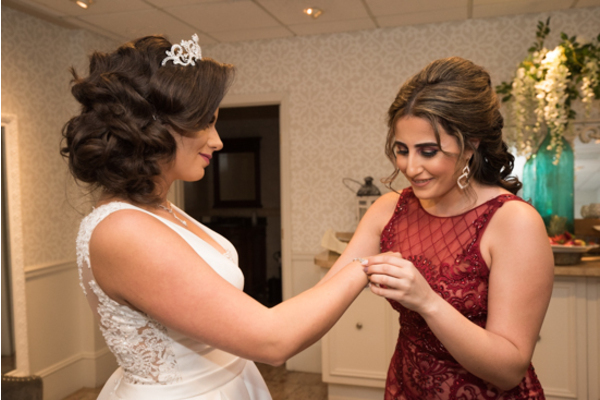 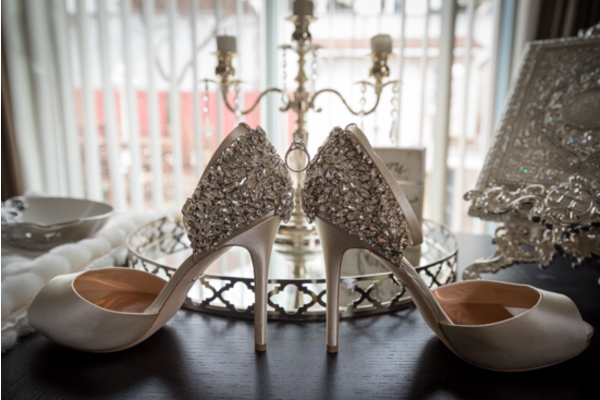 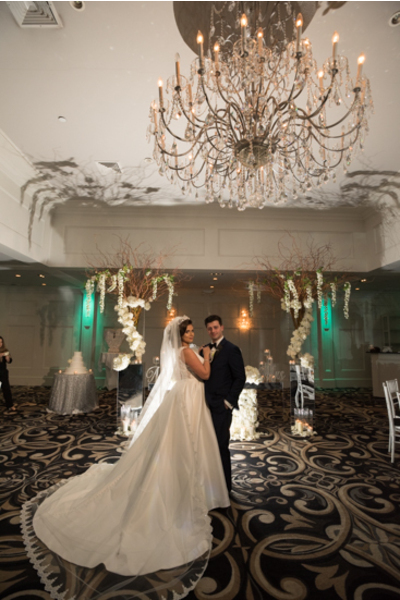 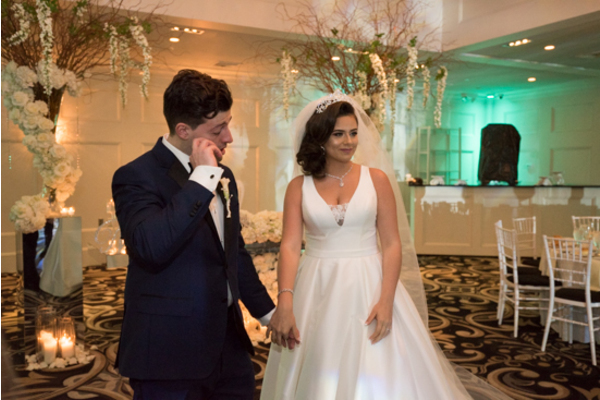 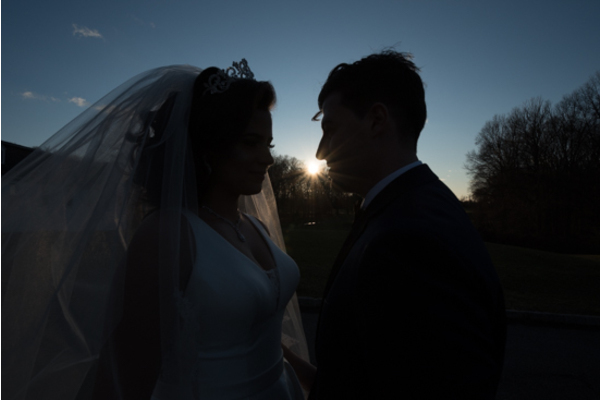 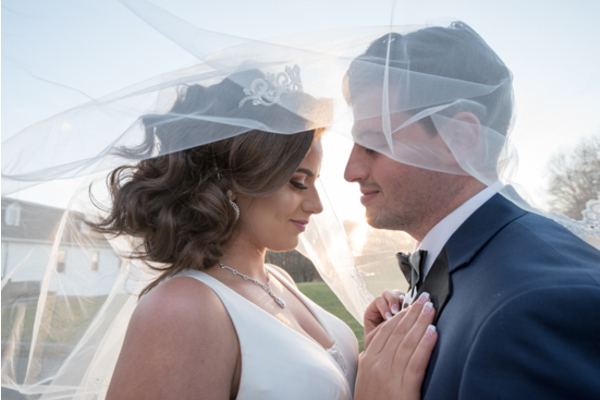 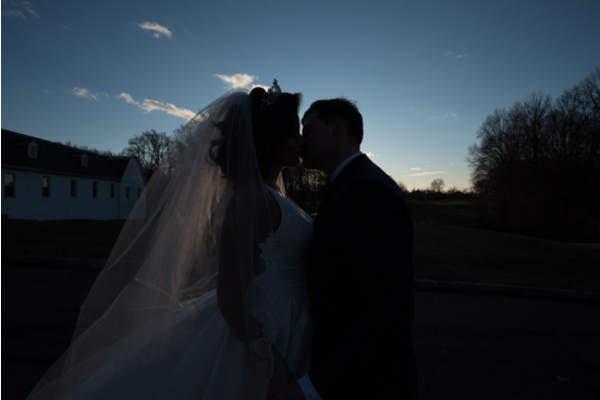 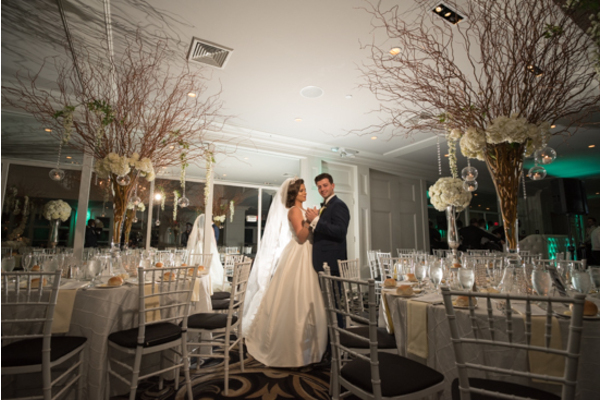 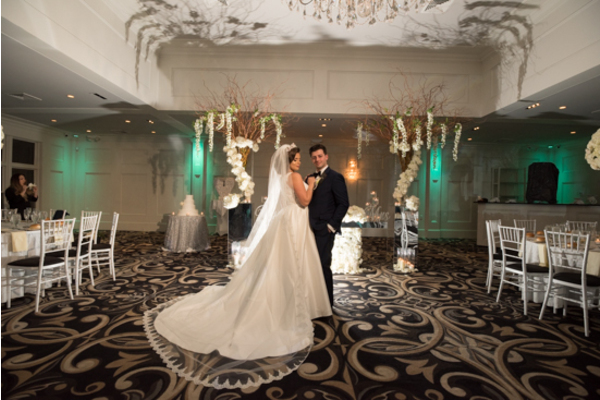 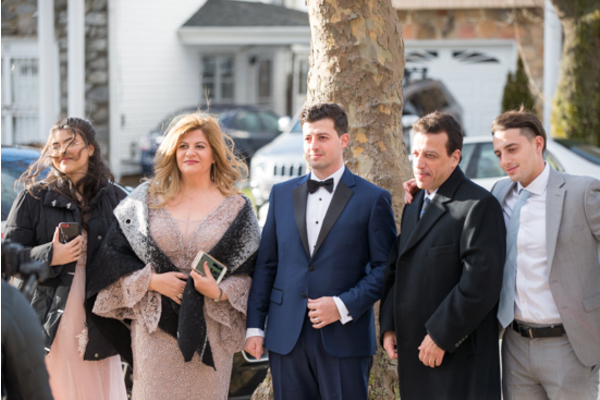 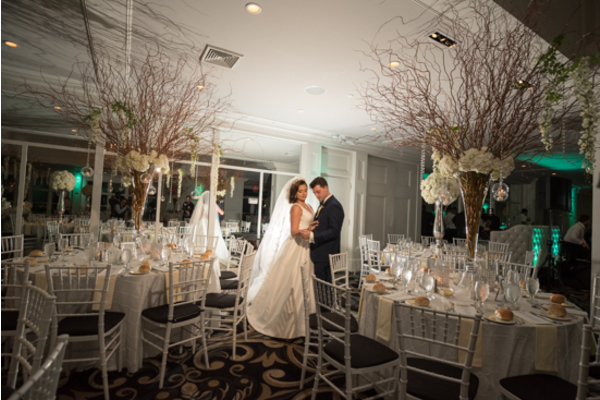 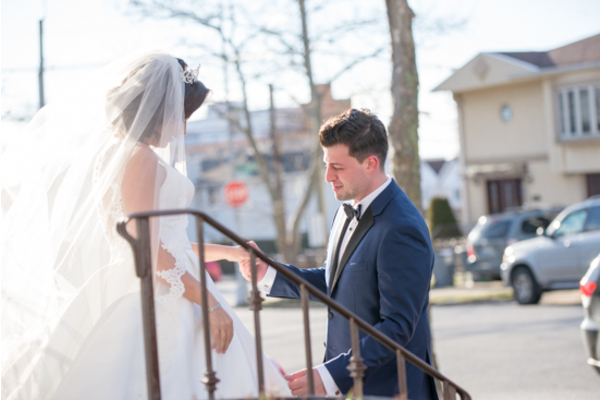 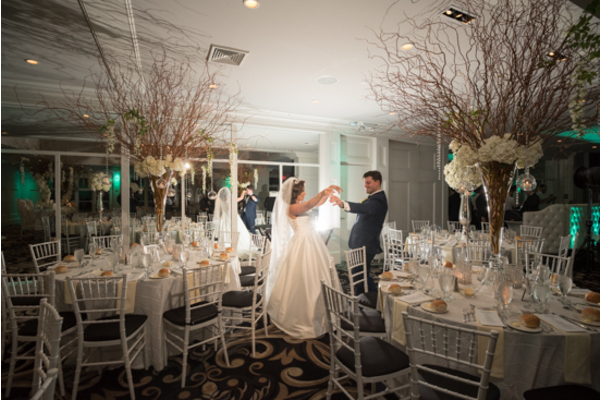 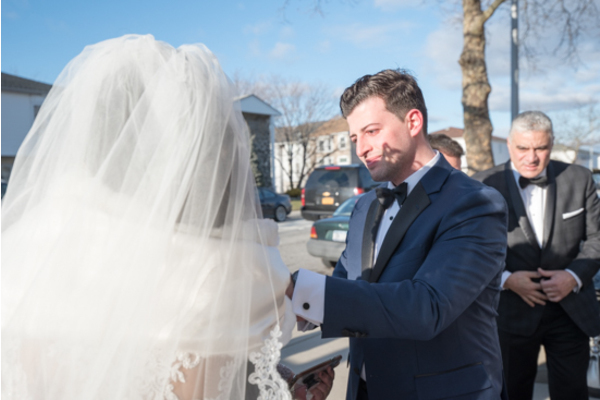 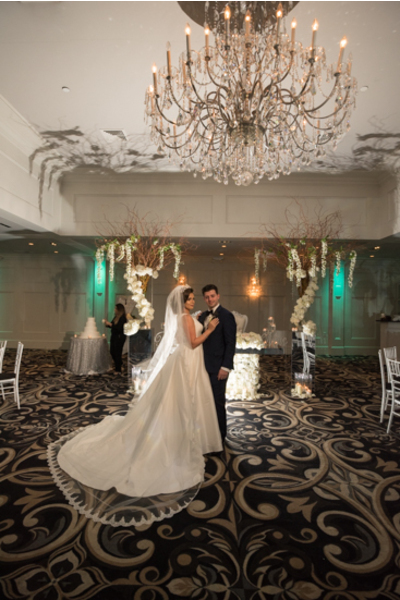 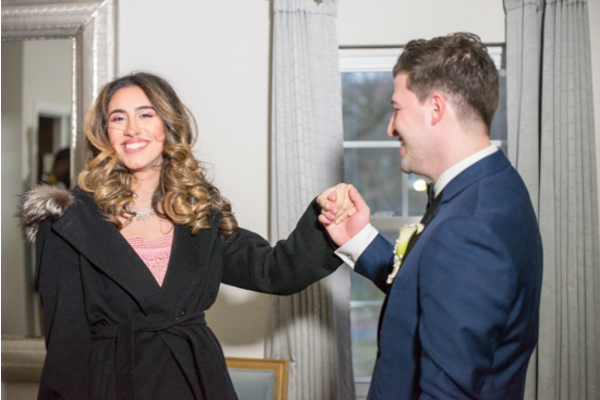 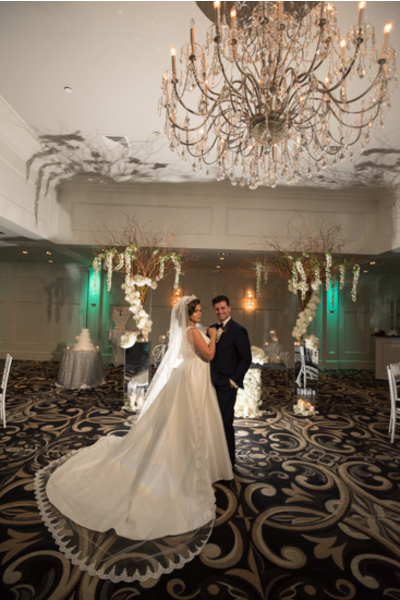 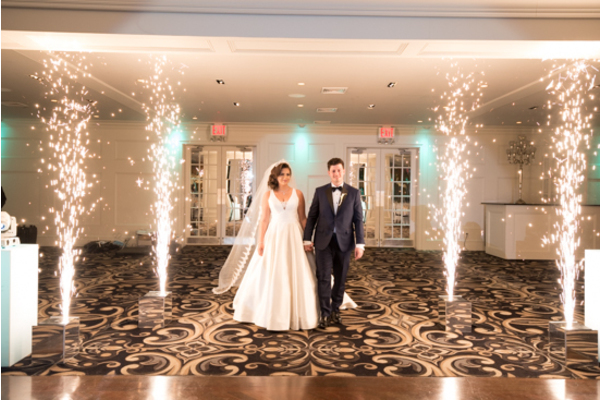 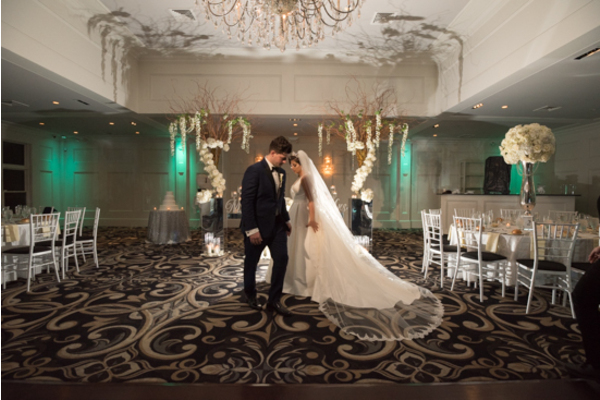 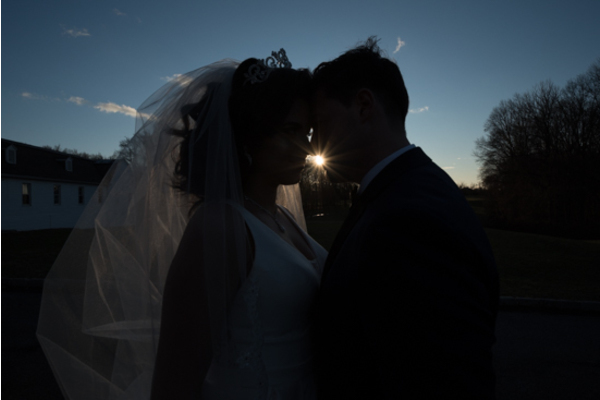 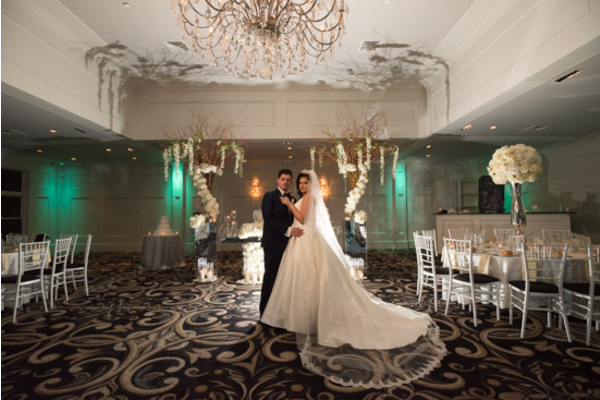 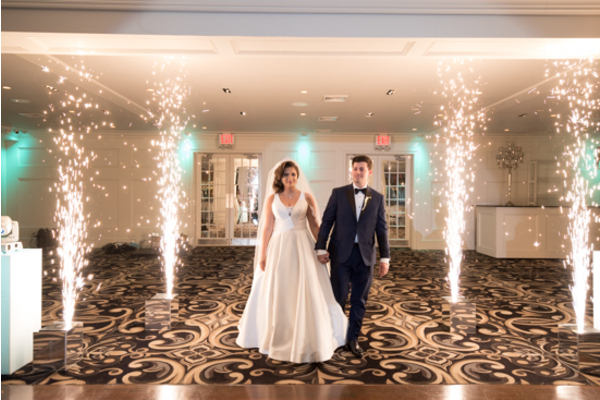 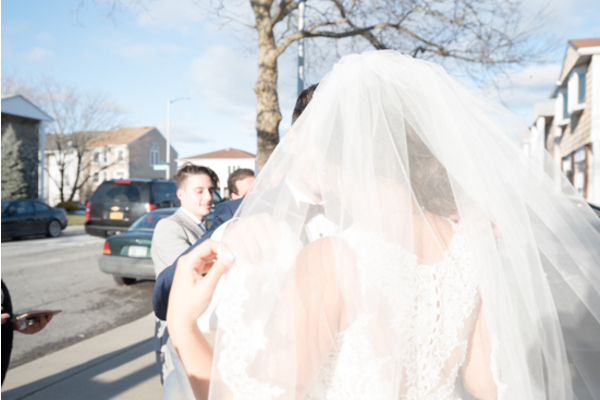 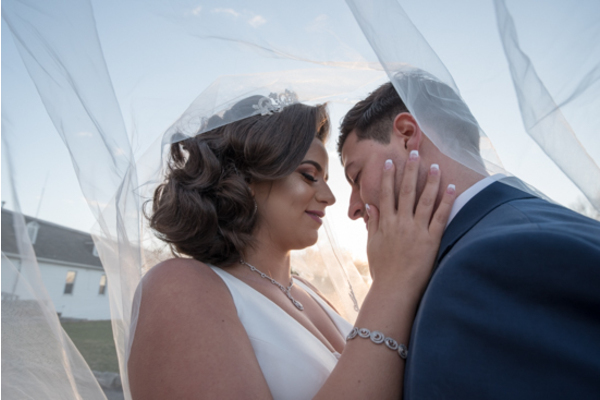 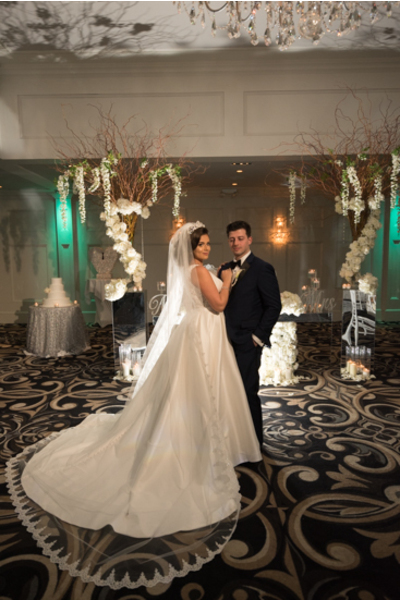 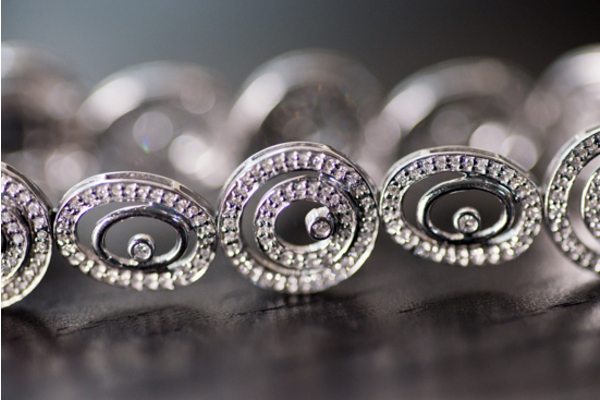 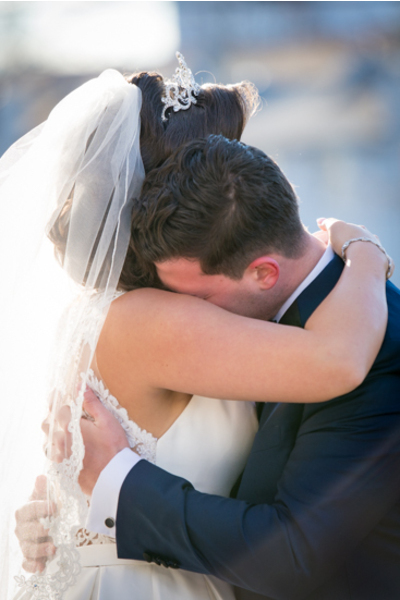 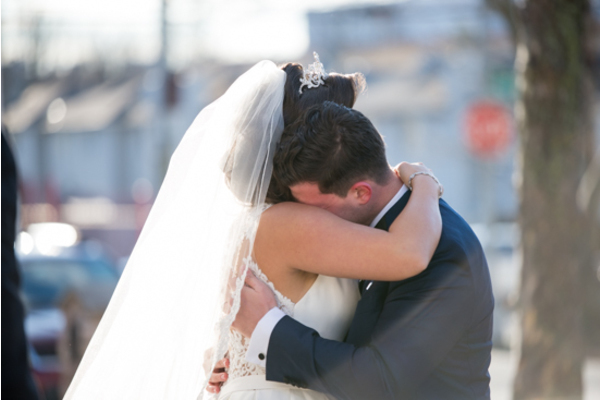 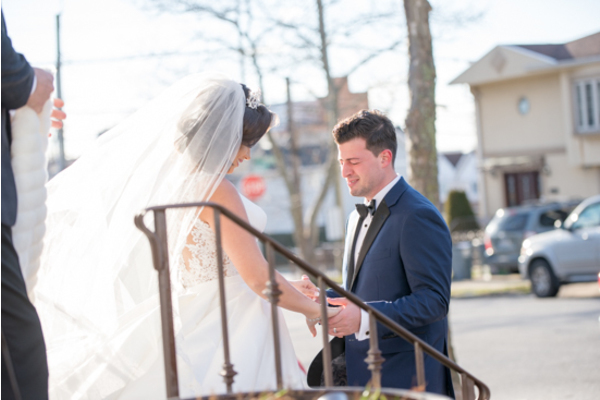 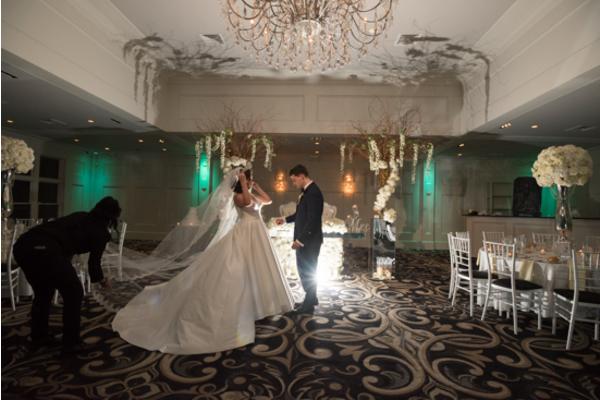 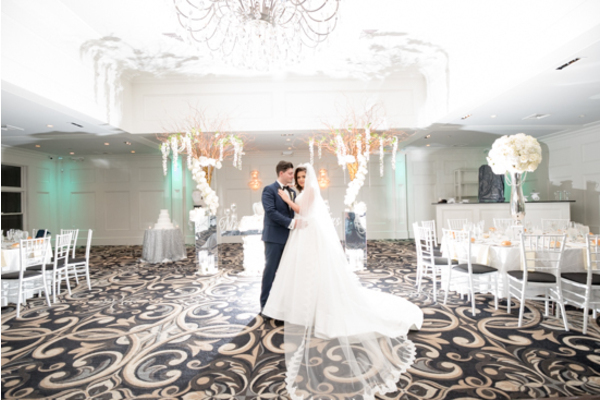 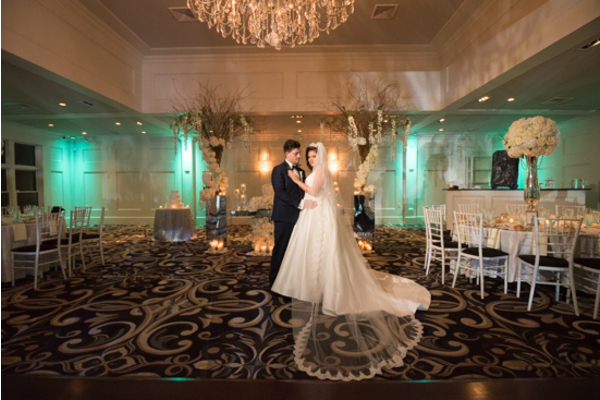 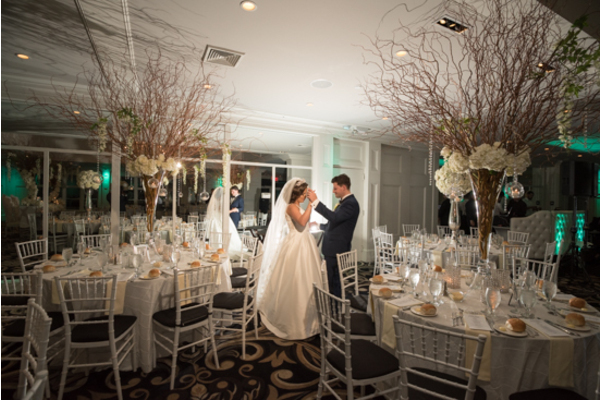 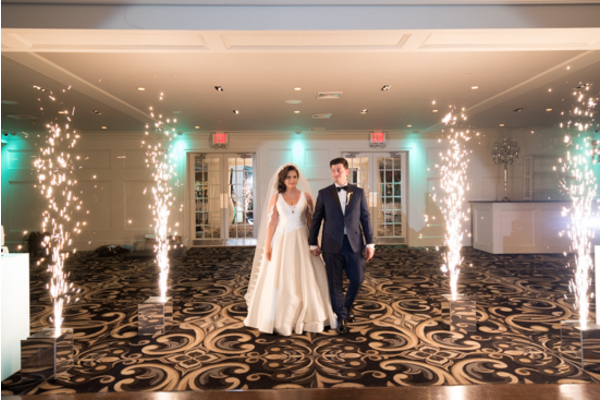 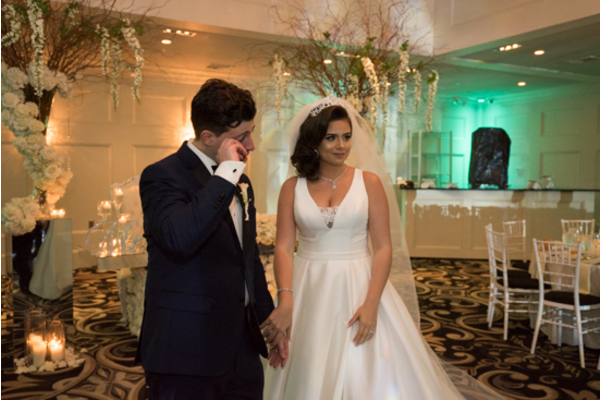 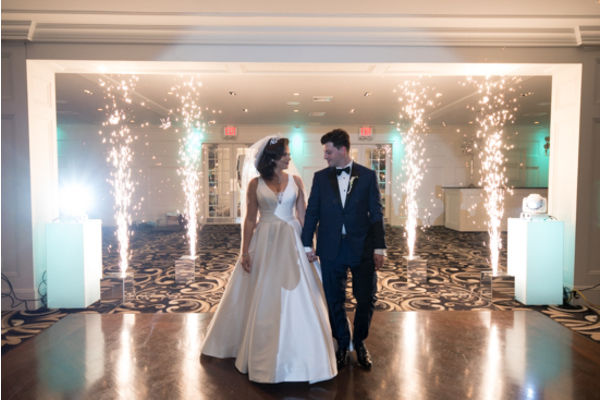 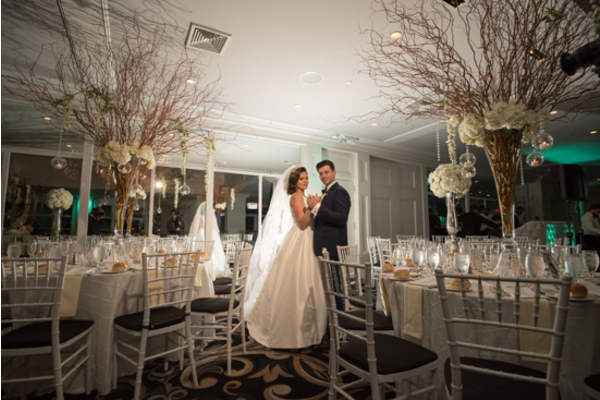 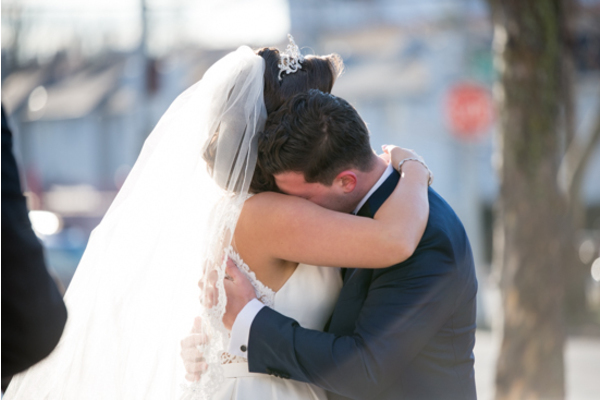 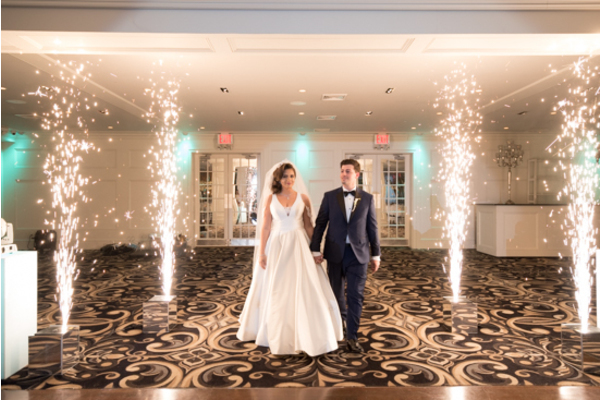 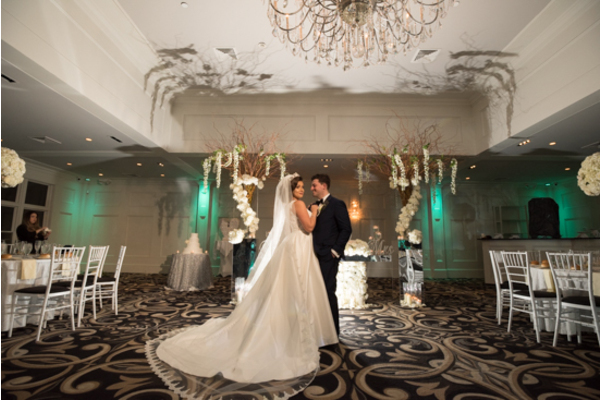 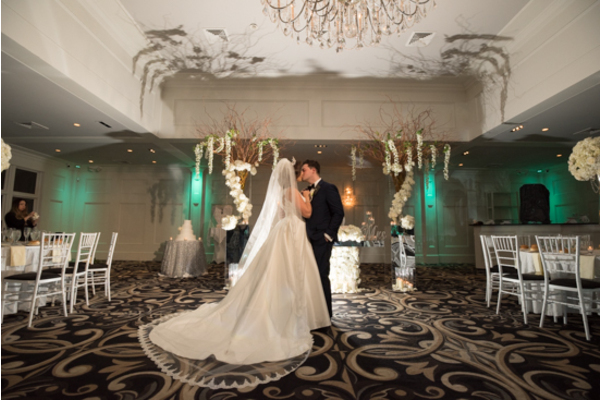 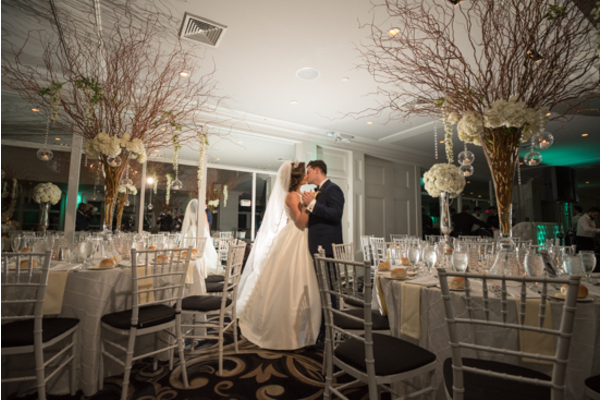 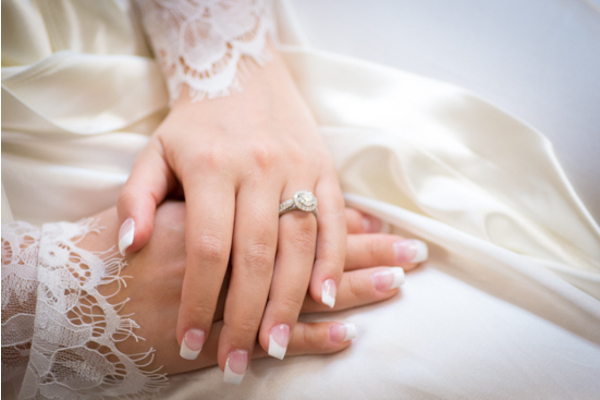 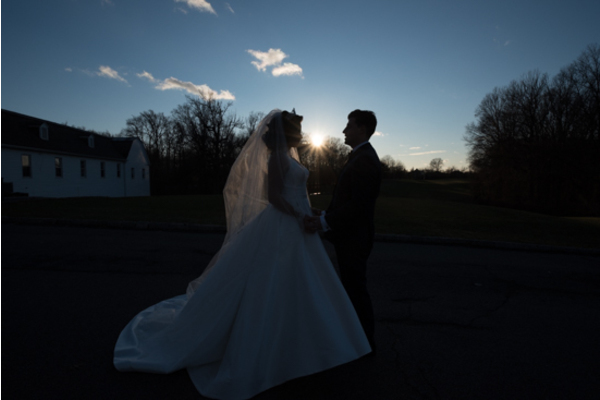 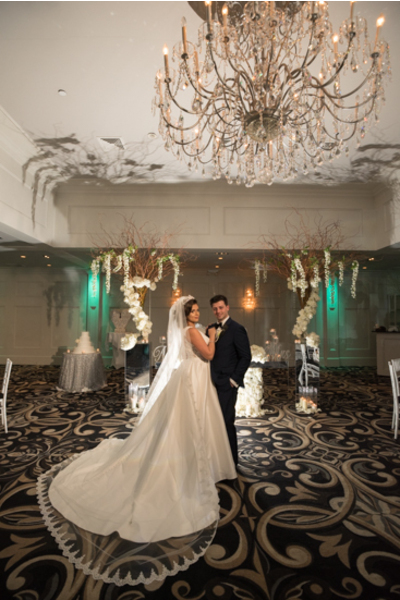 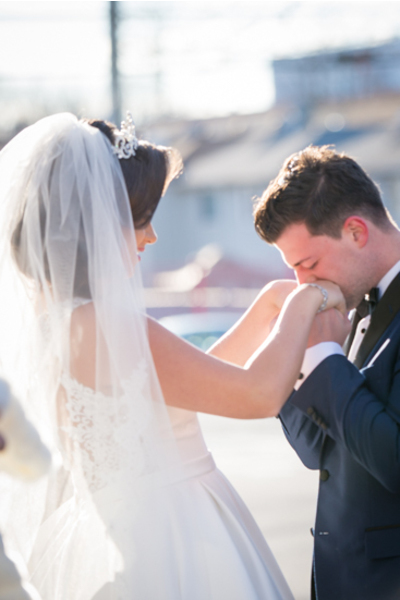 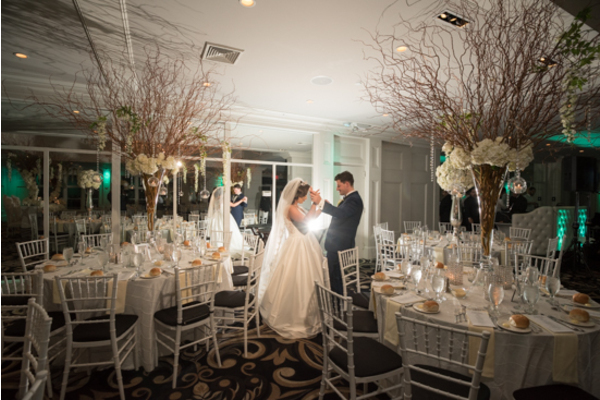 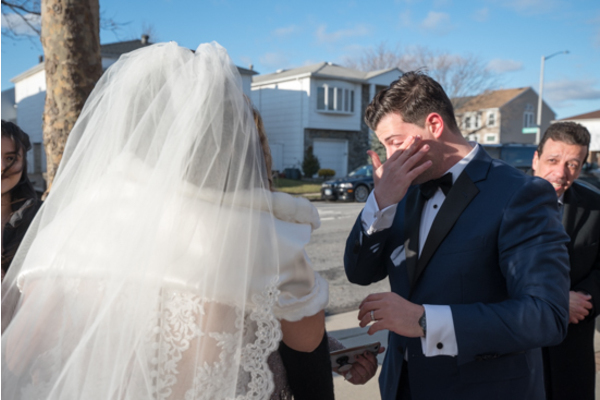 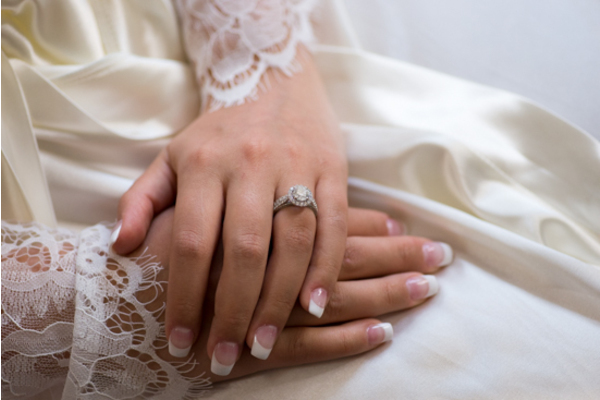 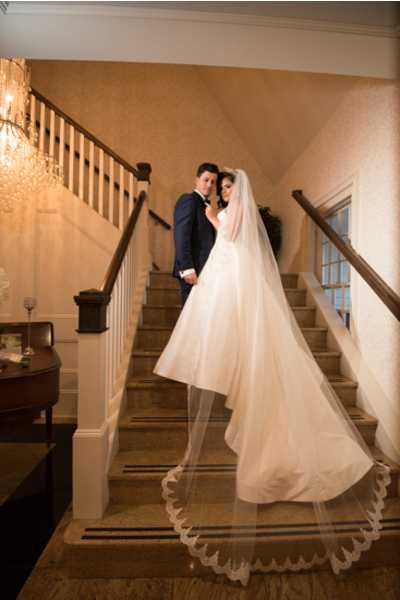 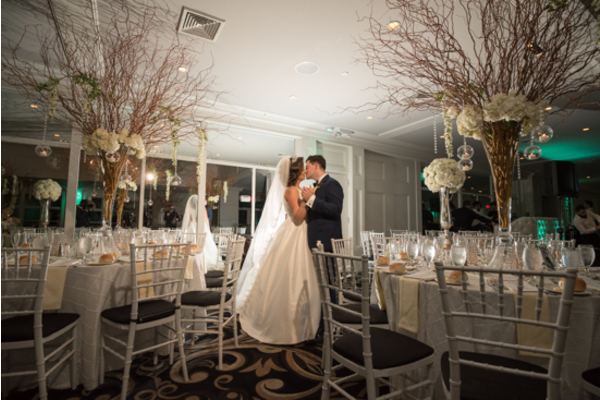 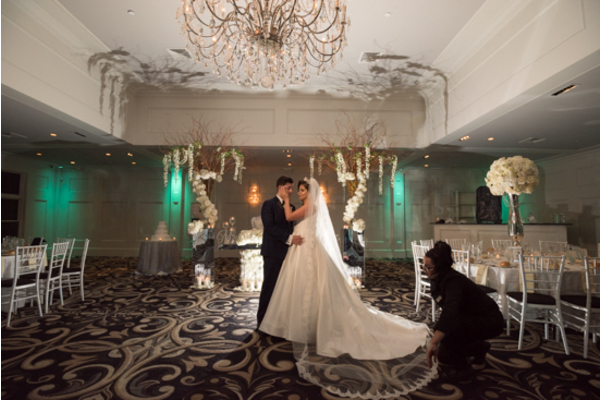 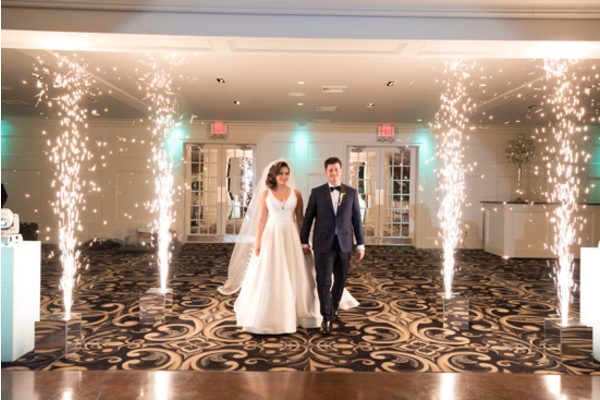 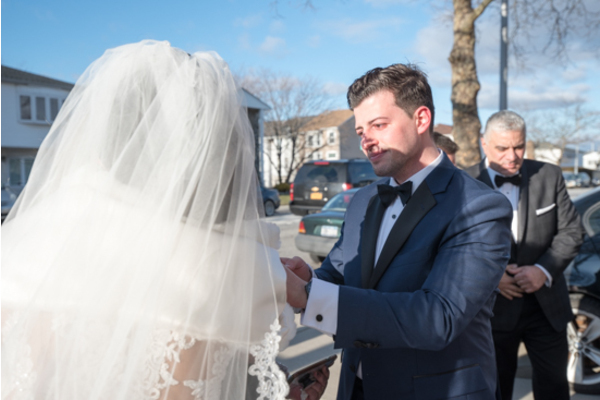 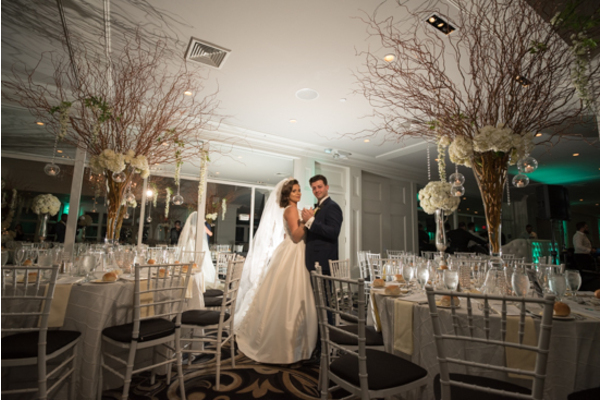 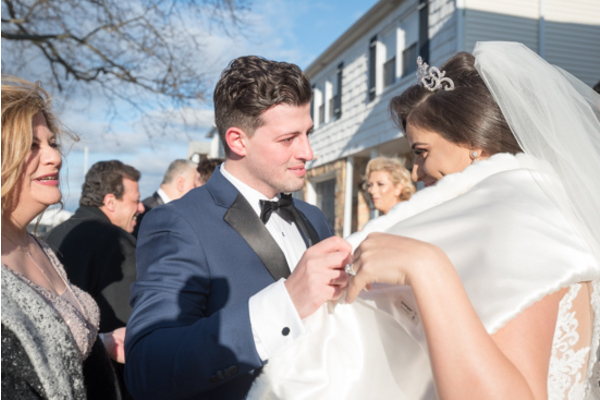 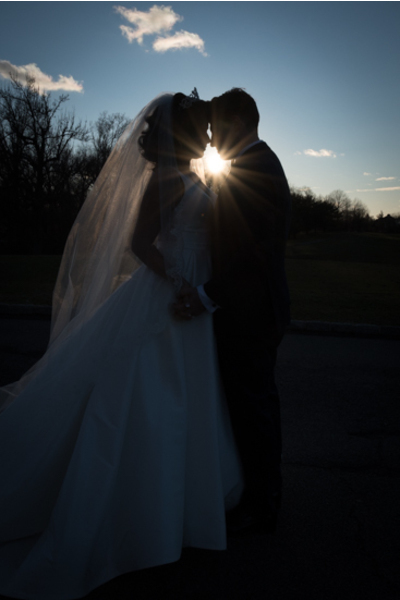 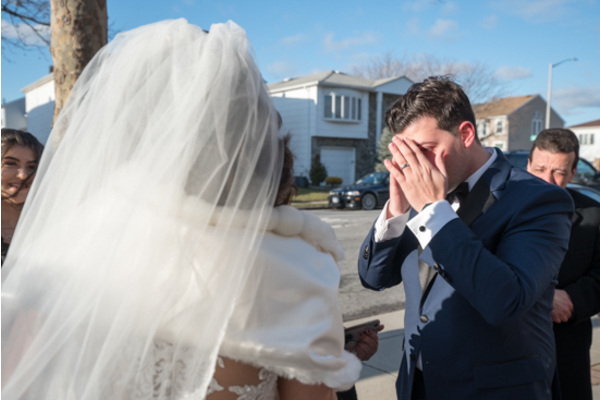 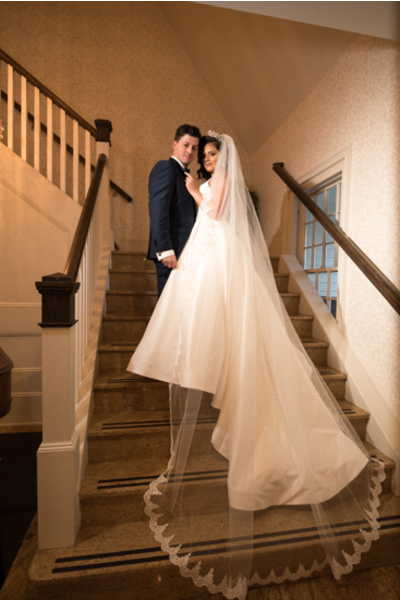 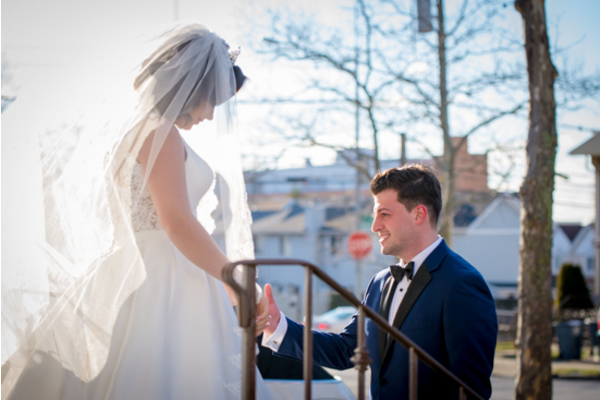 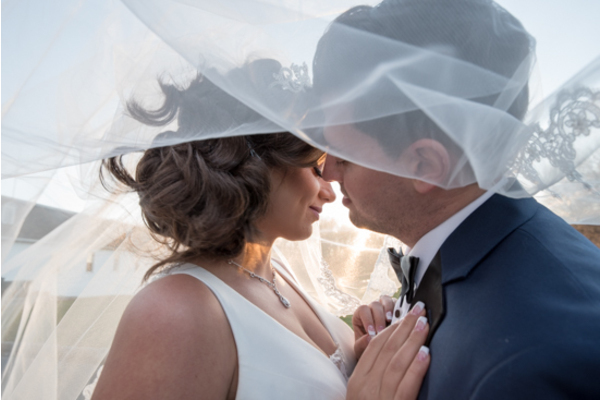 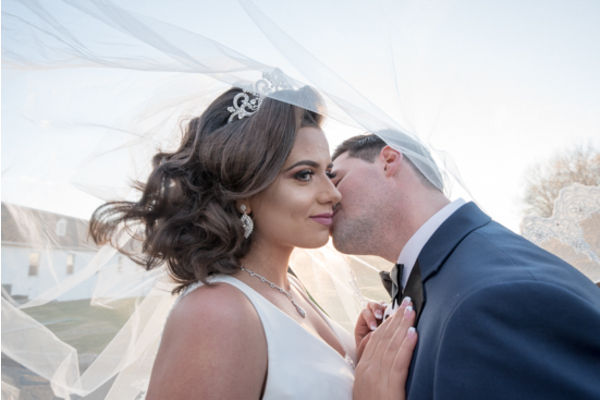 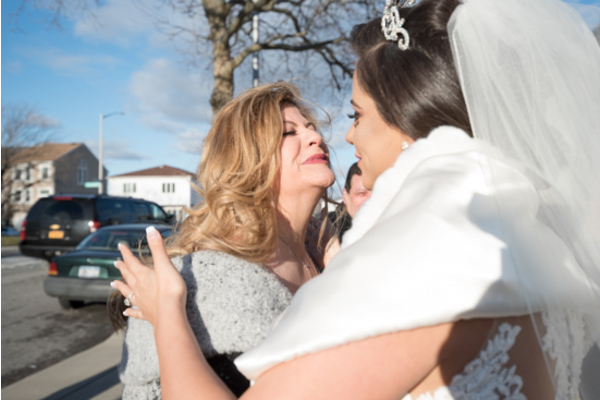 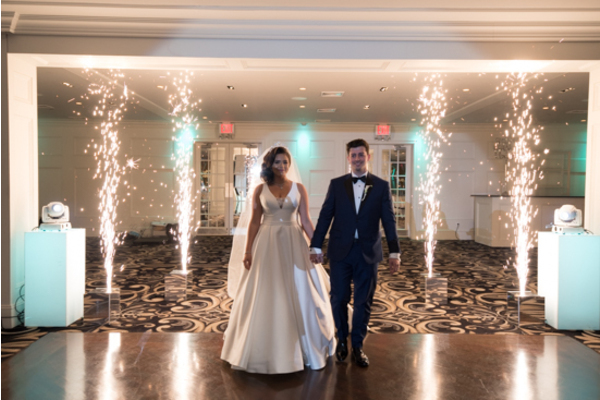 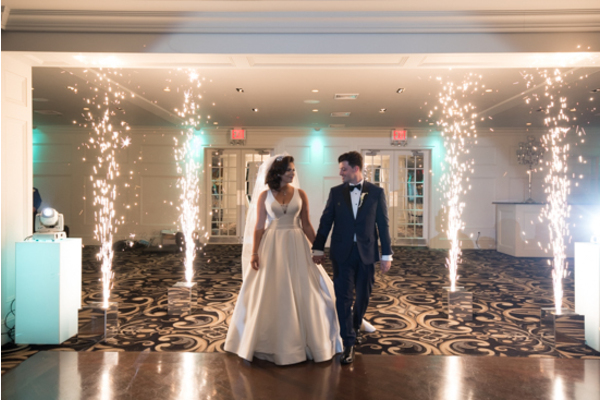 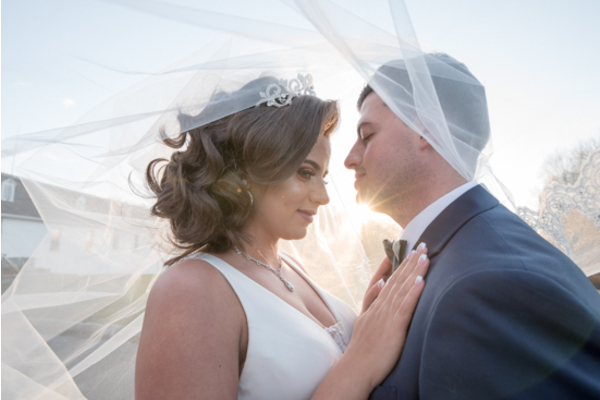 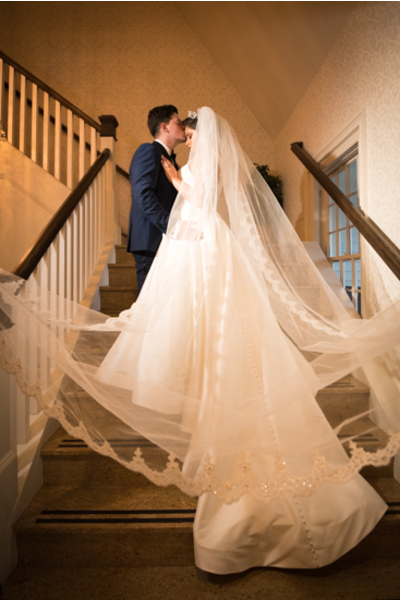 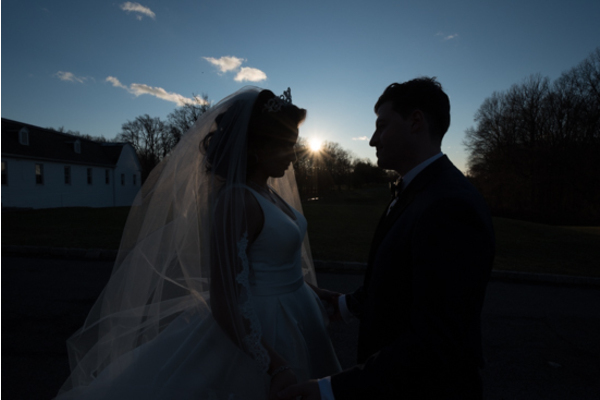 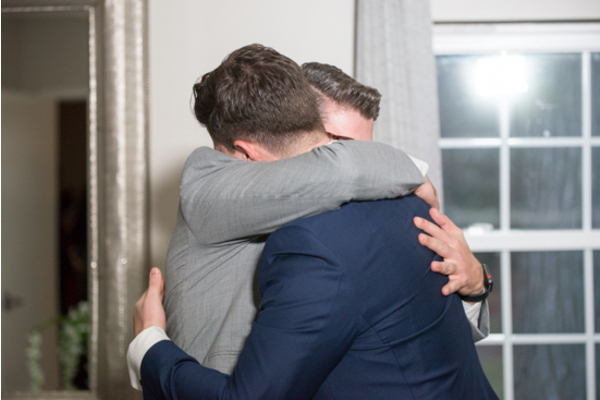 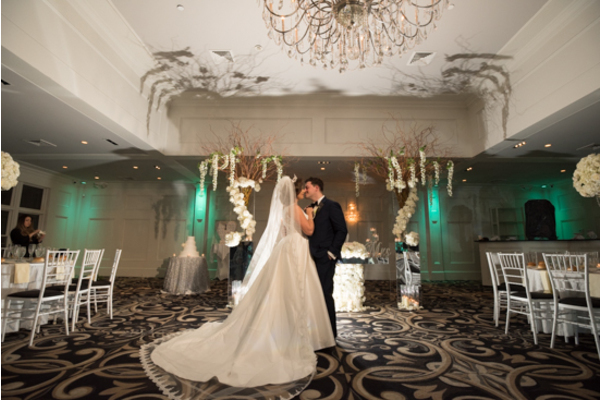 Their picture-perfect wedding day was held at Grand Oaks Country Club in Staten Island, NY. 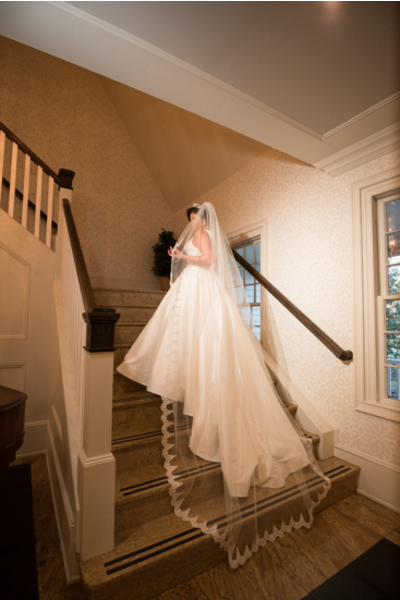 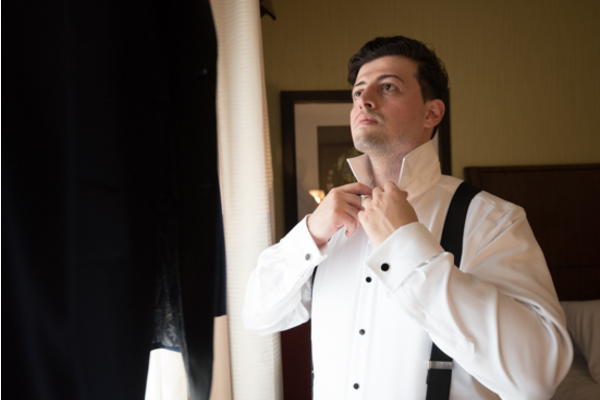 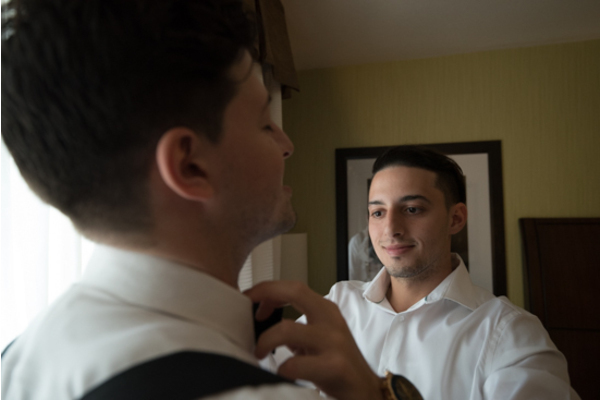 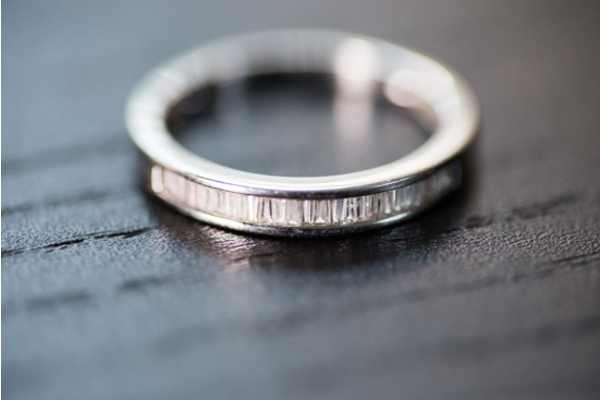 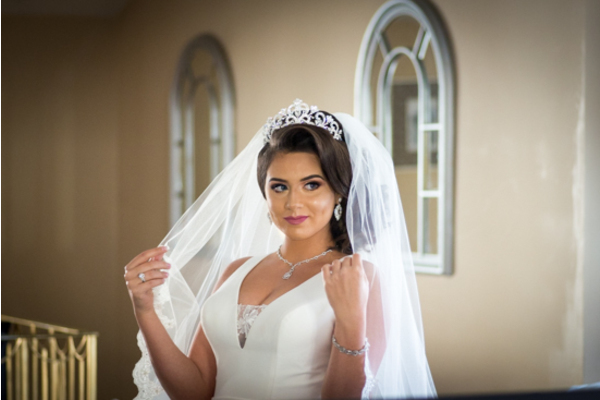 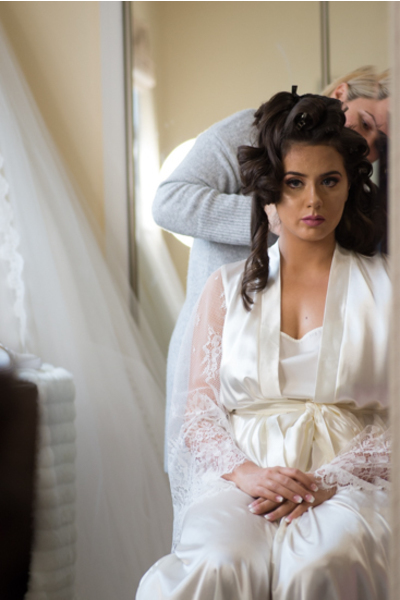 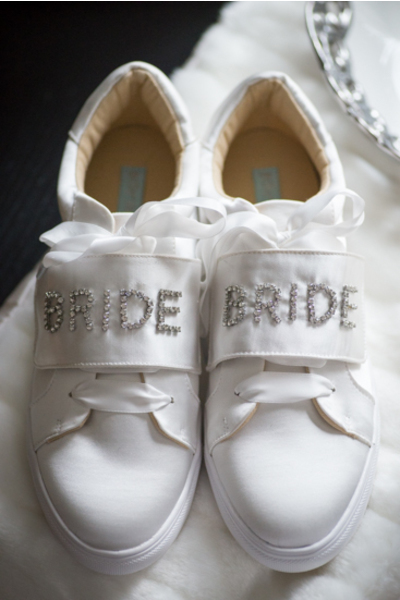 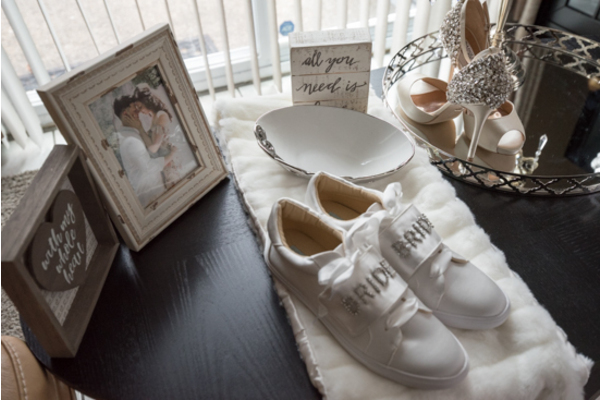 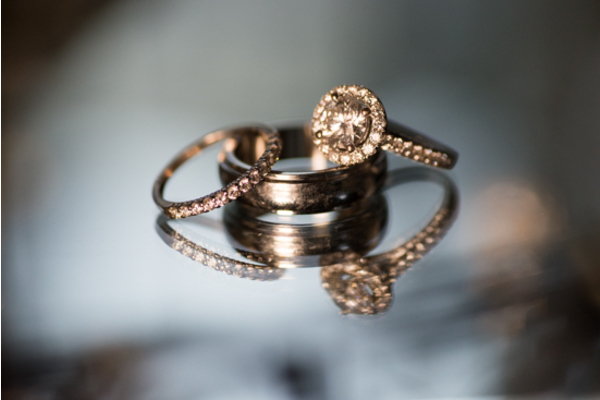 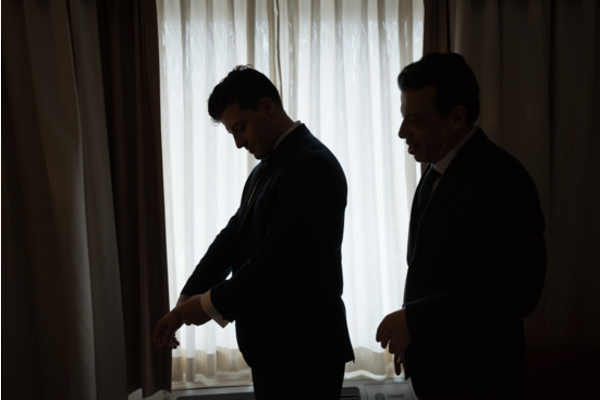 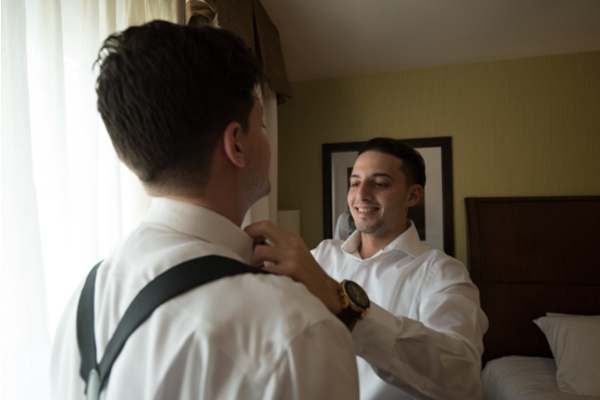 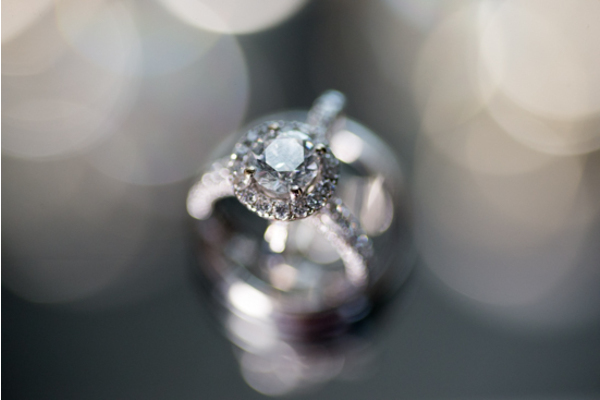 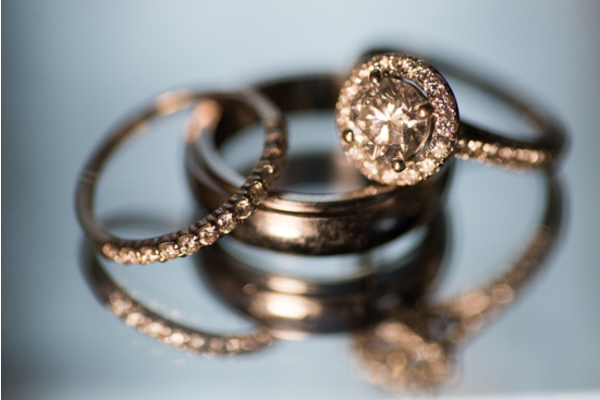 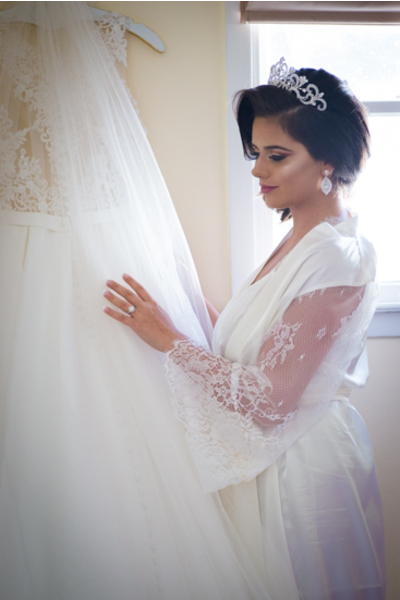 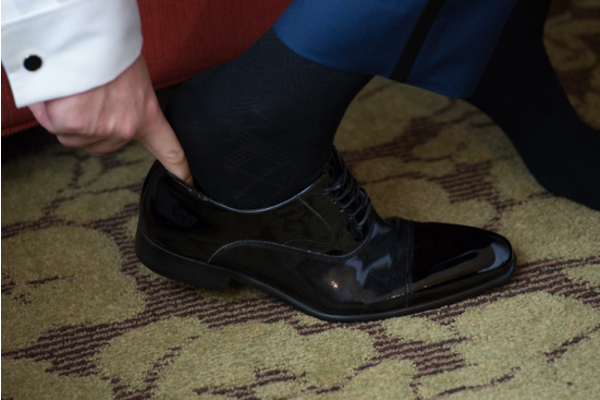 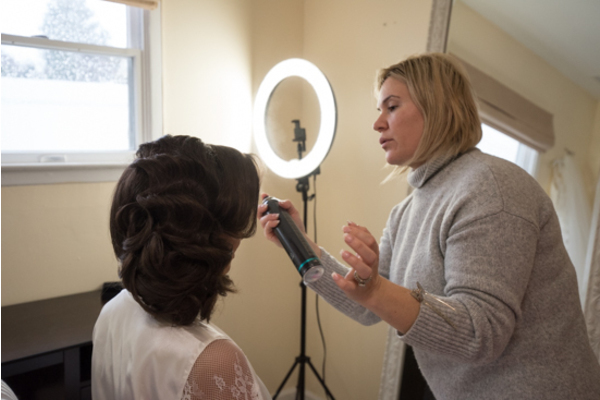 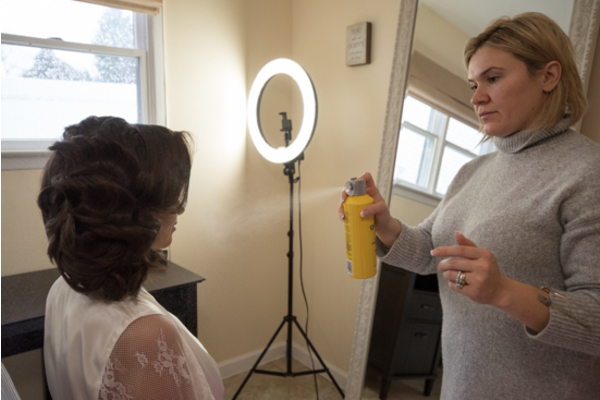 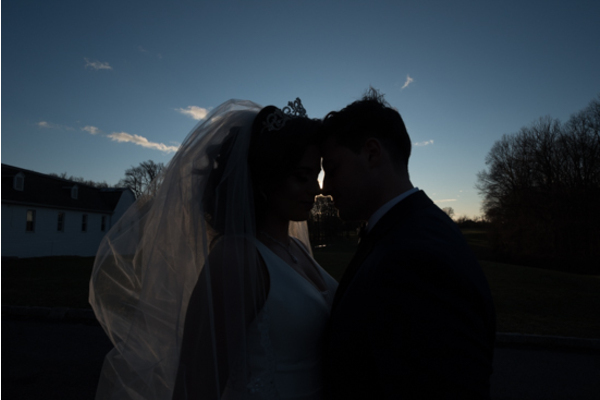 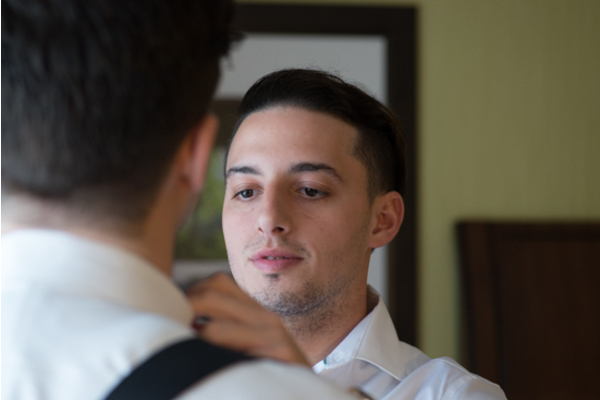 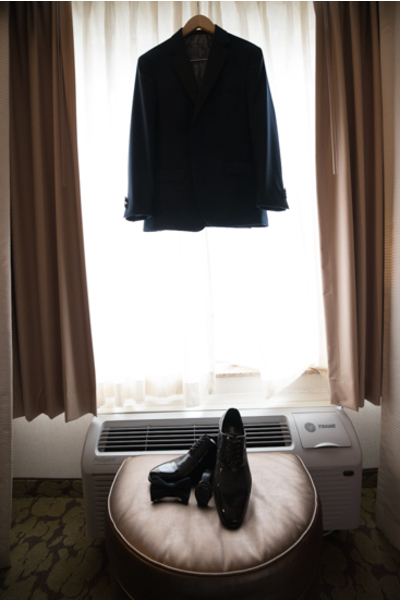 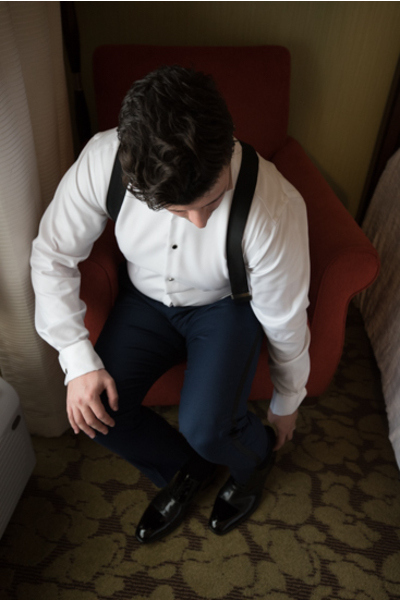 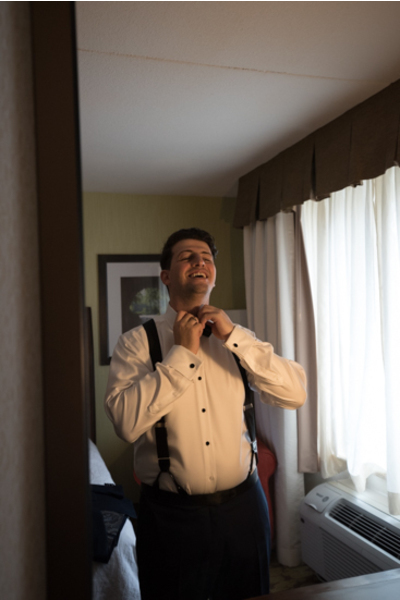 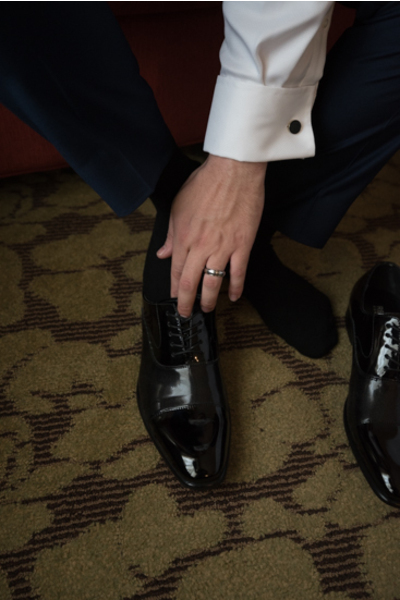 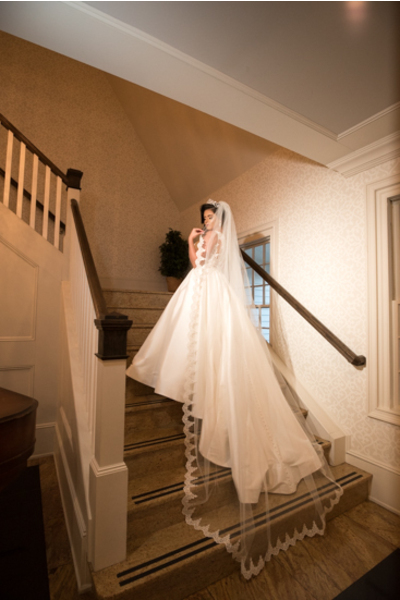 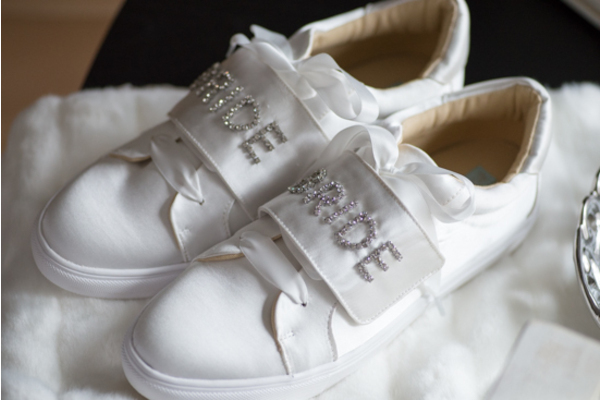 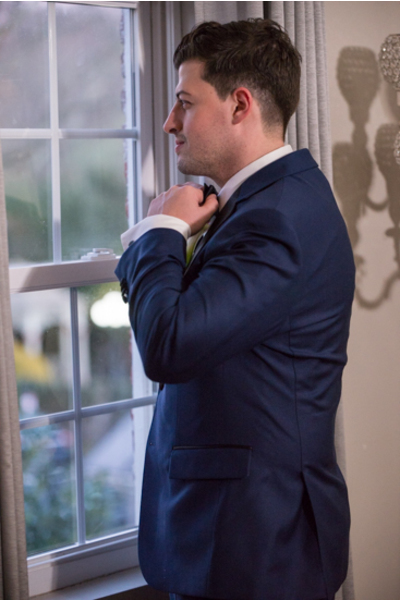 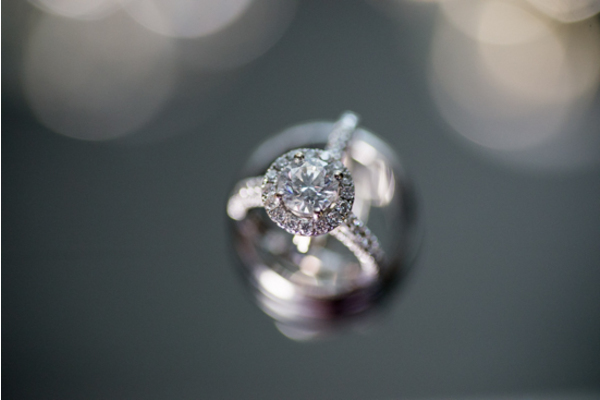 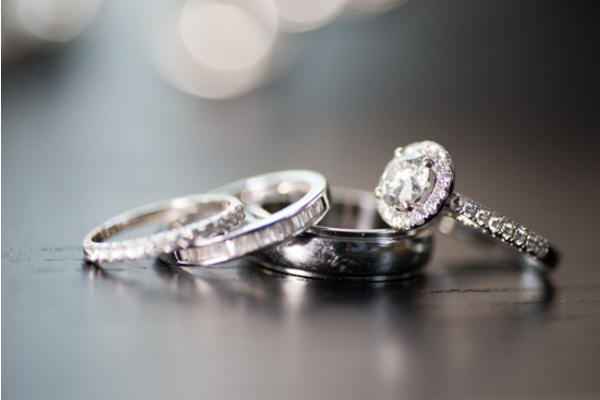 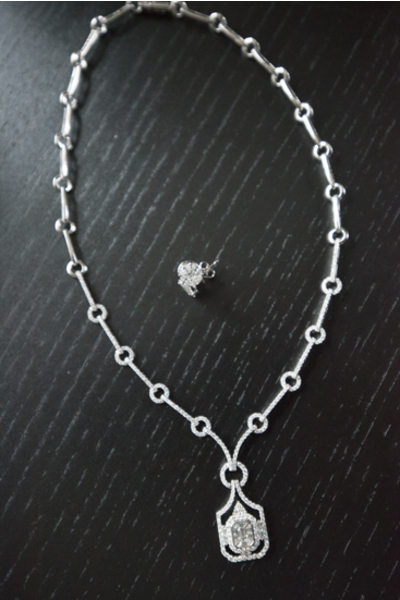 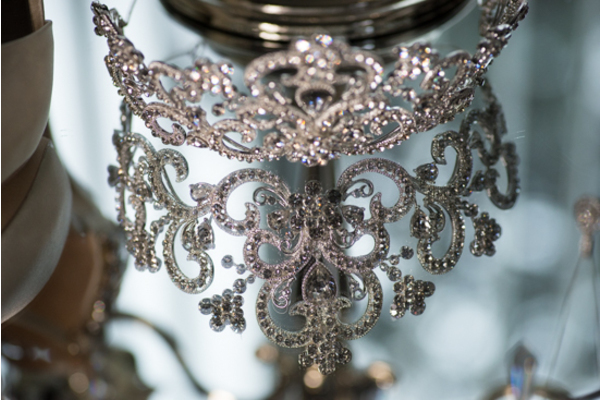 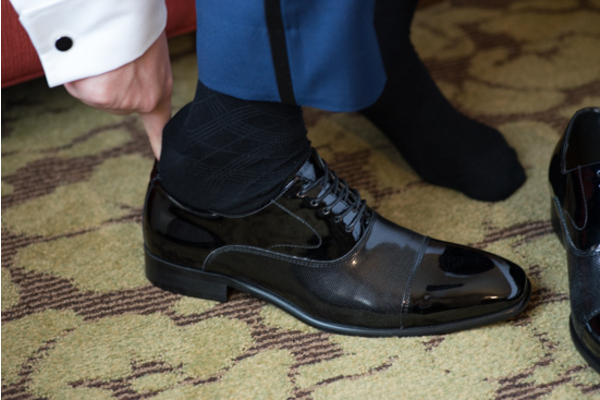 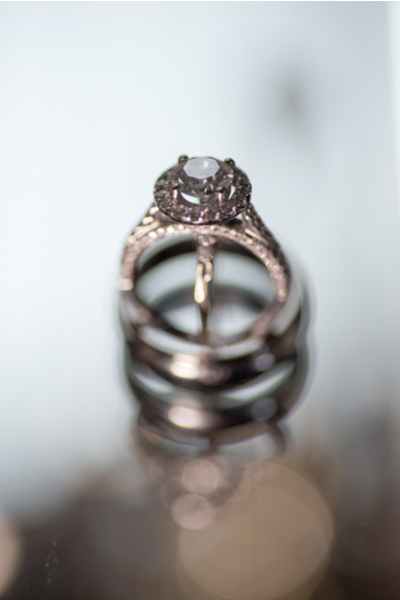 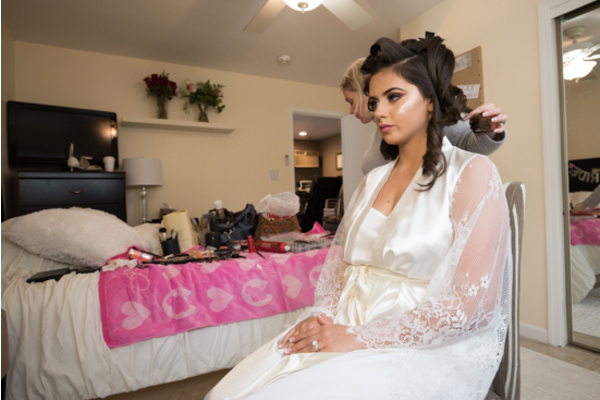 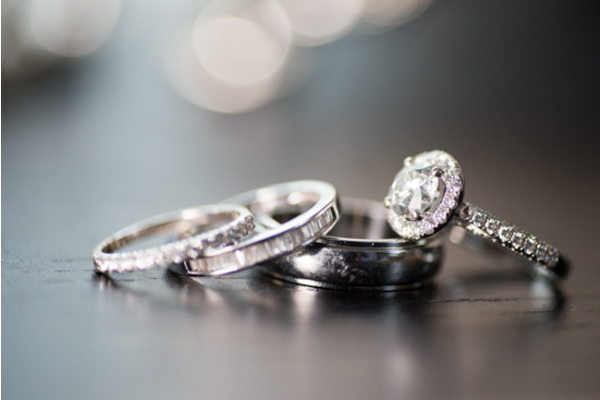 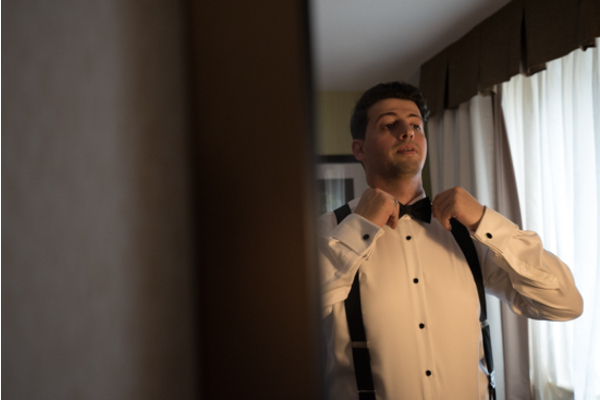 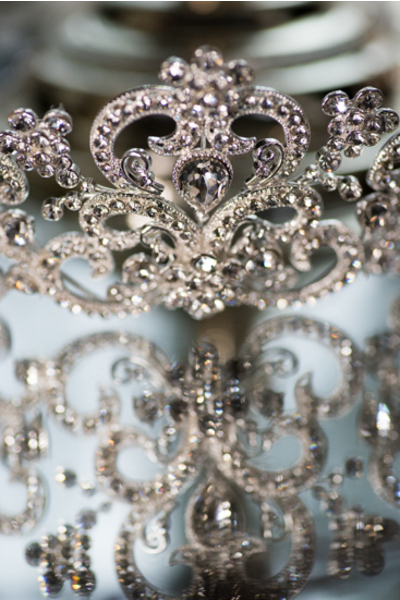 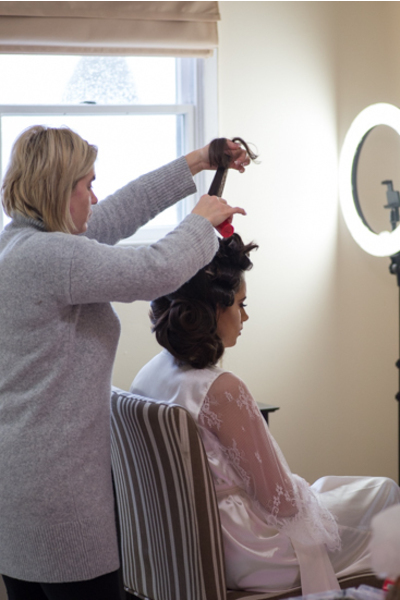 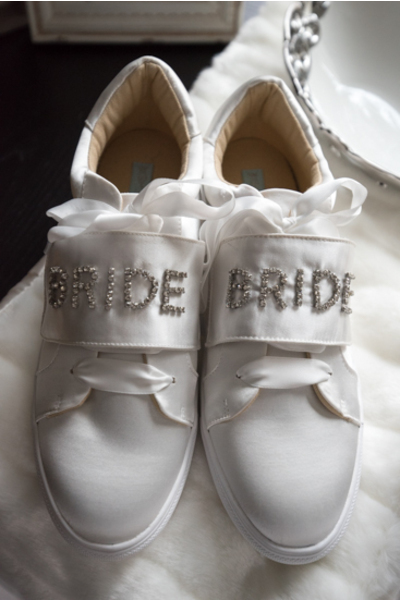 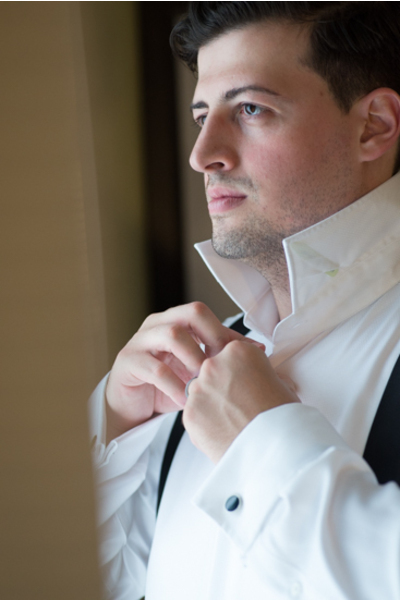 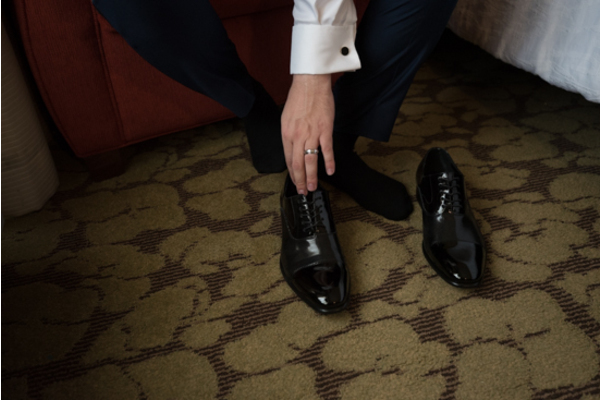 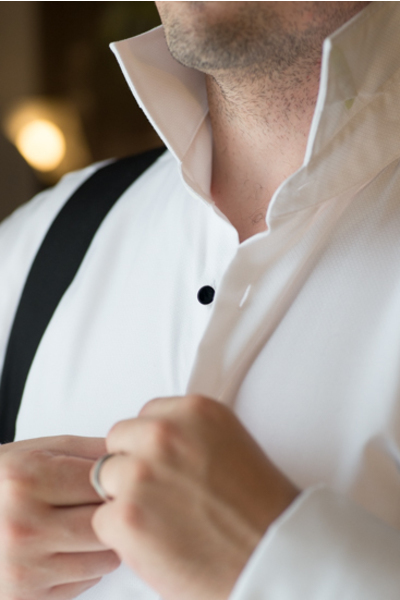 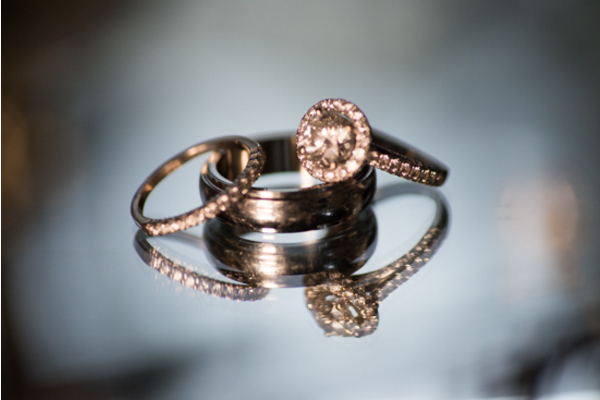 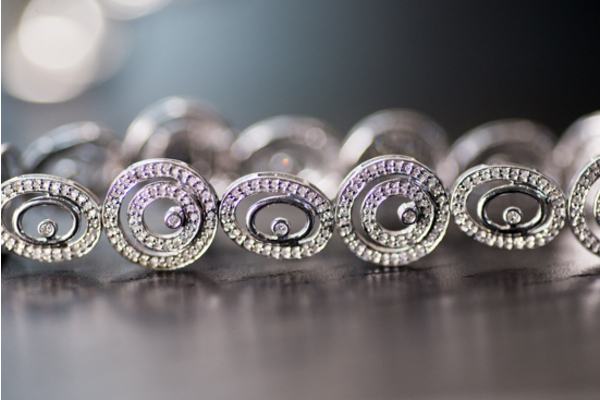 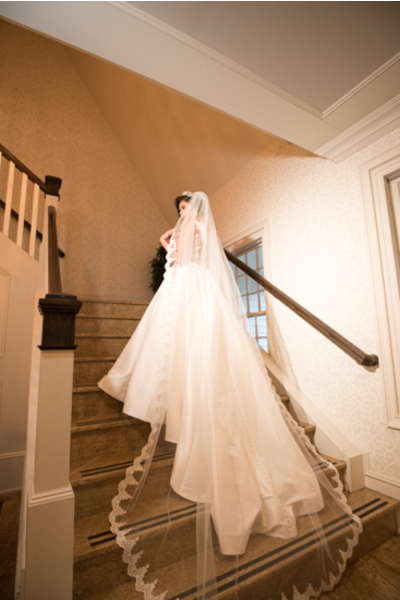 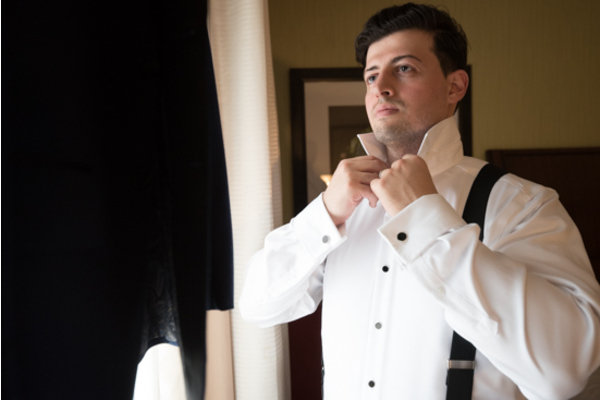 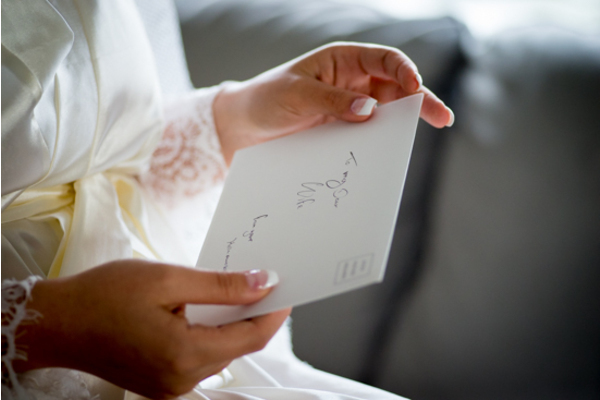 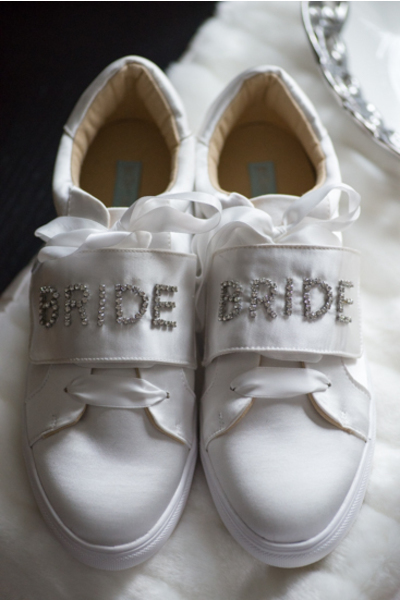 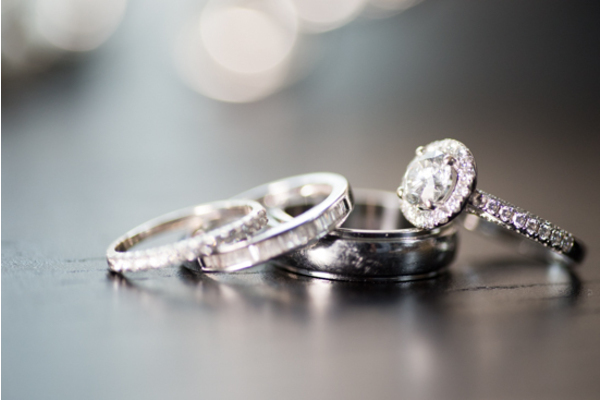 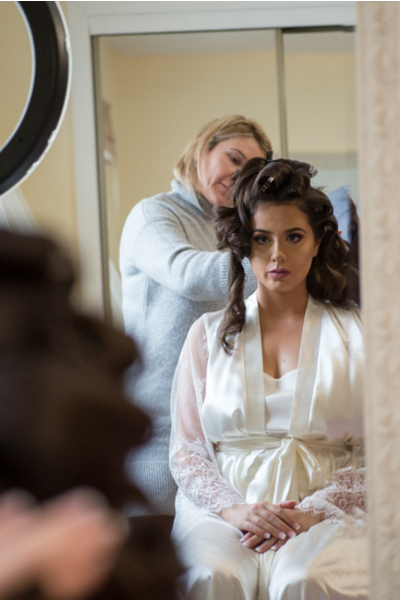 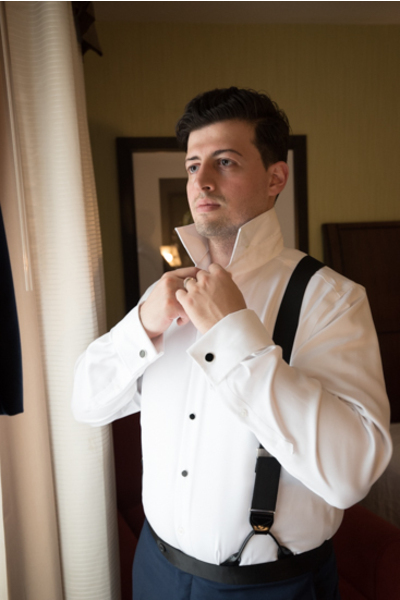 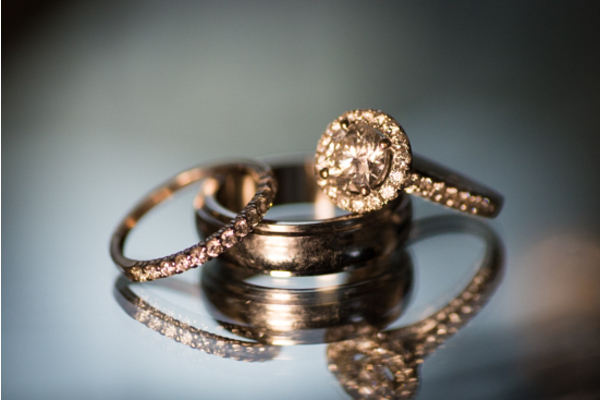 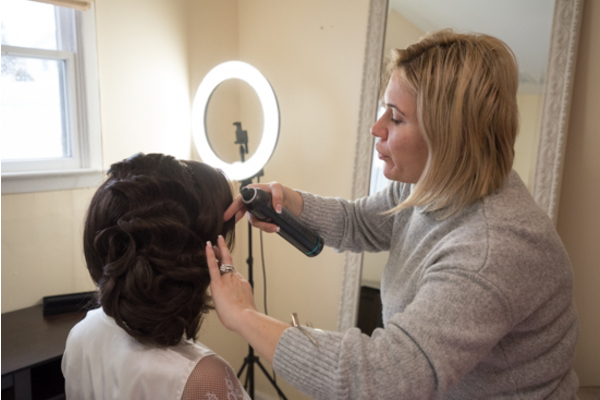 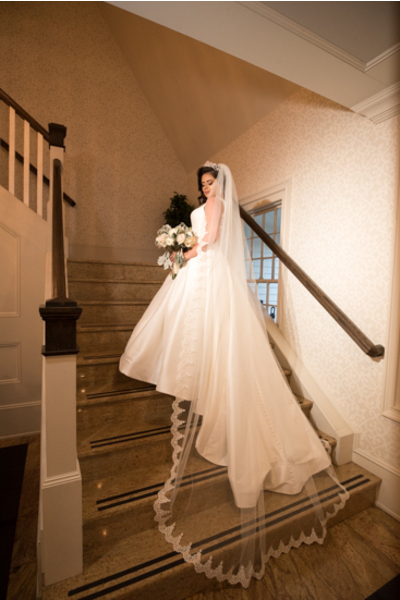 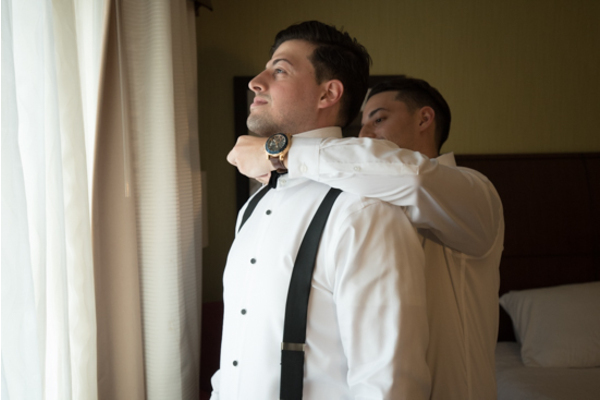 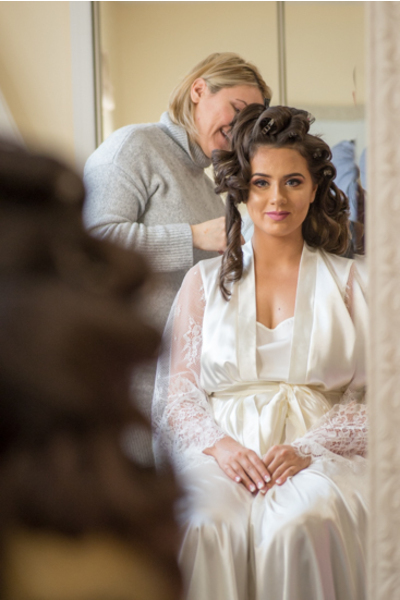 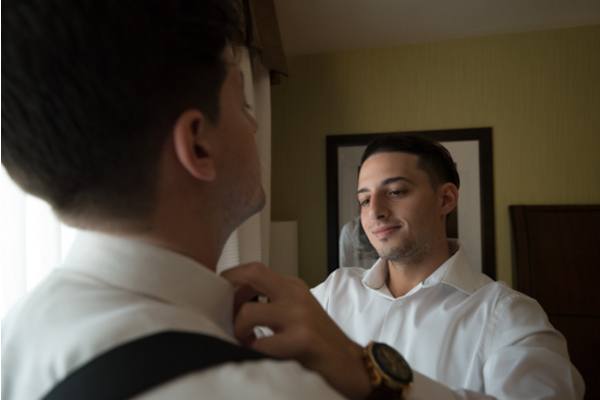 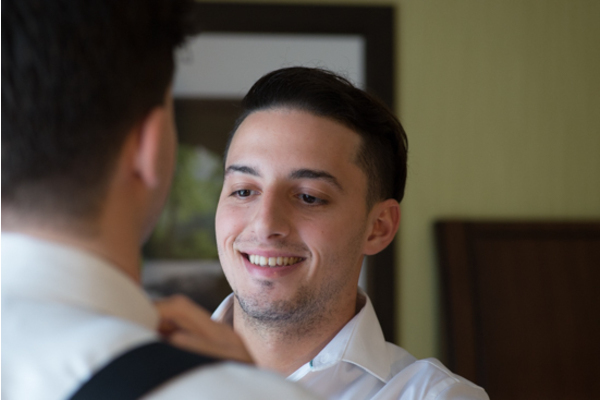 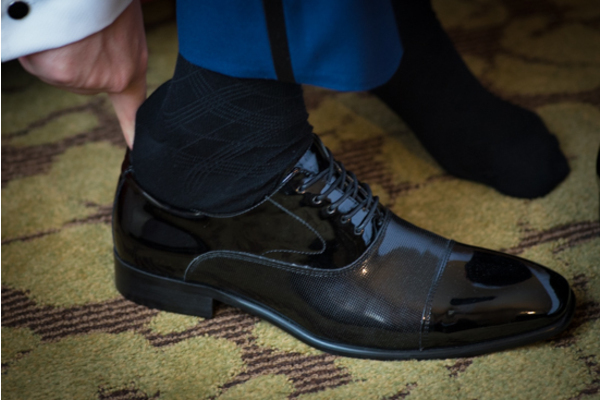 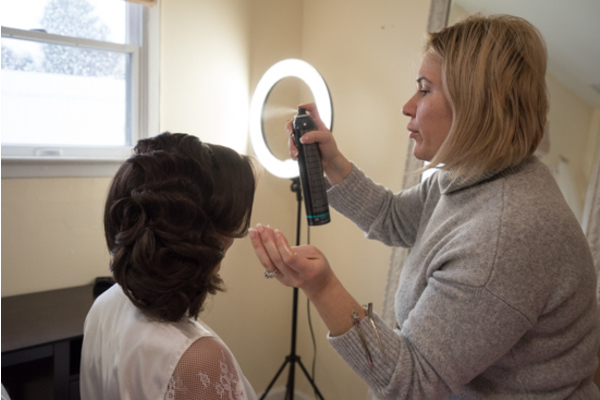 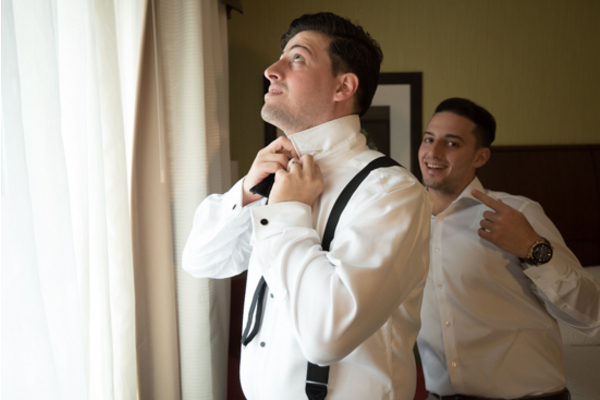 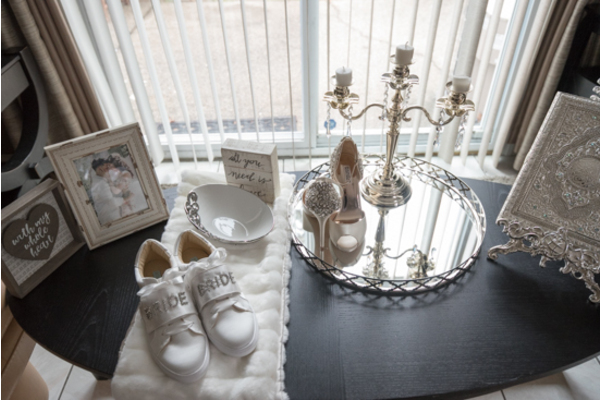 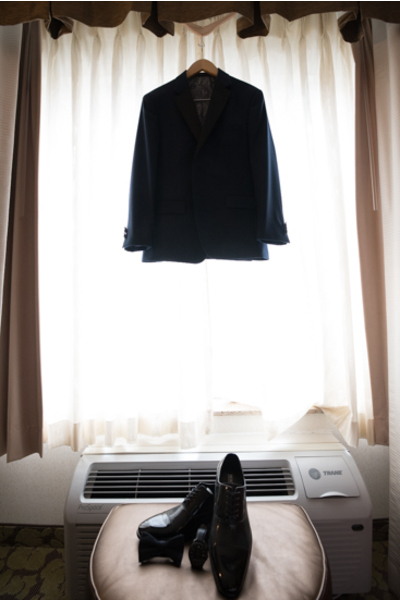 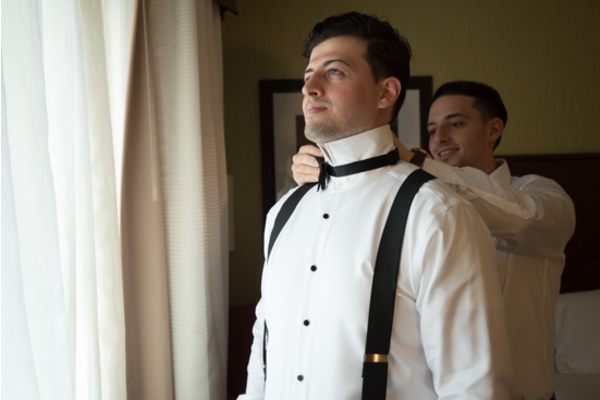 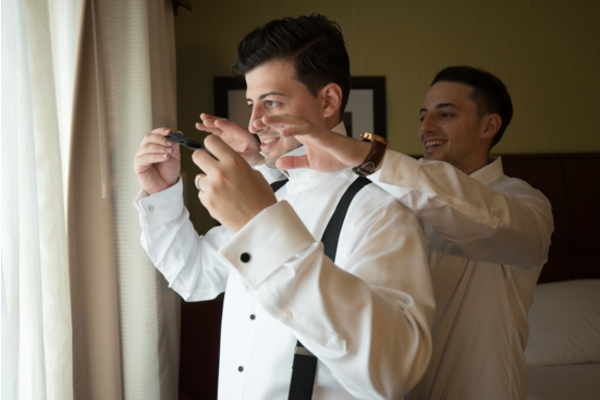 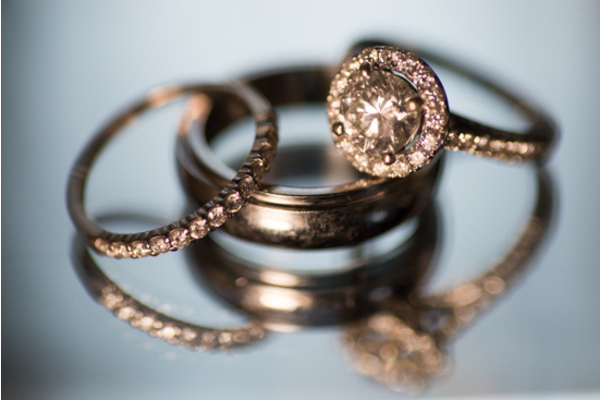 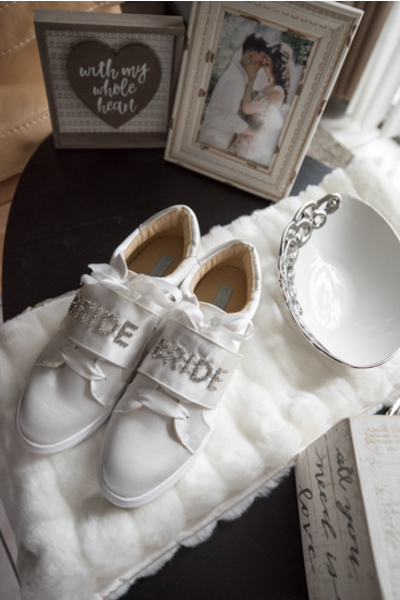 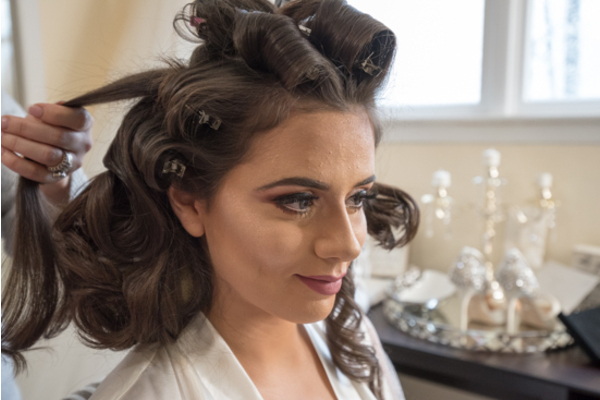 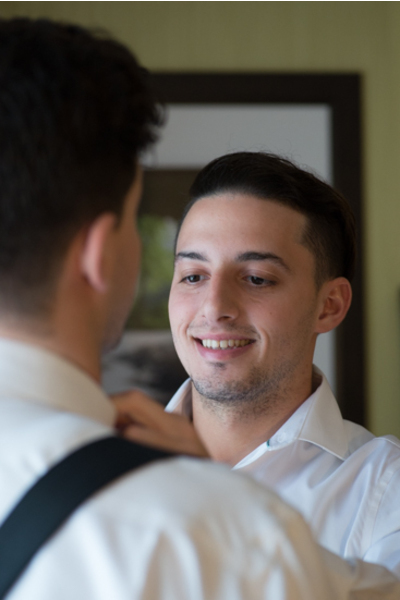 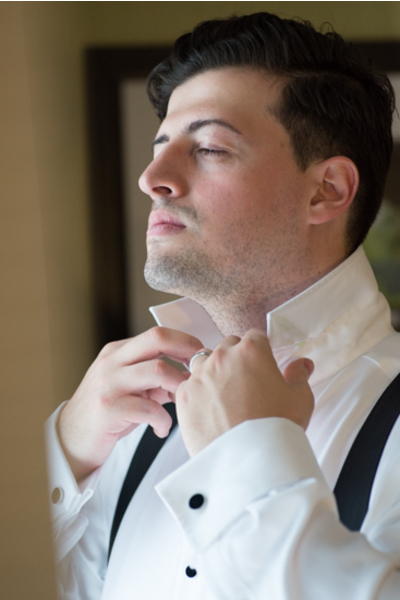 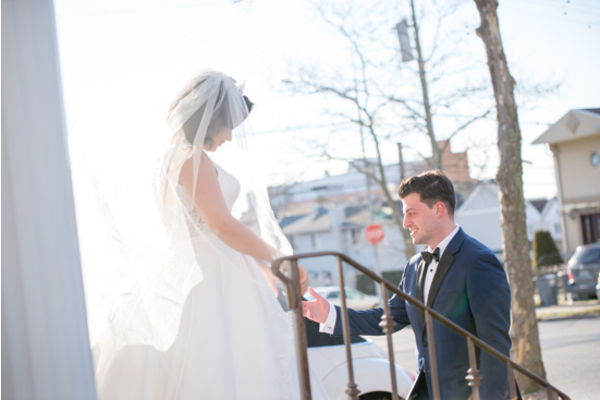 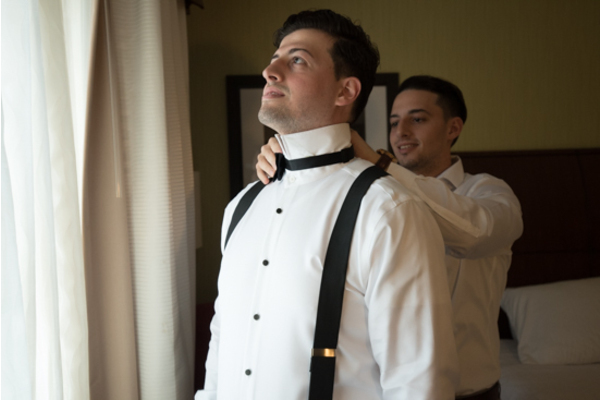 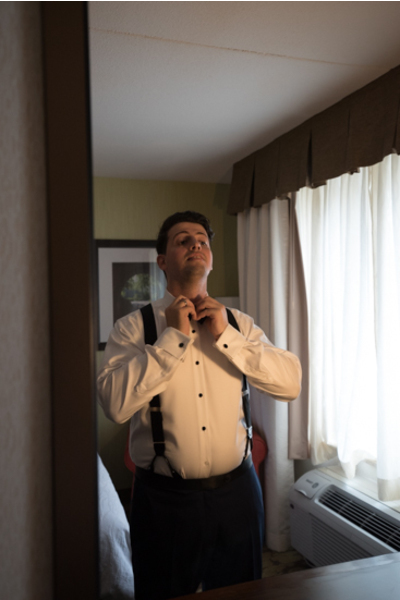 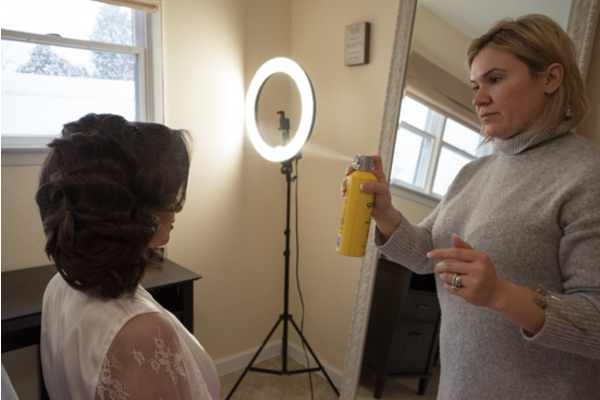 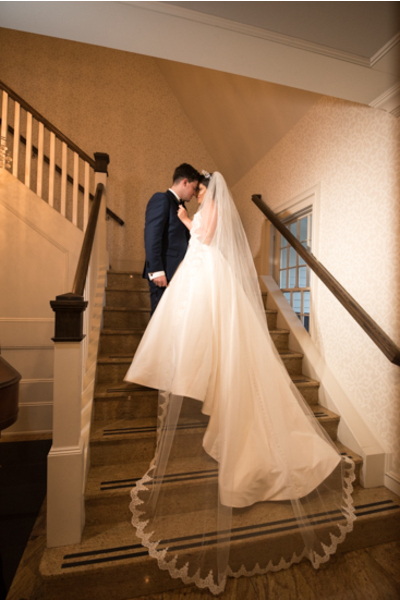 First, our NJ Wedding Photographer artistically captured the morning bride and groom prep! 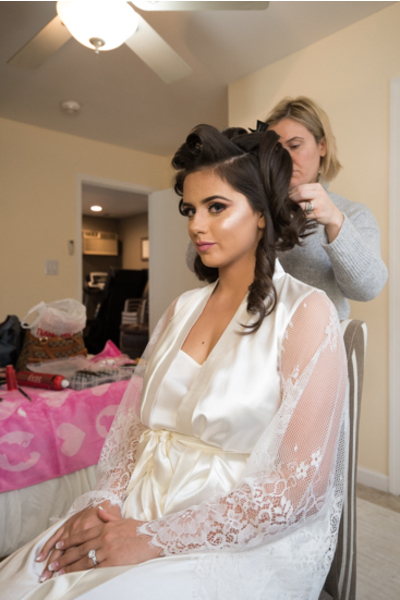 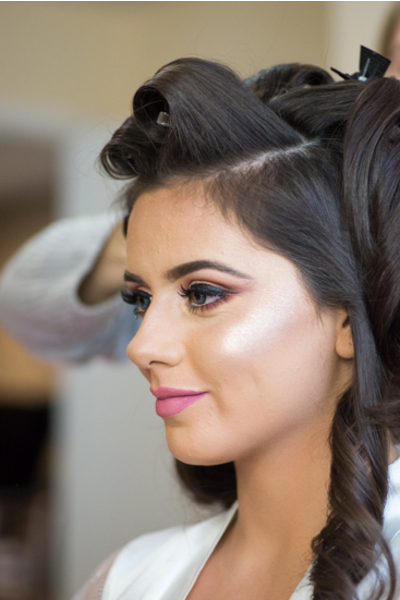 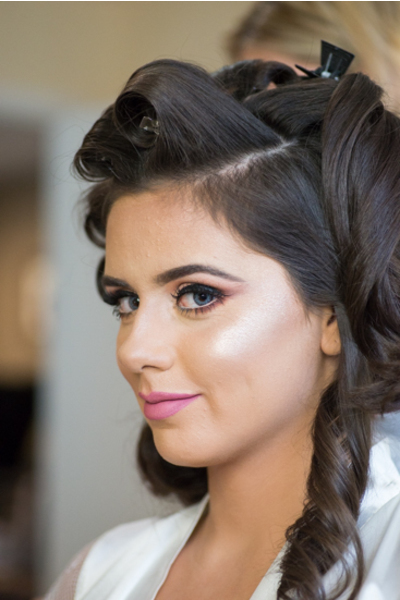 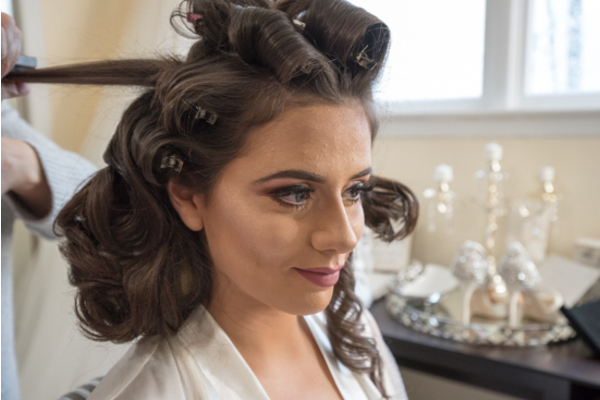 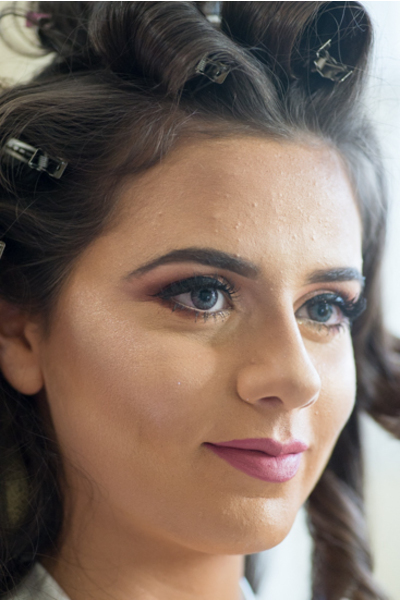 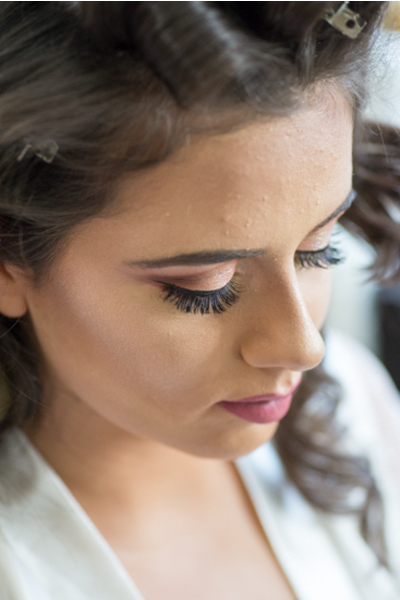 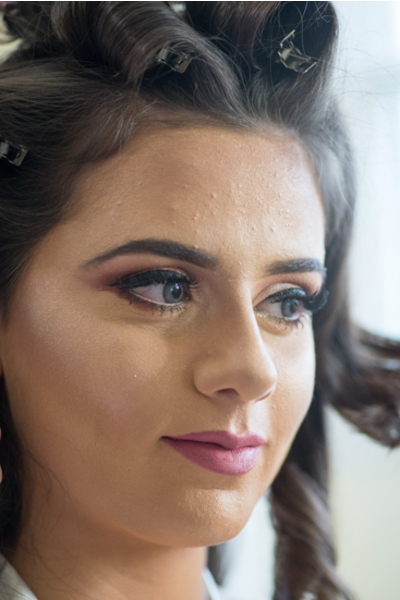 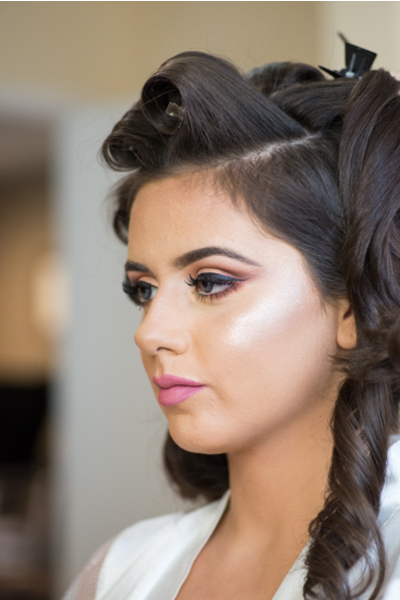 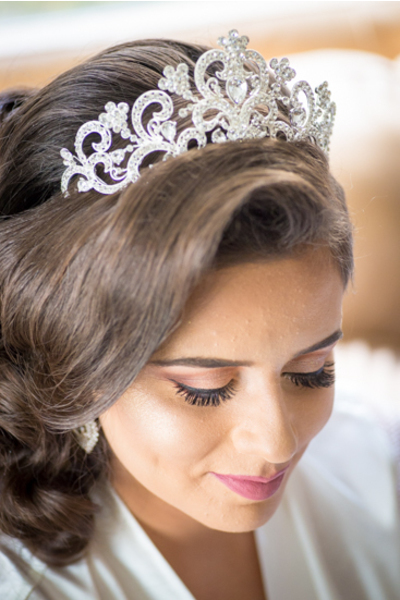 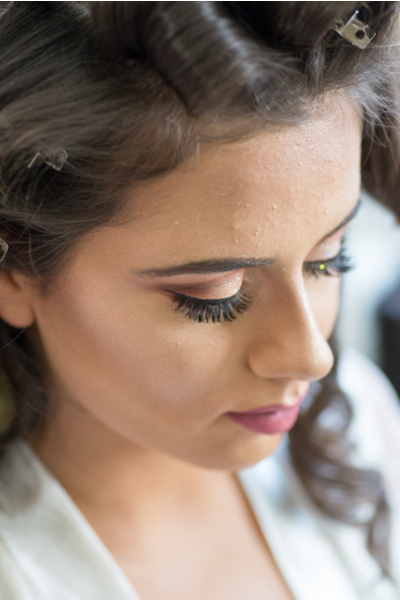 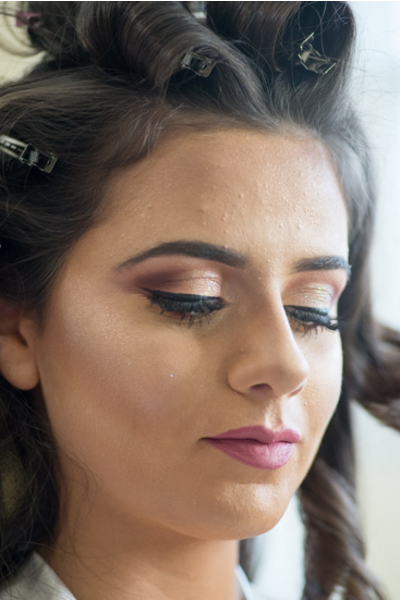 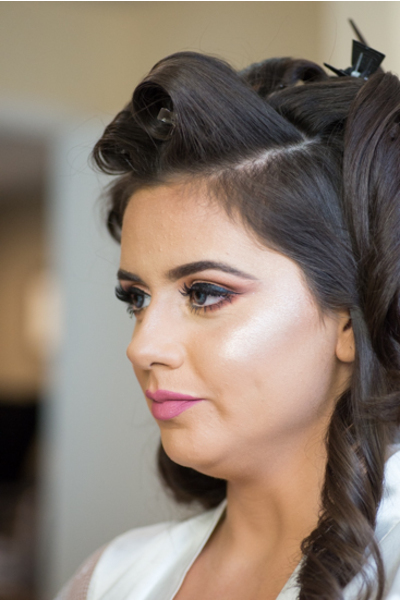 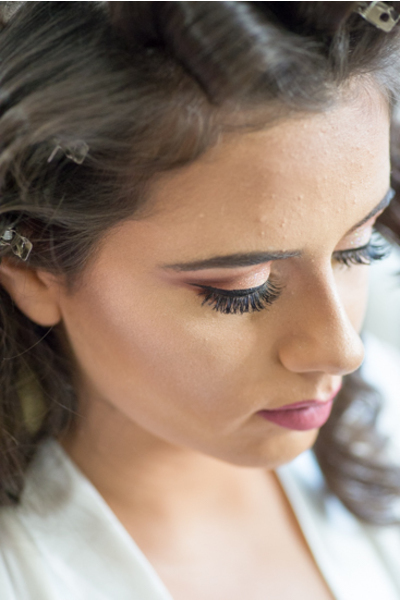 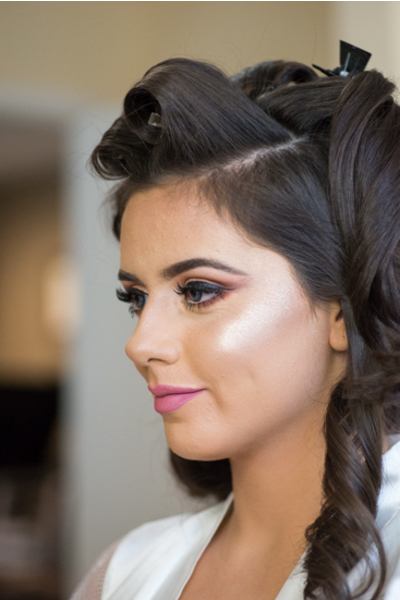 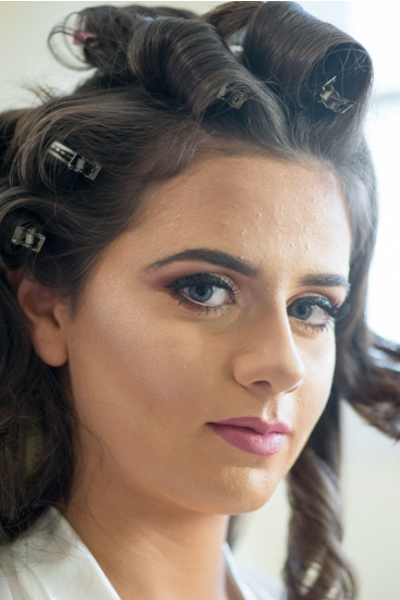 Fatima began her day at home getting her hair and makeup done to perfection. 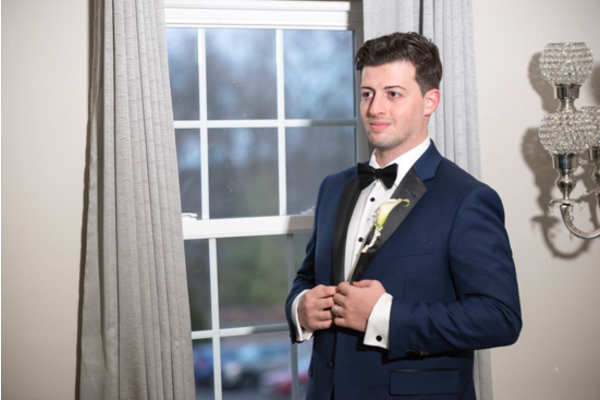 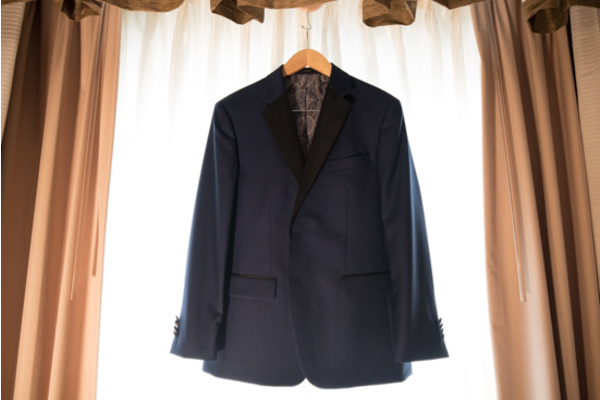 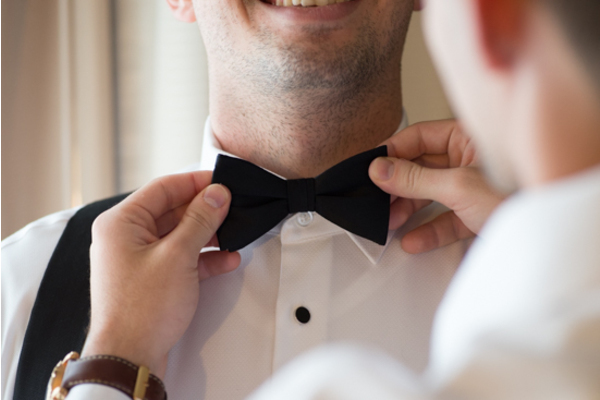 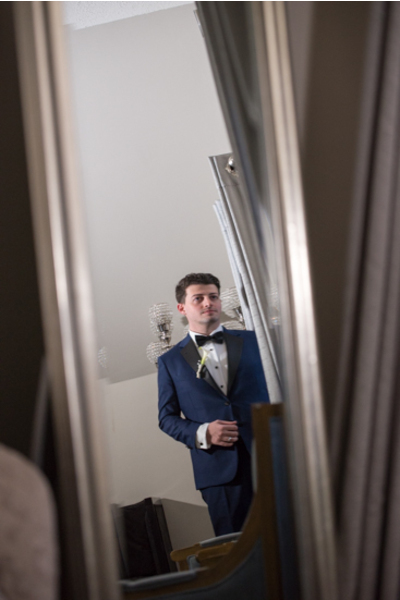 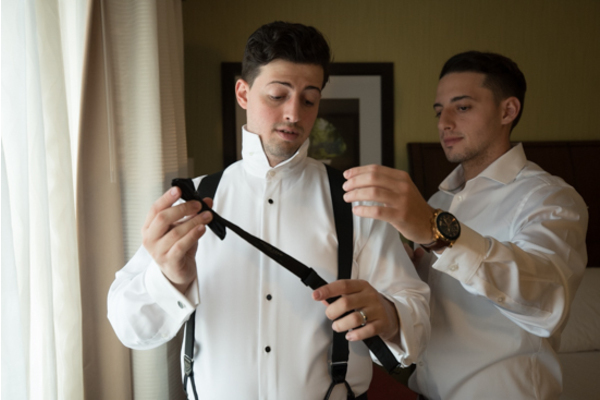 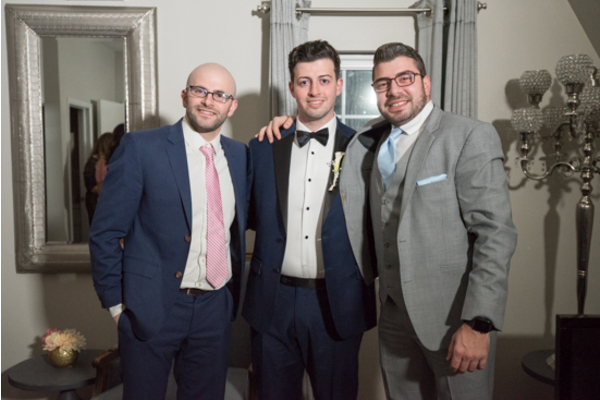 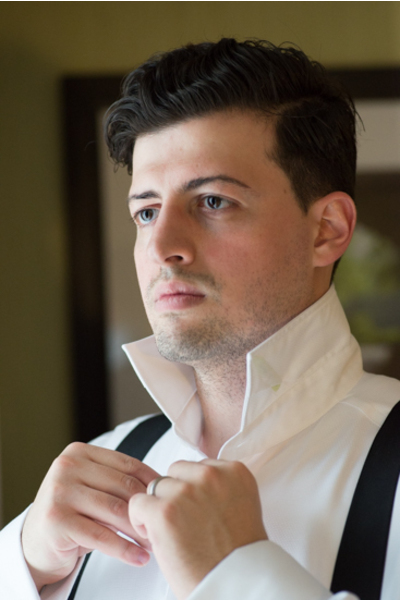 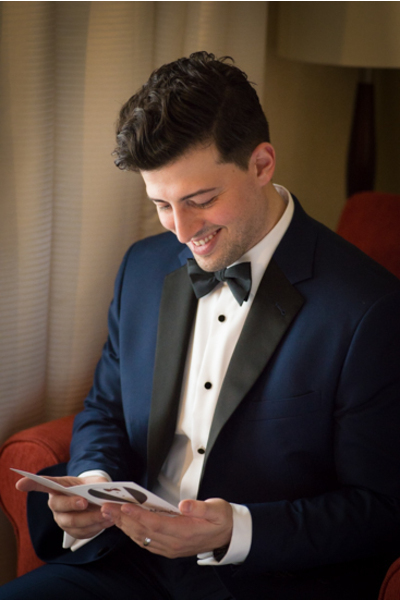 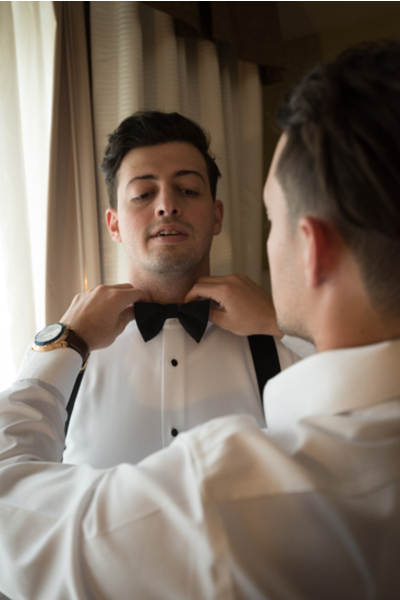 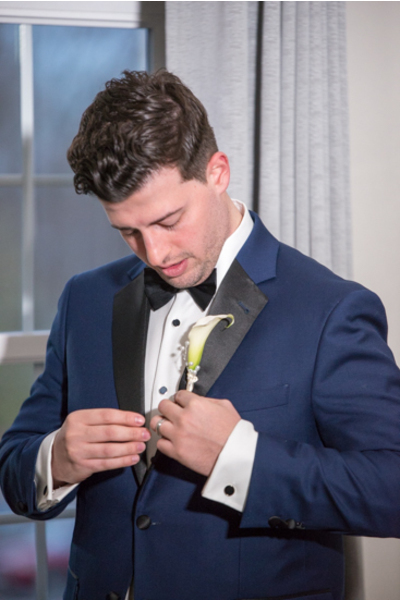 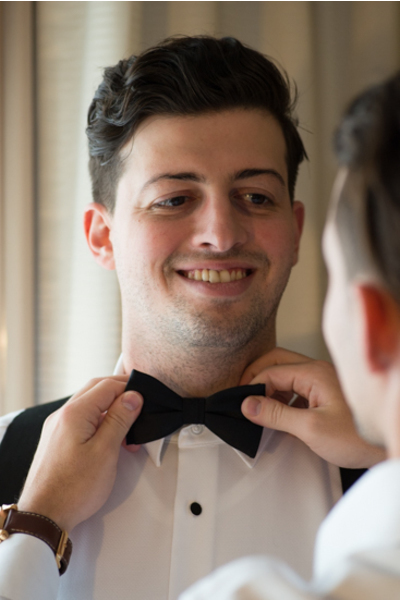 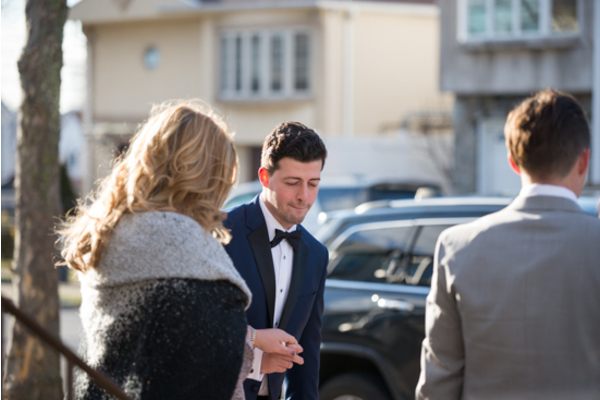 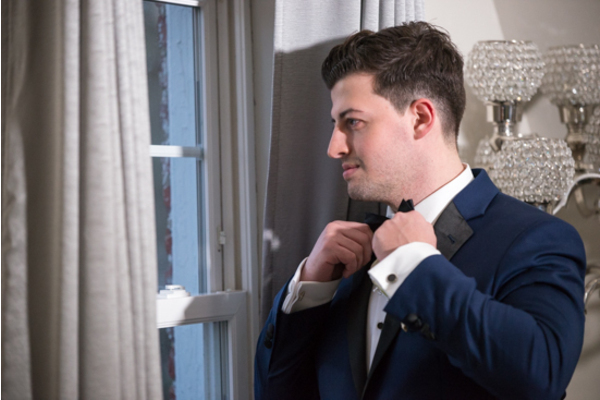 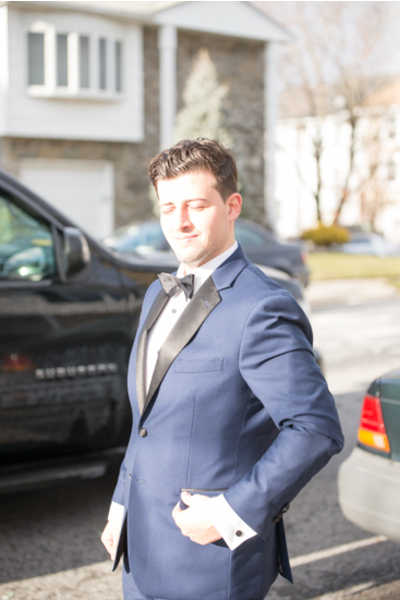 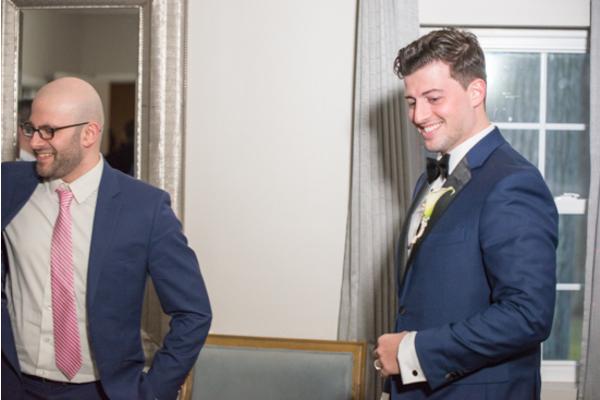 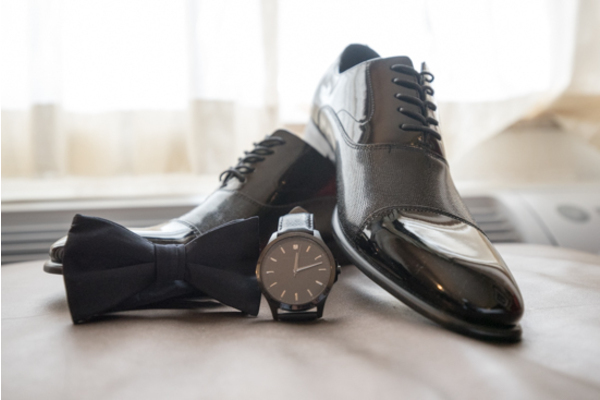 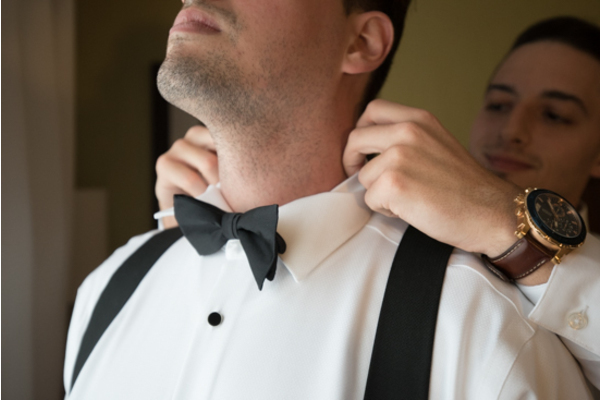 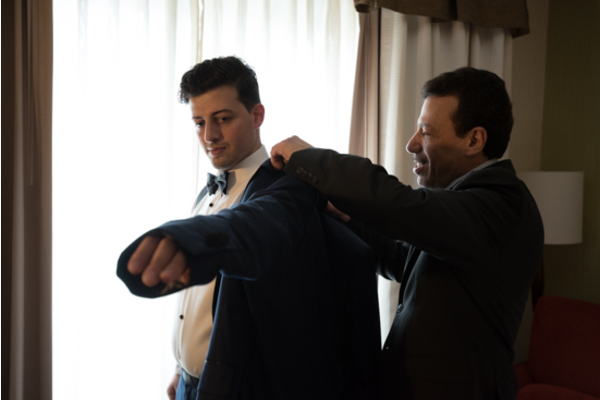 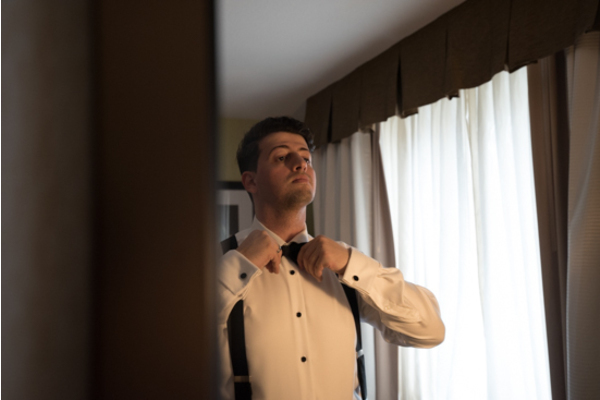 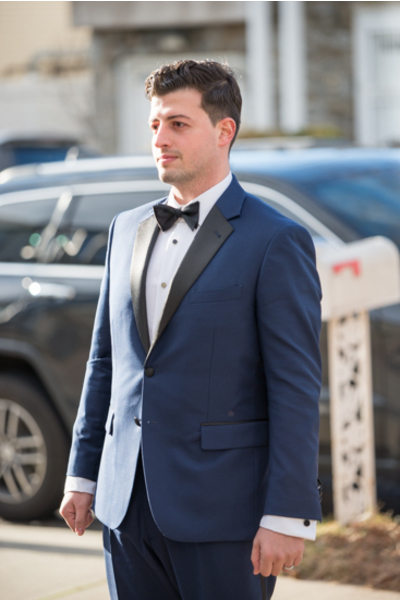 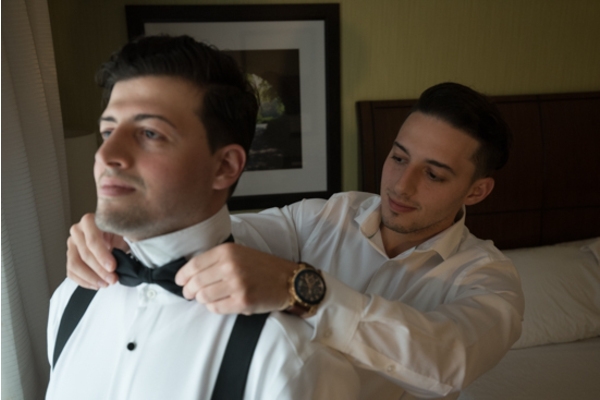 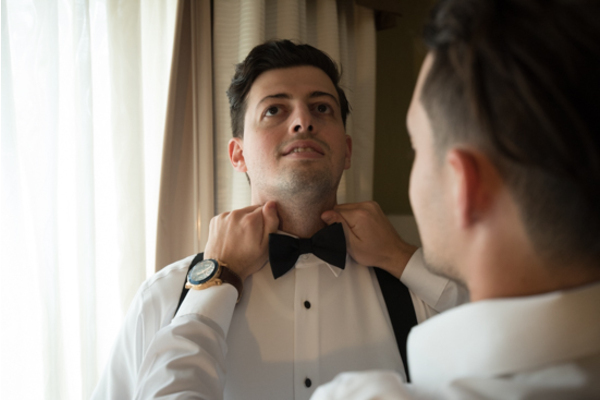 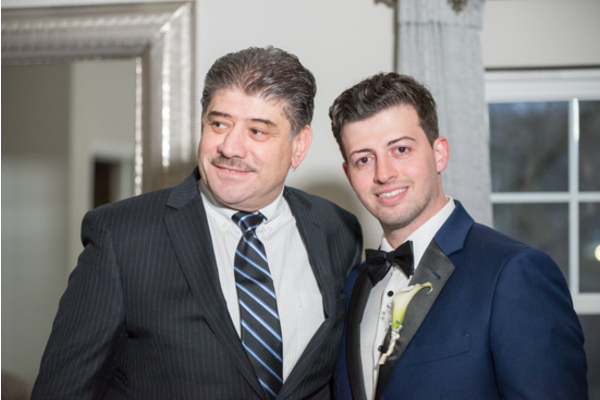 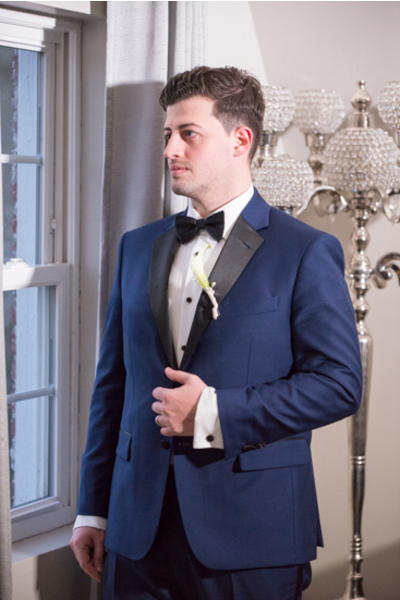 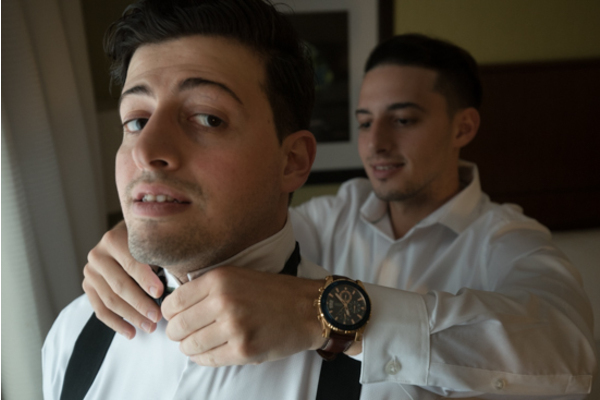 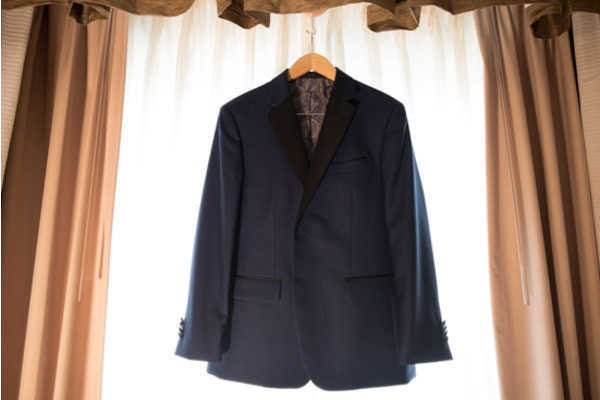 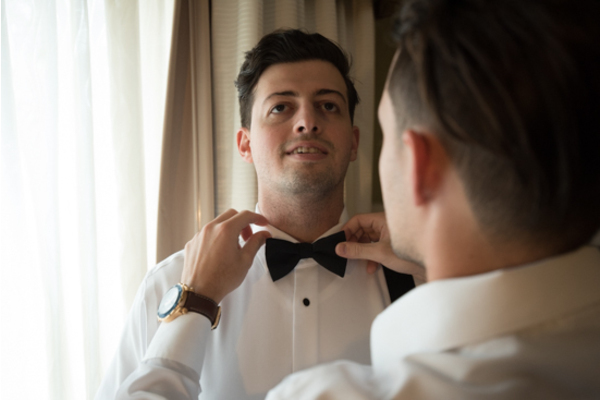 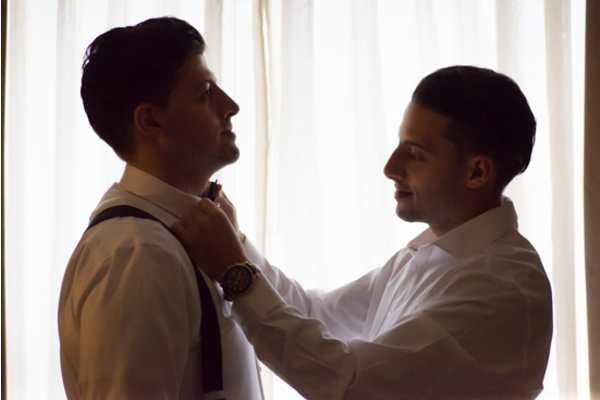 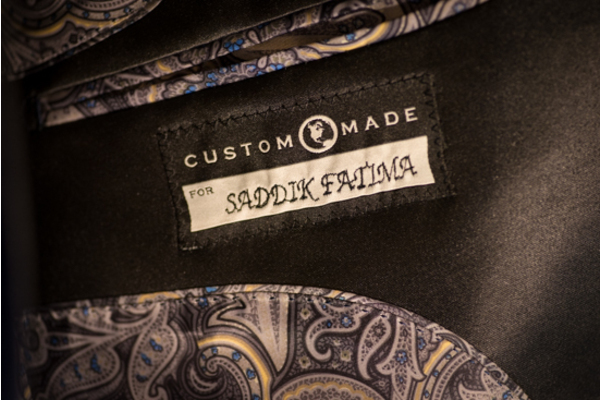 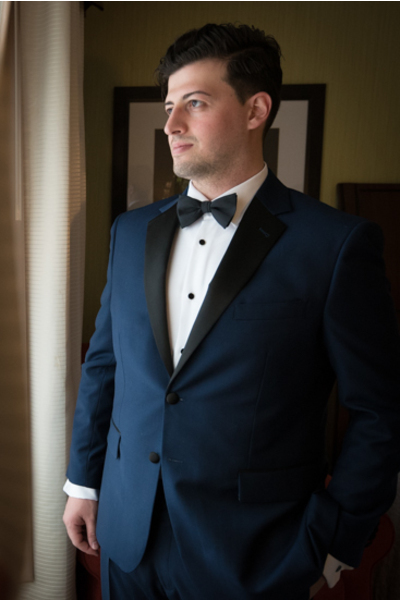 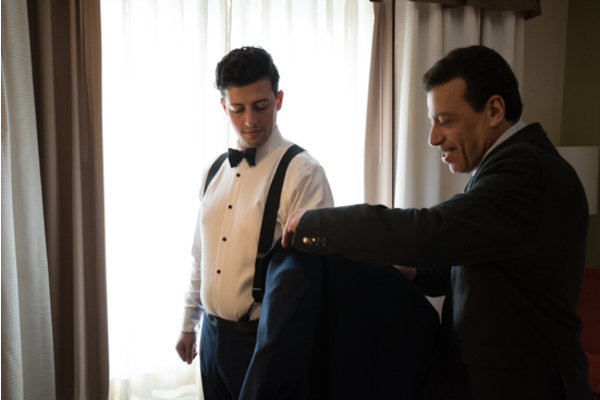 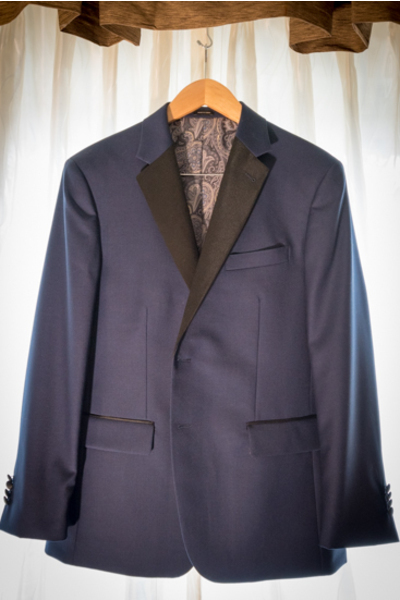 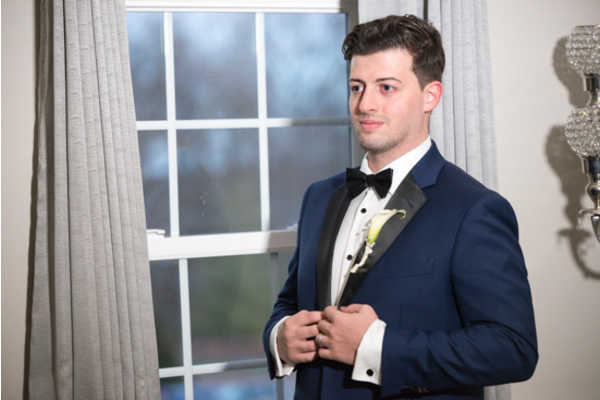 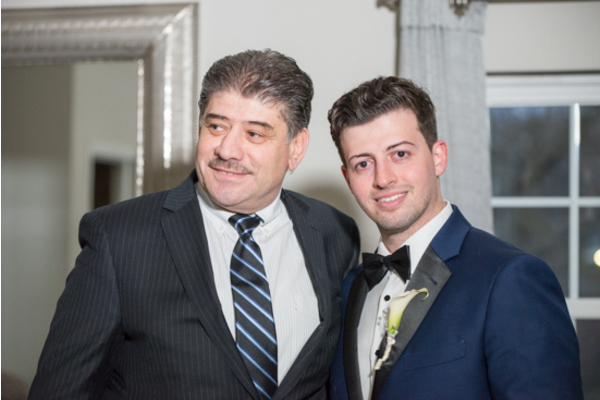 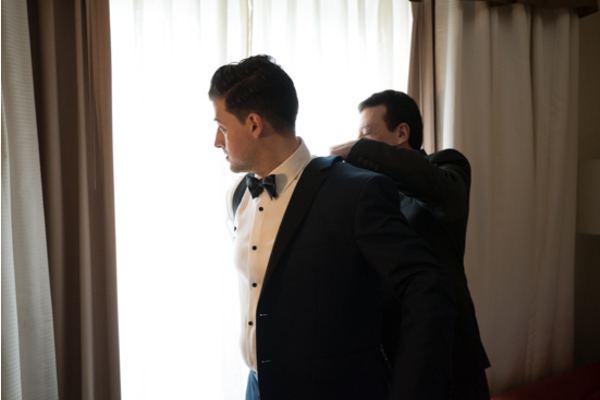 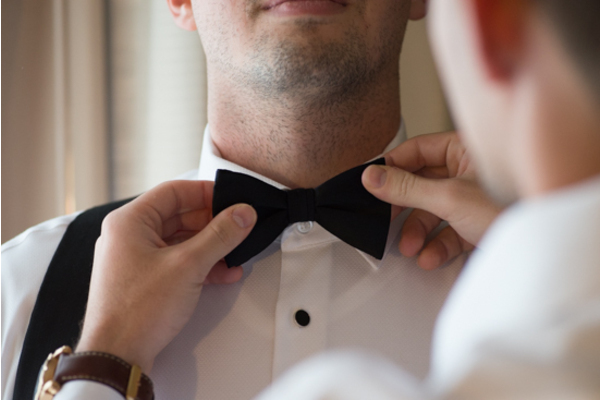 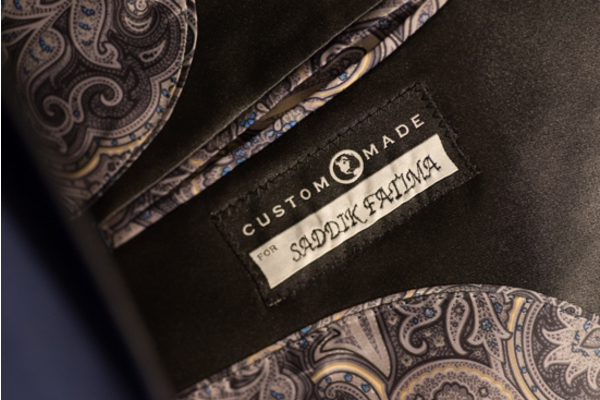 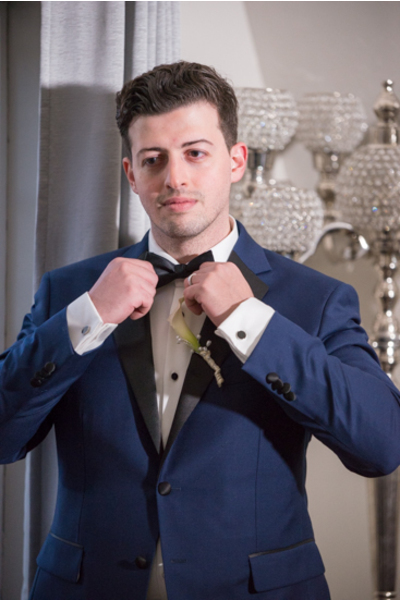 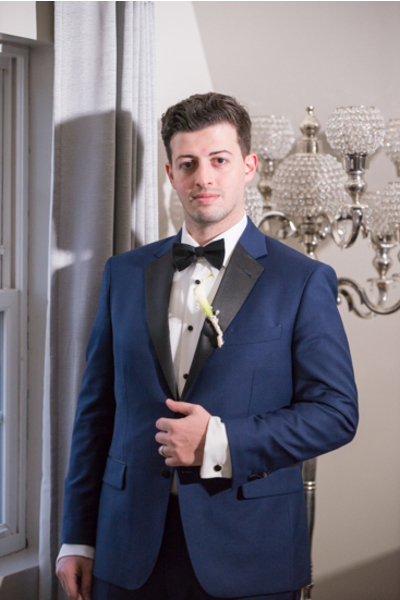 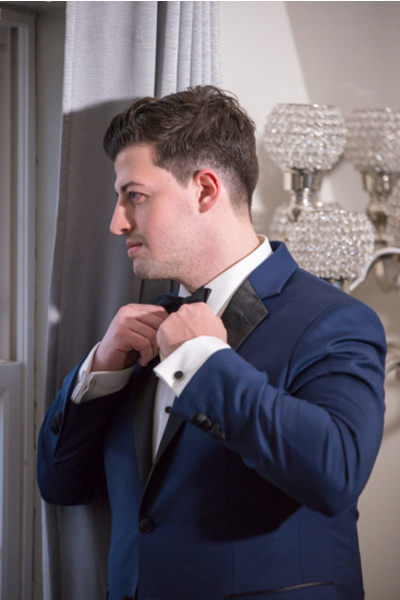 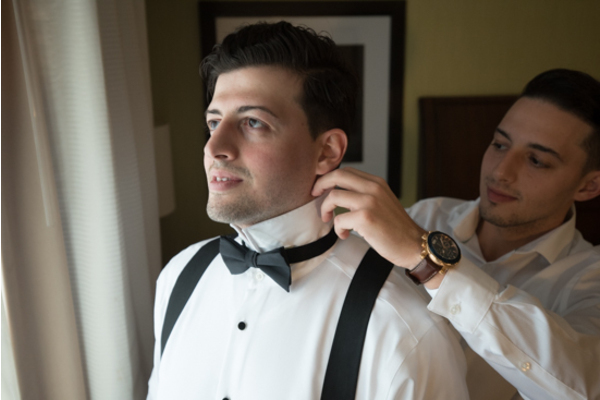 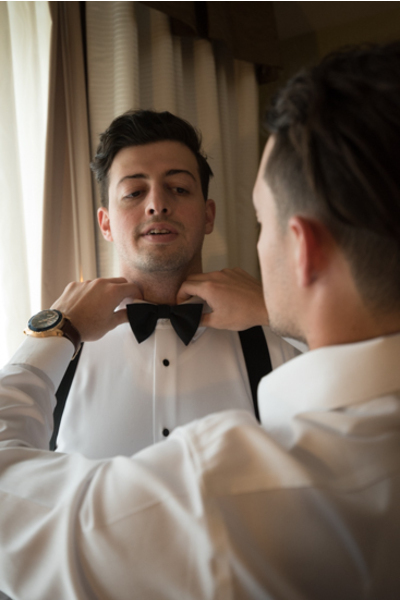 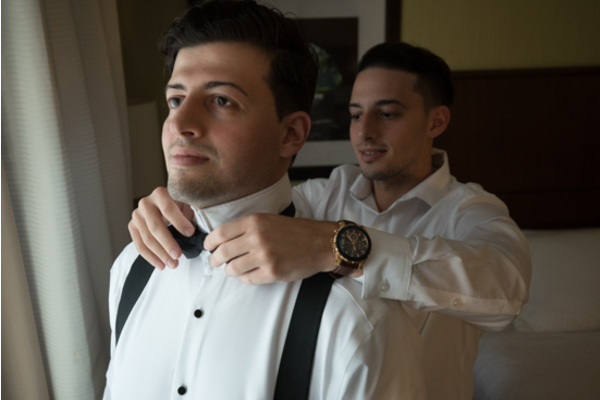 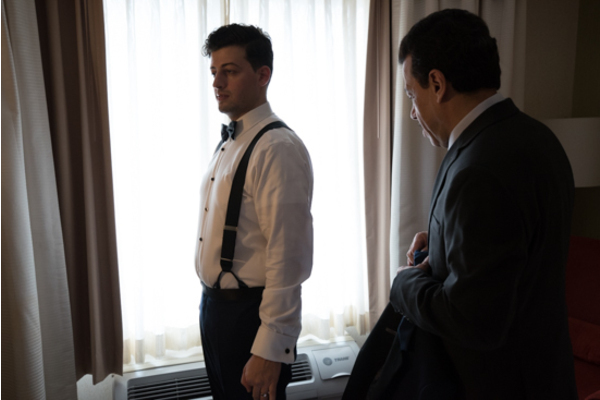 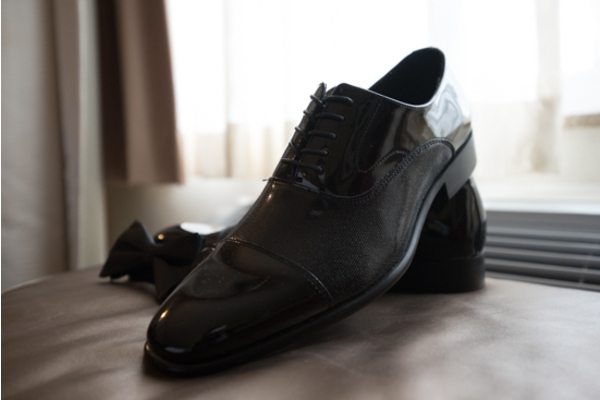 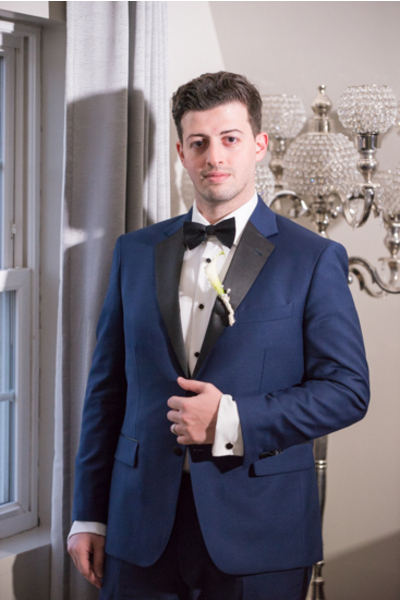 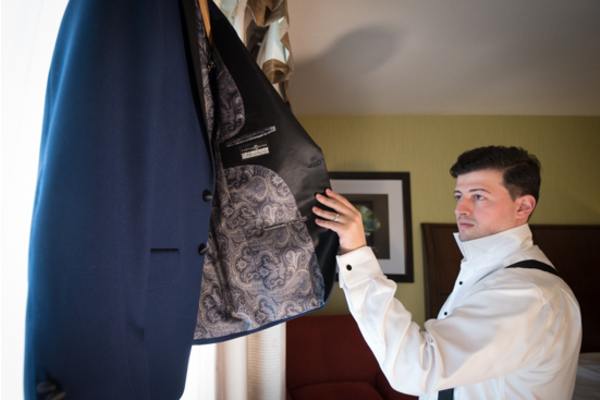 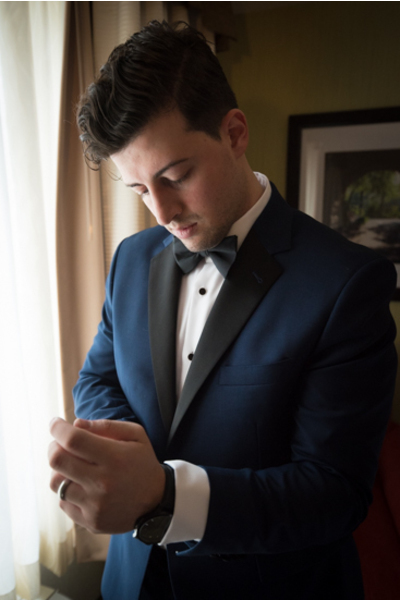 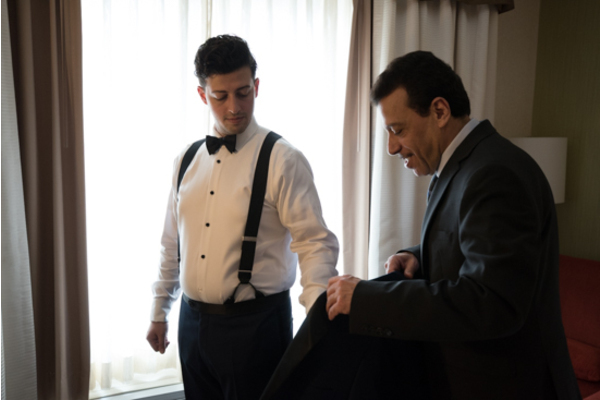 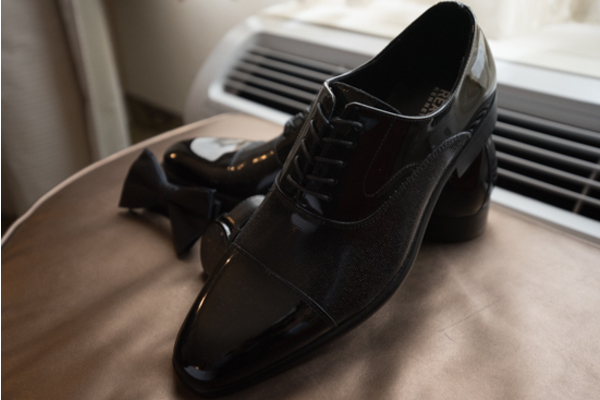 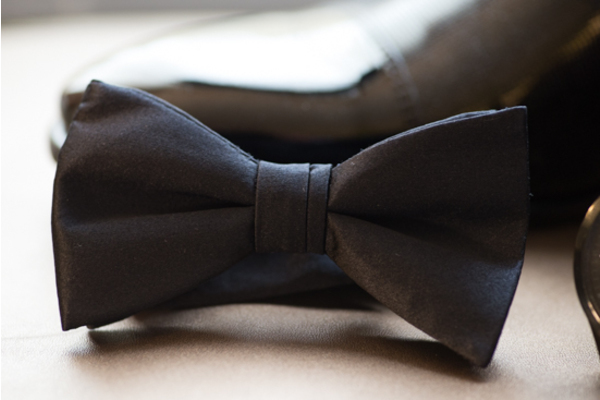 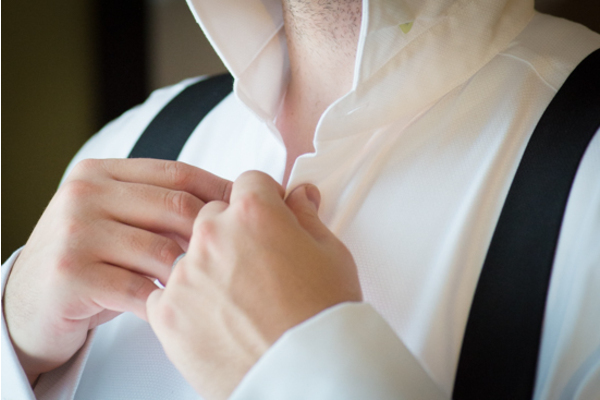 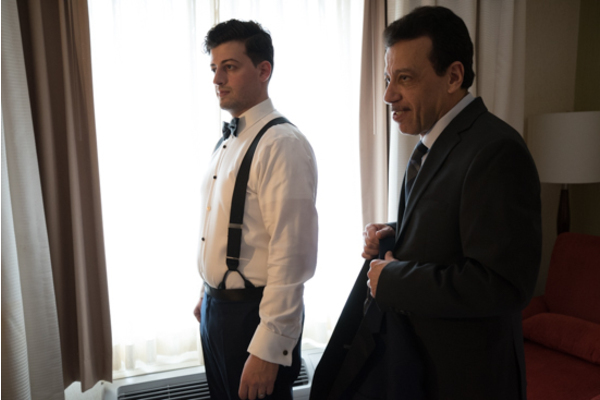 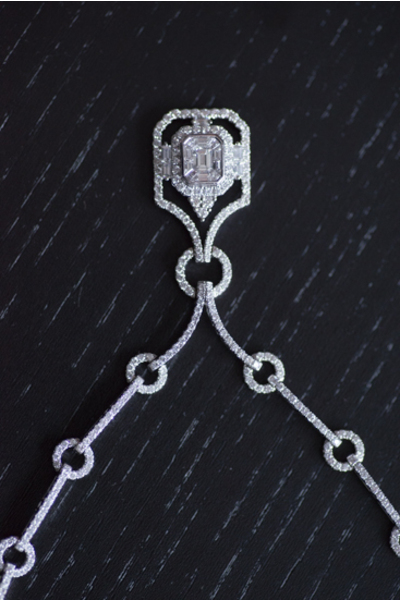 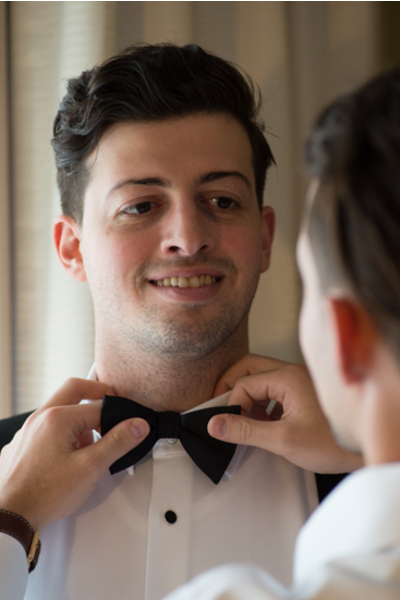 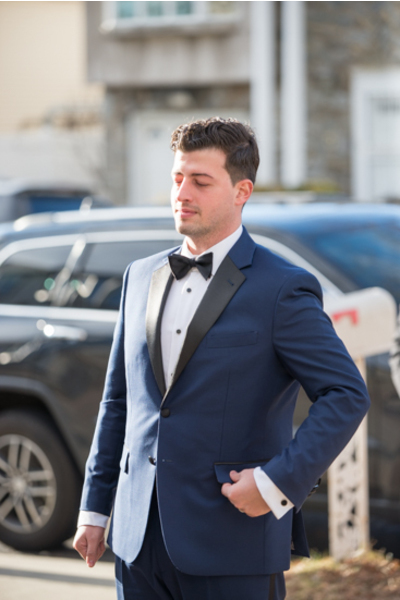 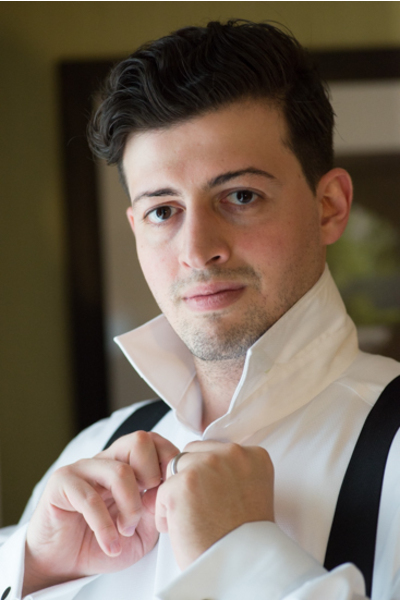 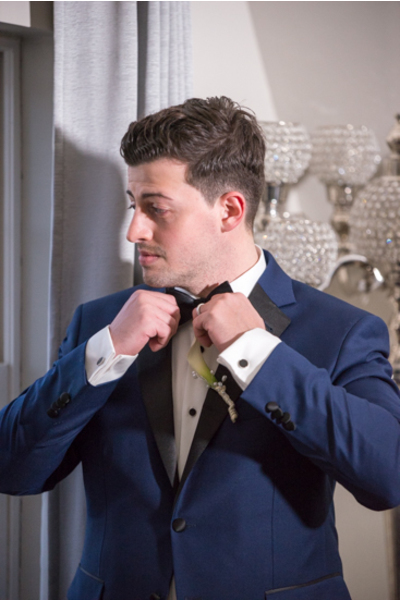 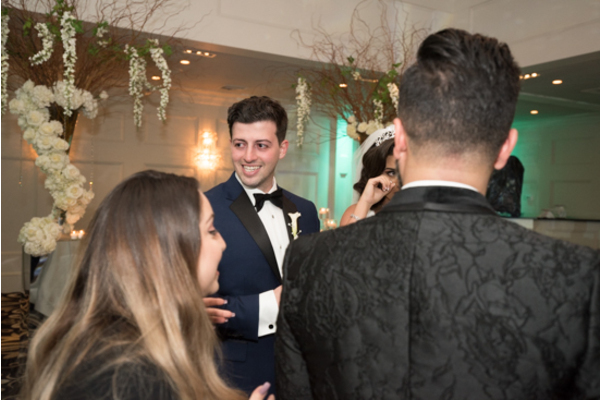 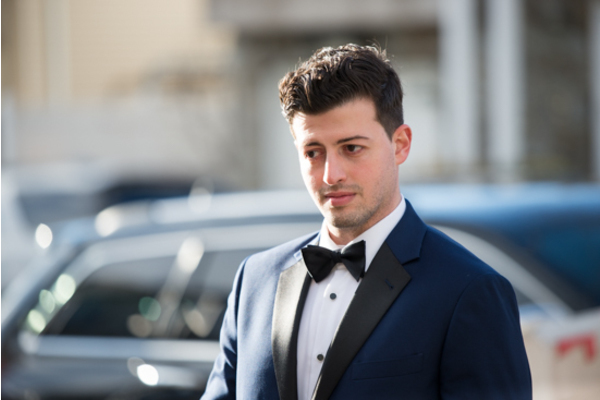 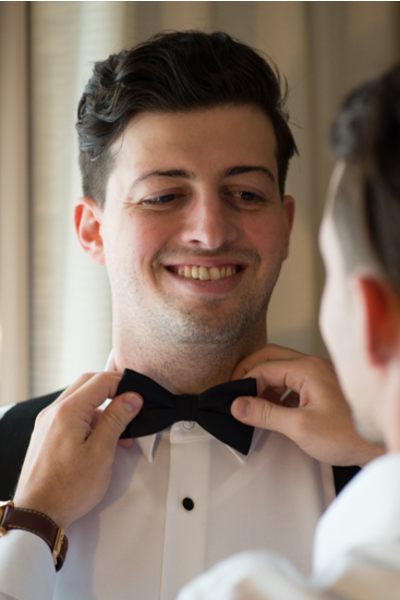 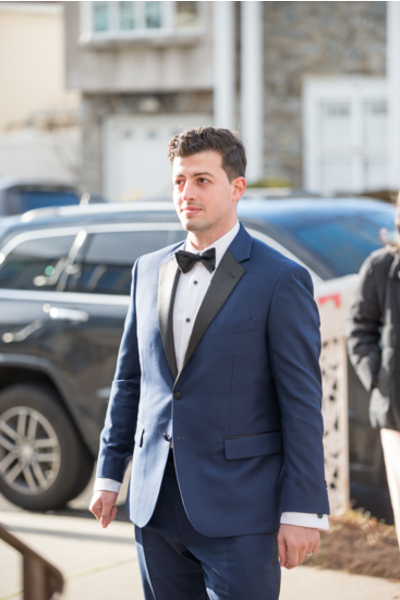 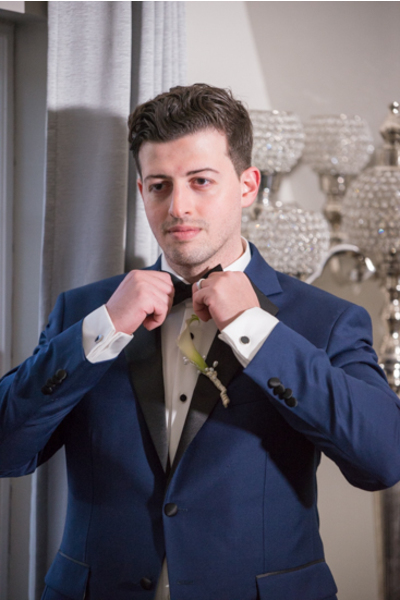 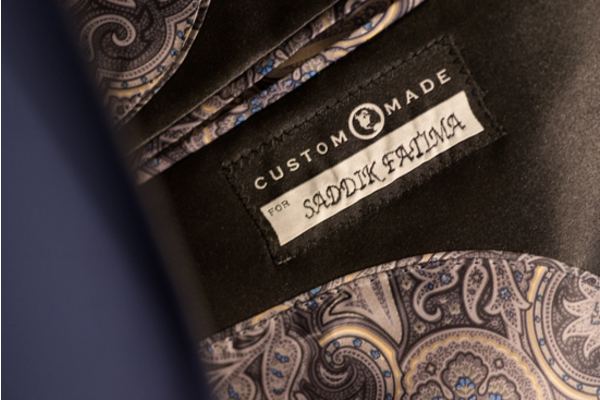 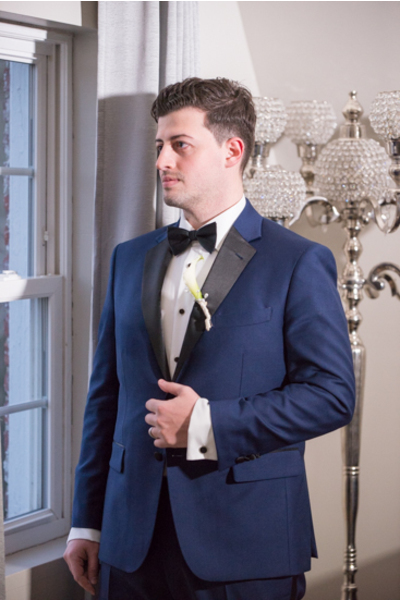 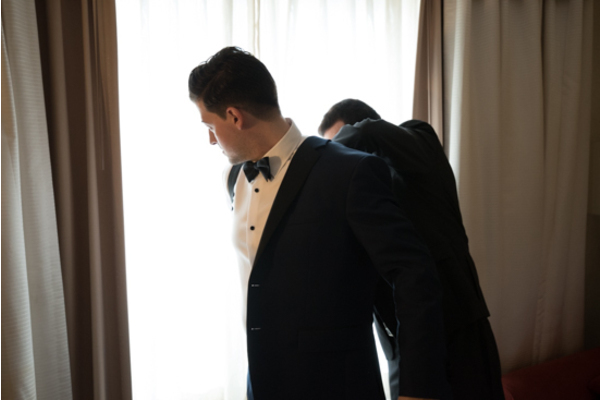 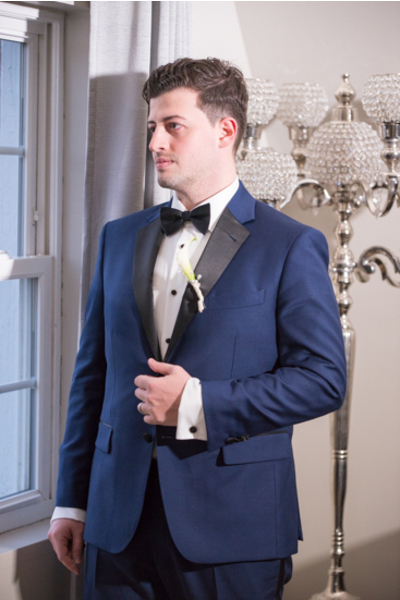 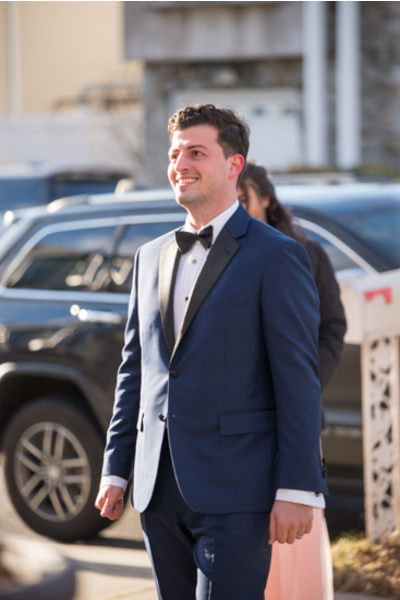 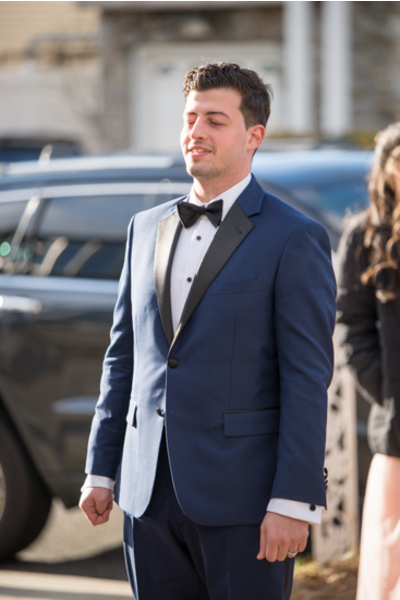 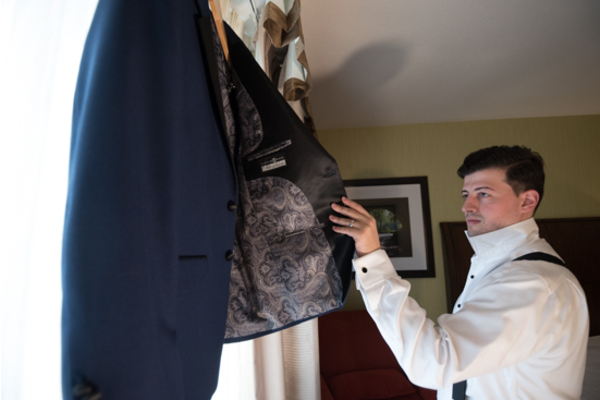 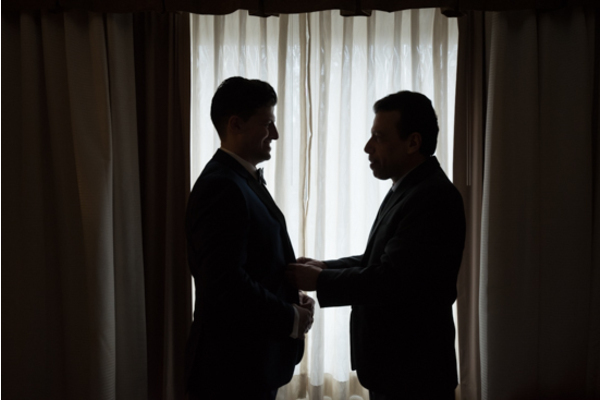 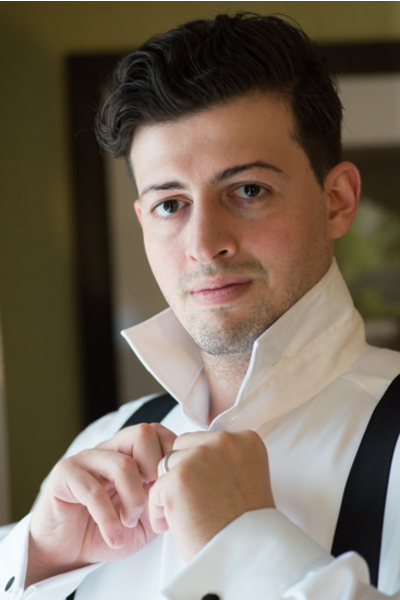 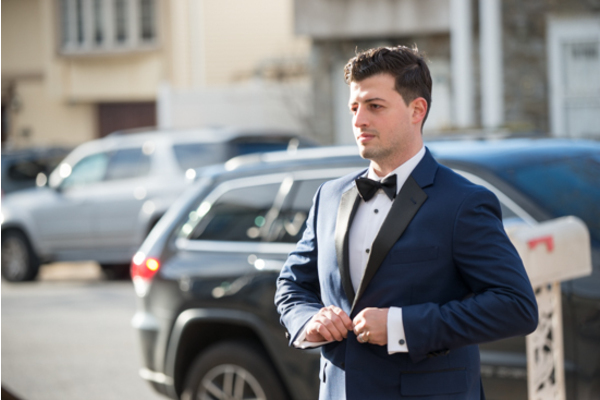 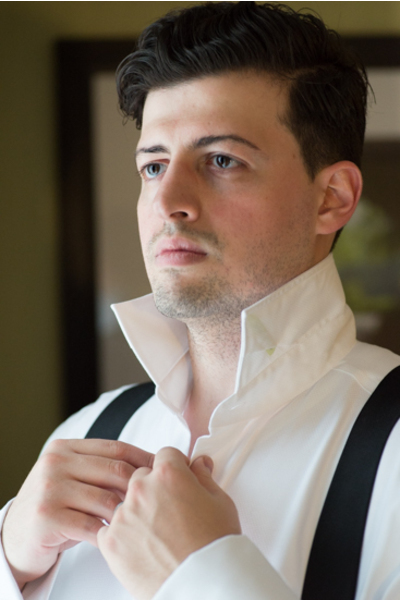 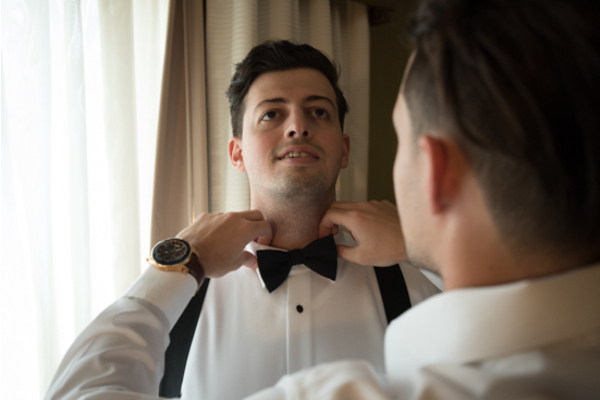 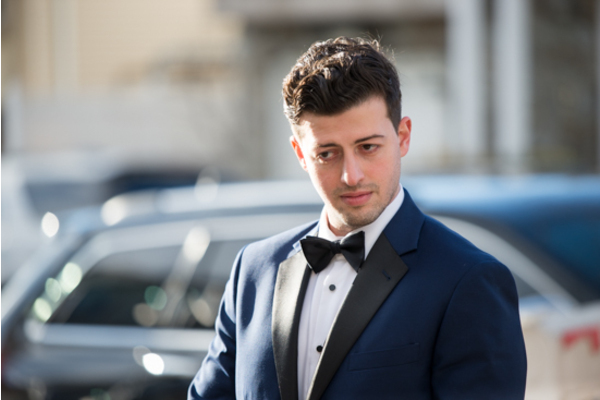 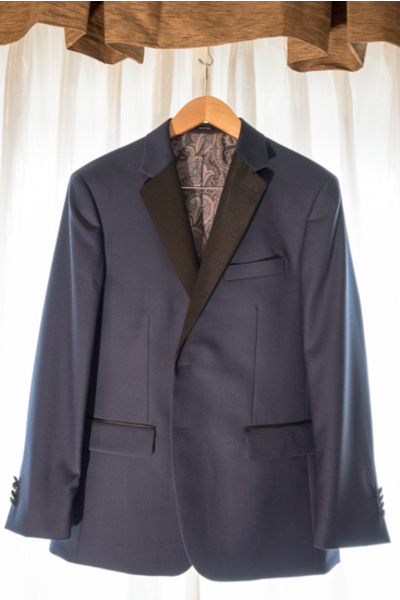 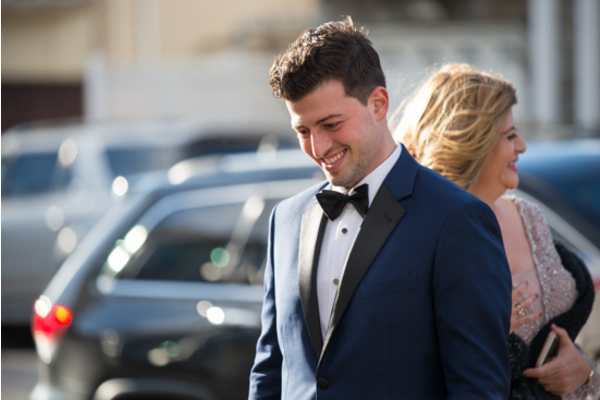 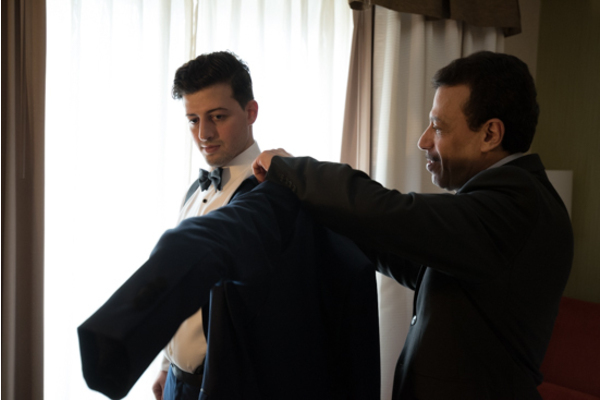 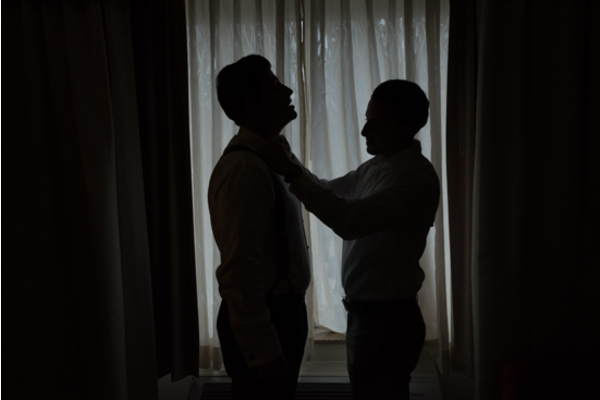 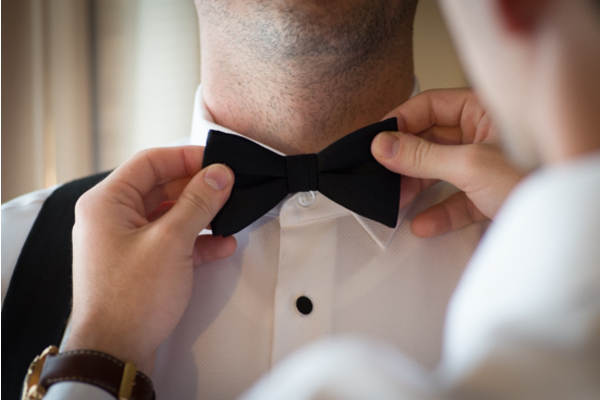 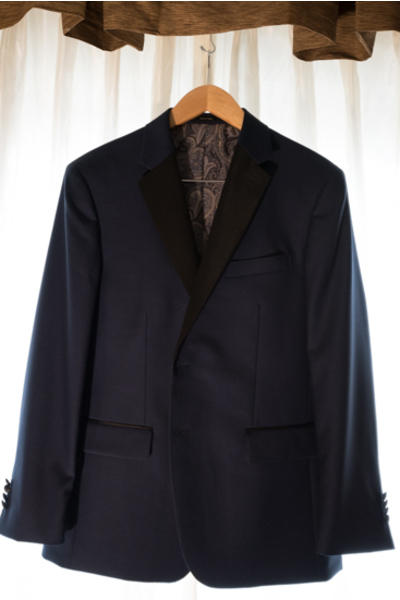 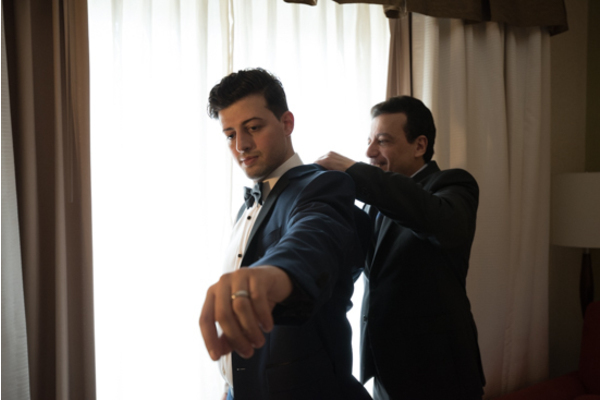 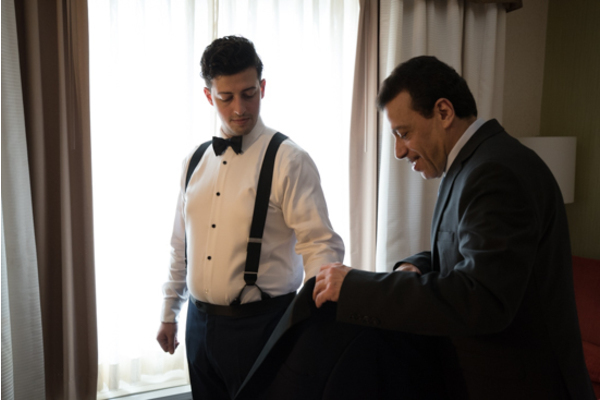 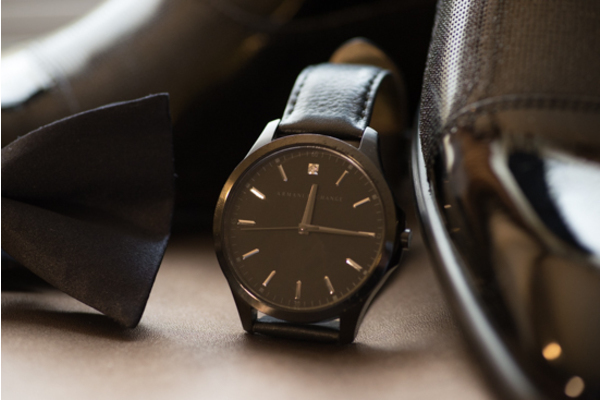 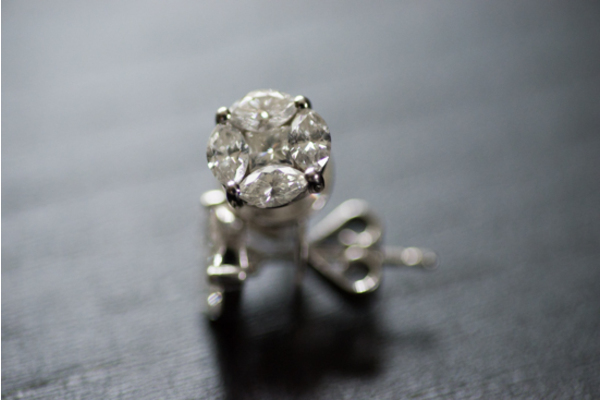 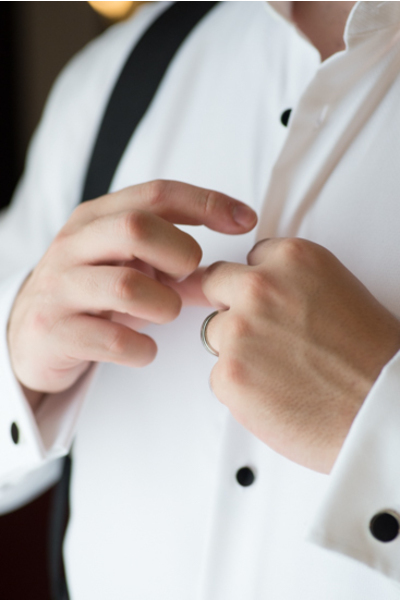 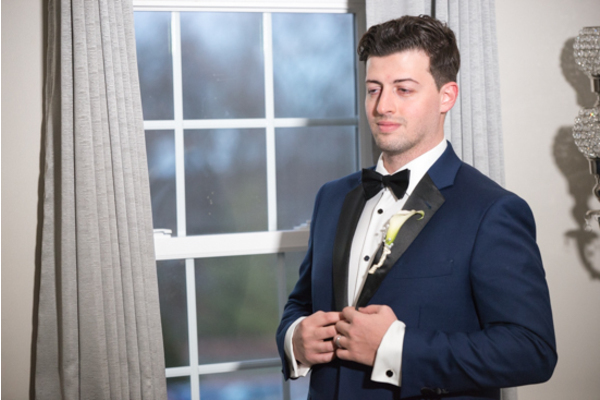 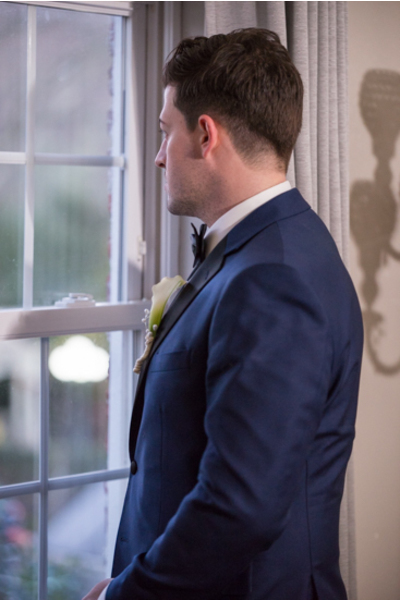 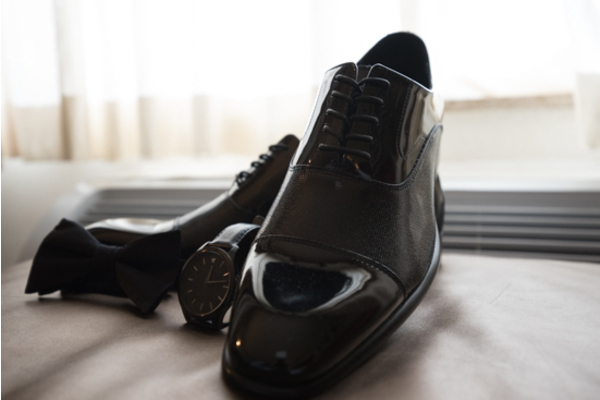 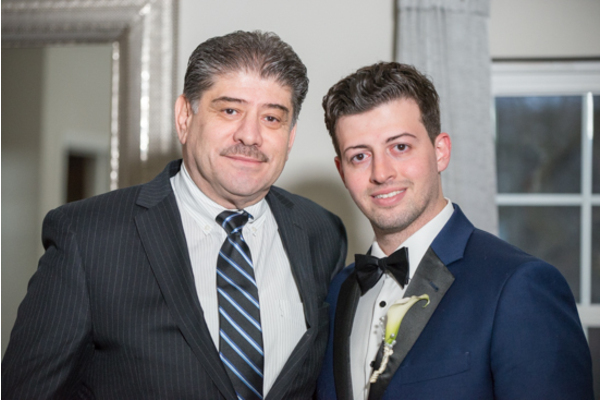 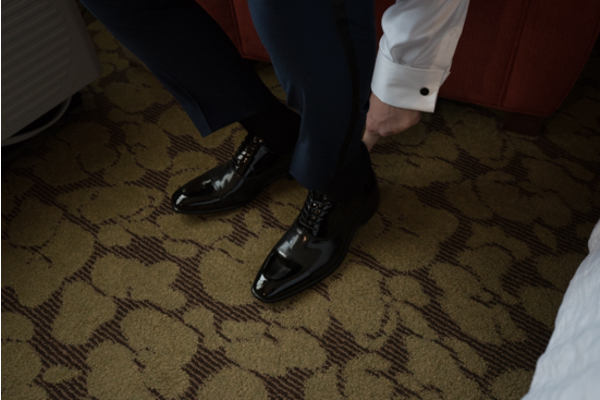 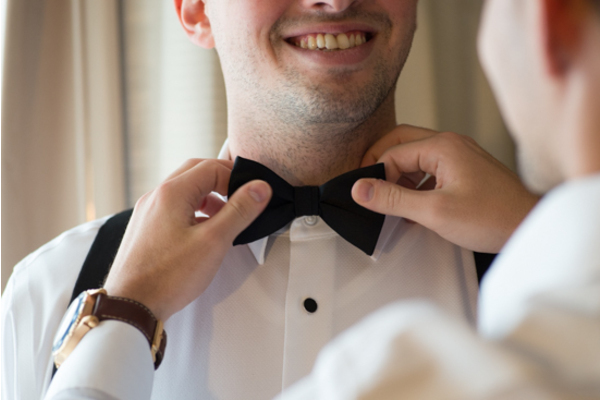 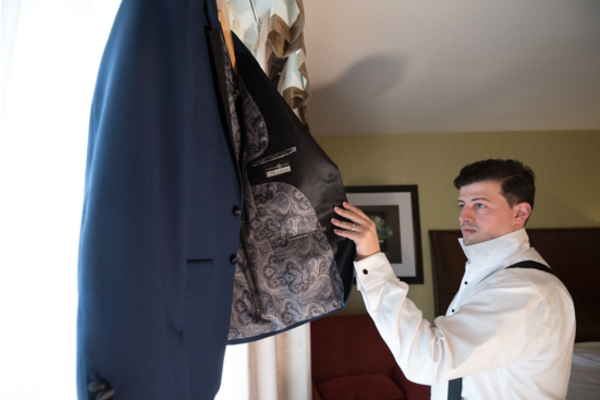 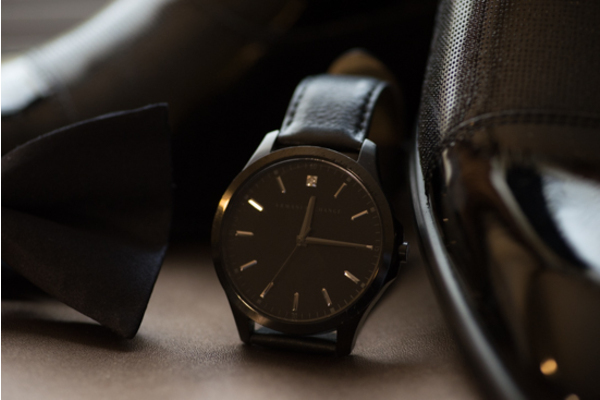 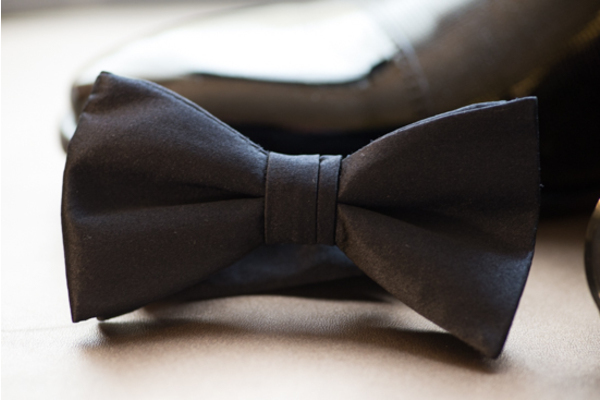 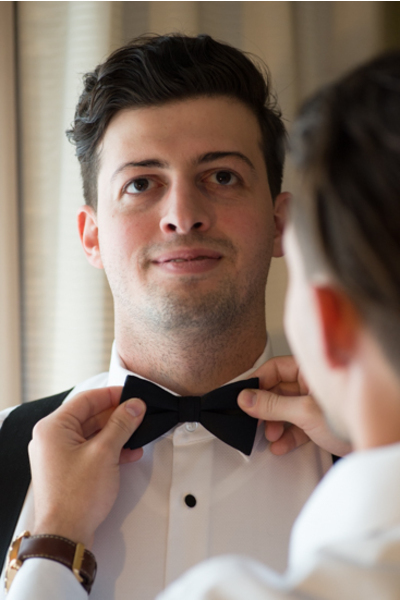 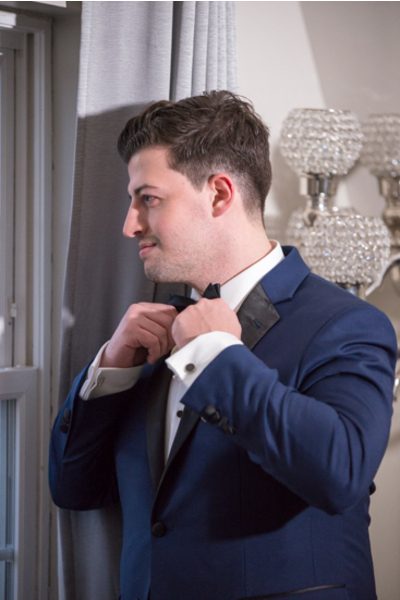 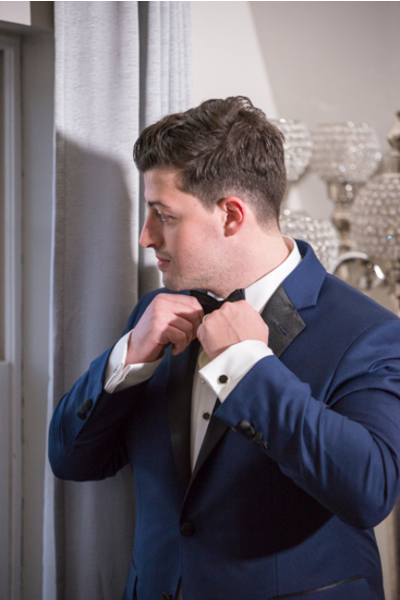 As she was finishing up, Saddik adjusted his bow tie and put on his suit jacket with the help of his best man. 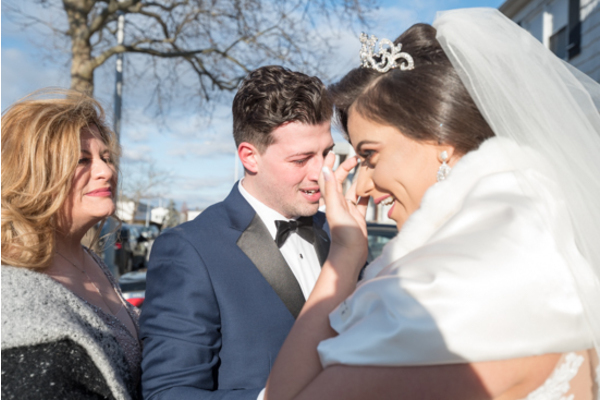 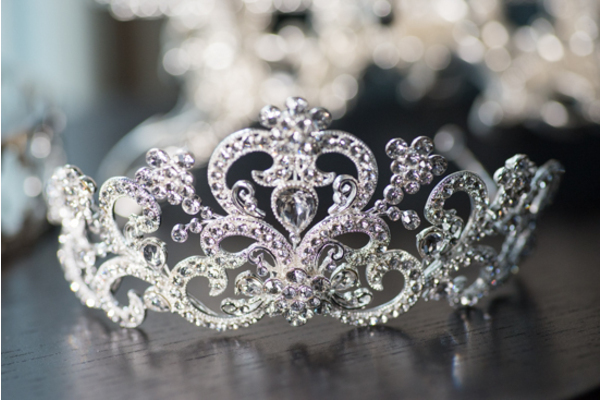 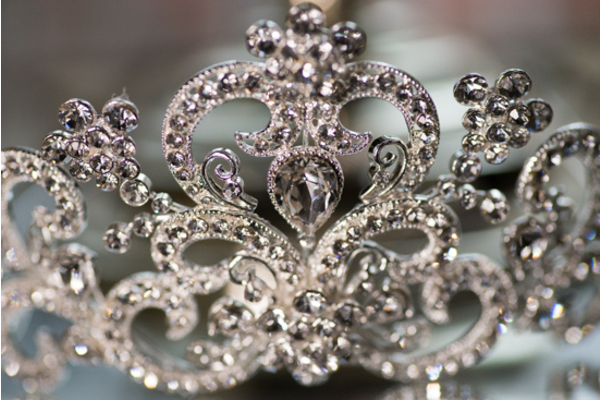 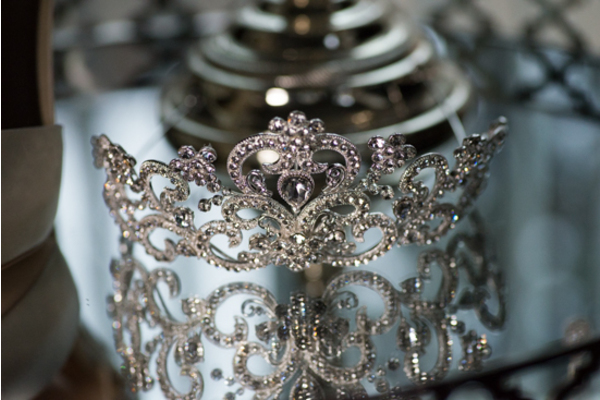 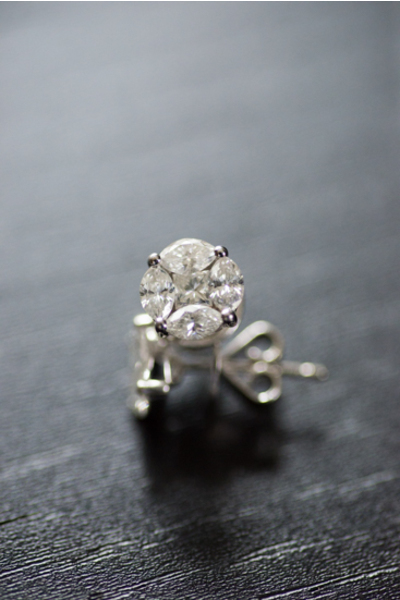 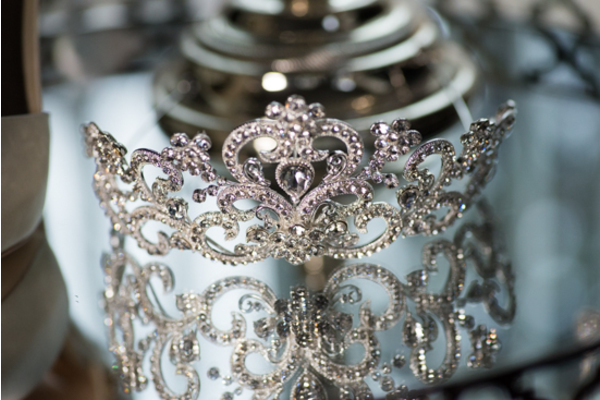 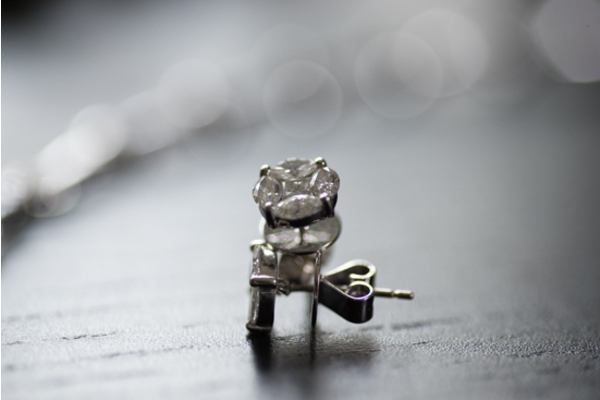 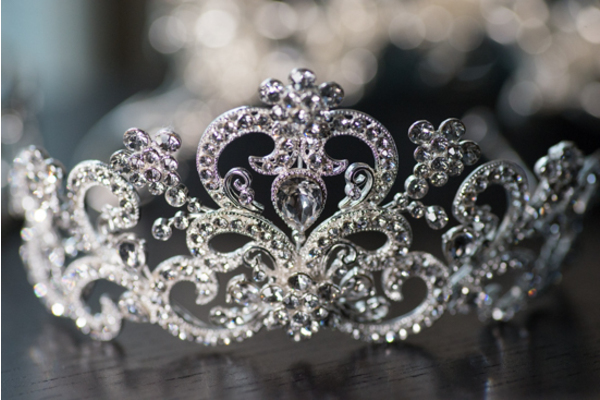 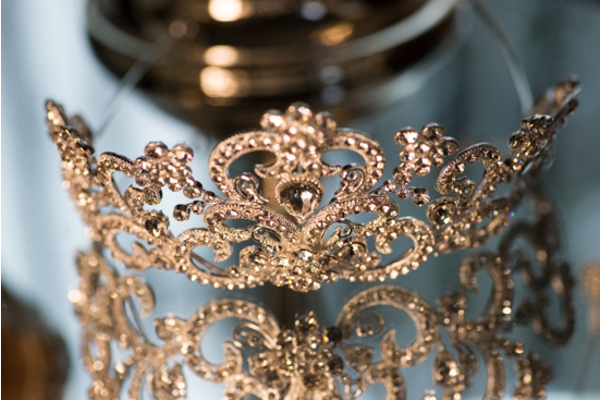 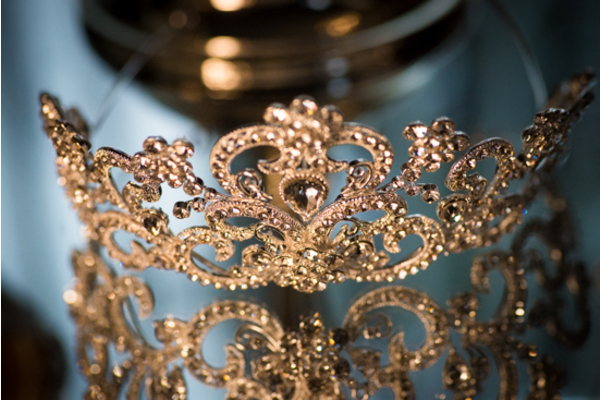 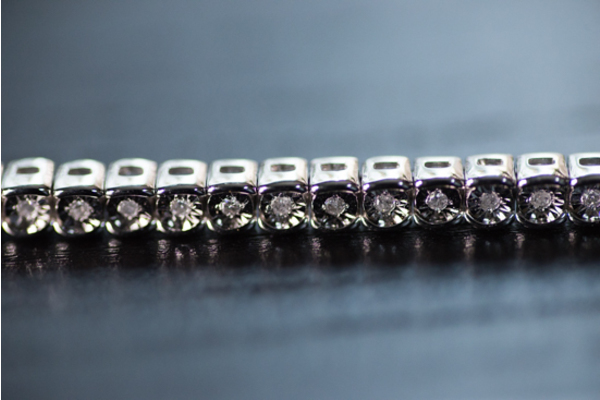 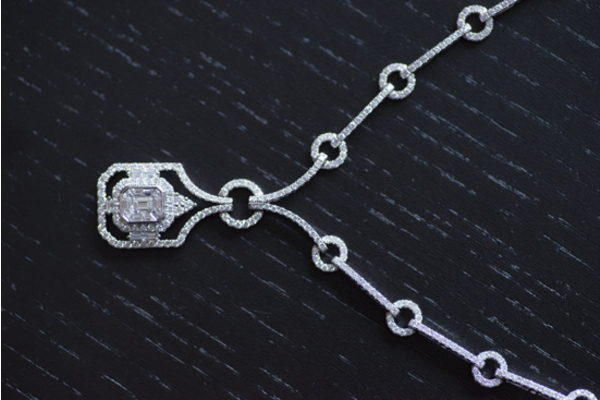 Afterwards, Saddik finally laid eyes on his stunning bride dressed in her wedding whites and sparkly tiara. 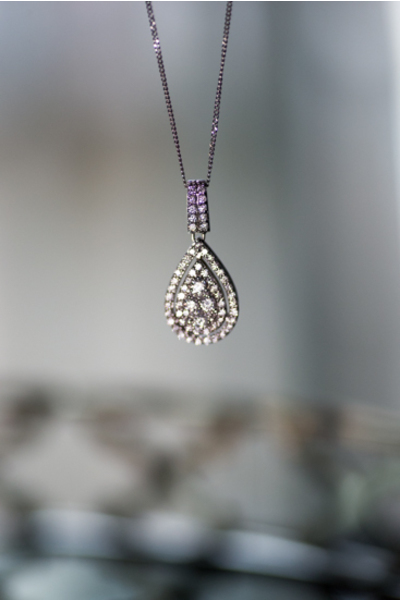 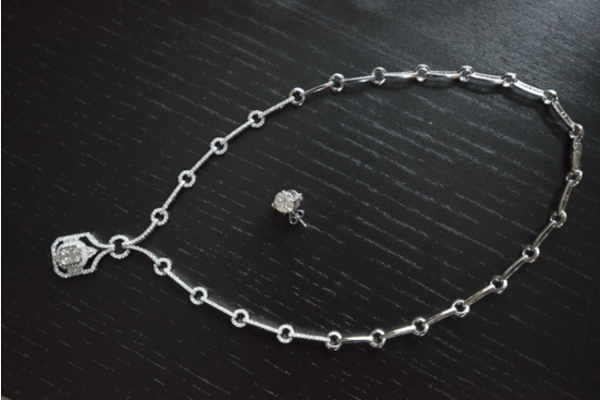 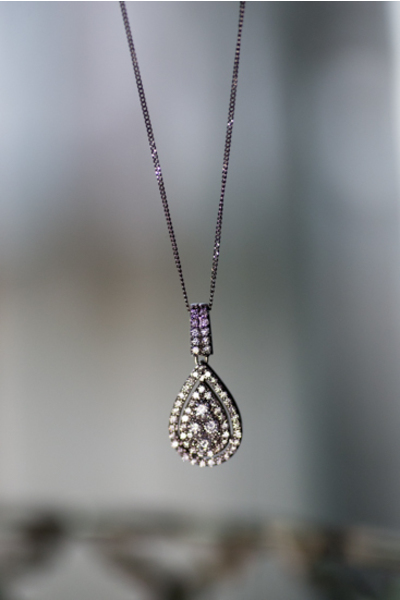 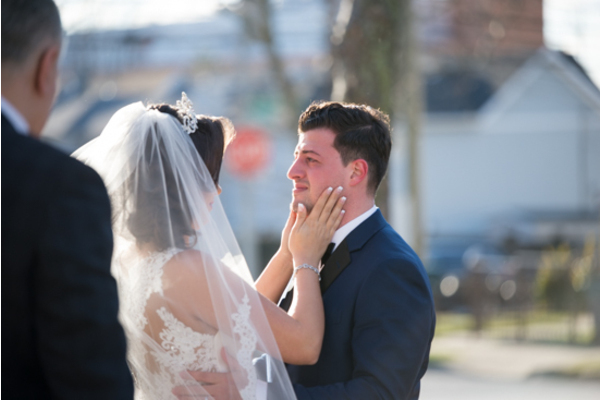 He could not believe how beautiful she looked! 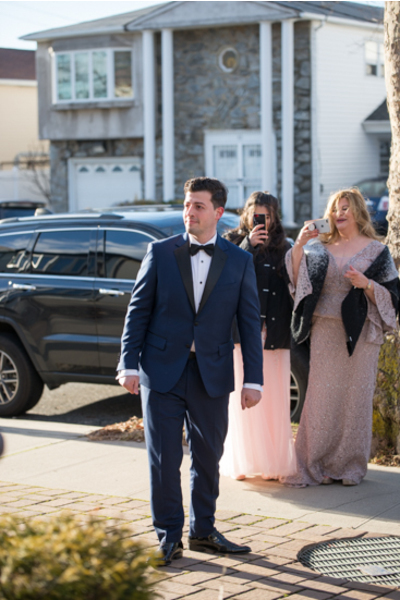 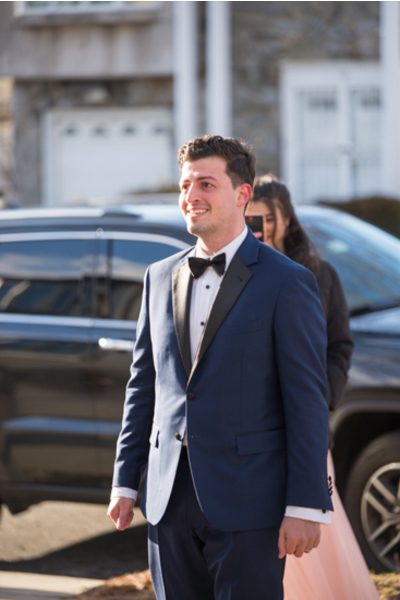 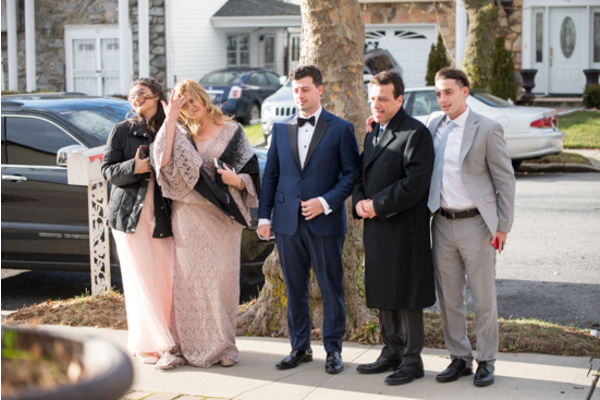 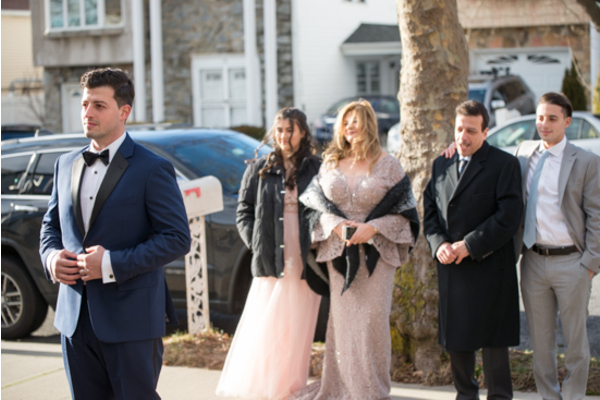 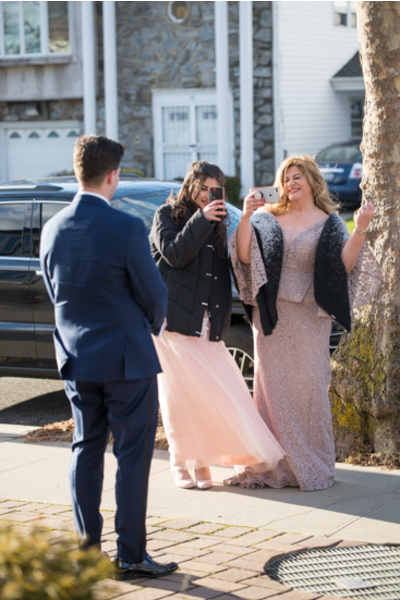 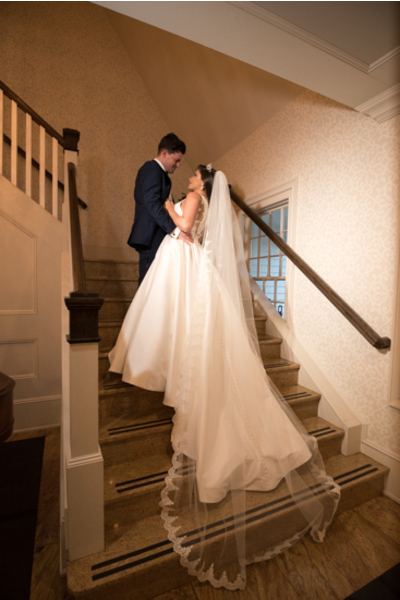 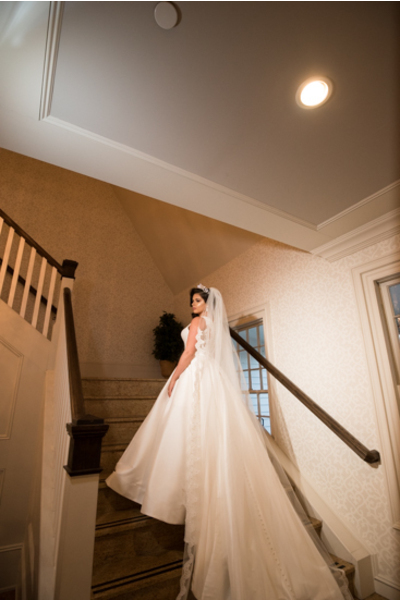 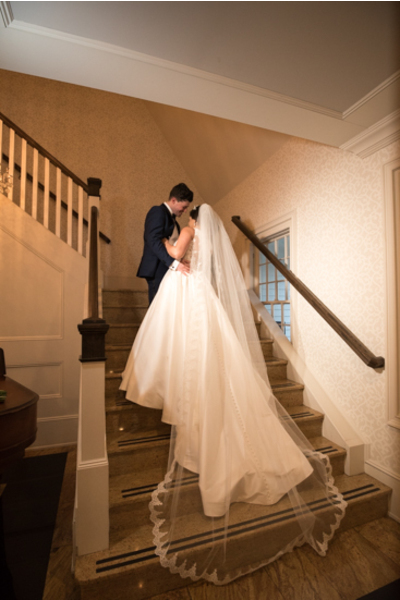 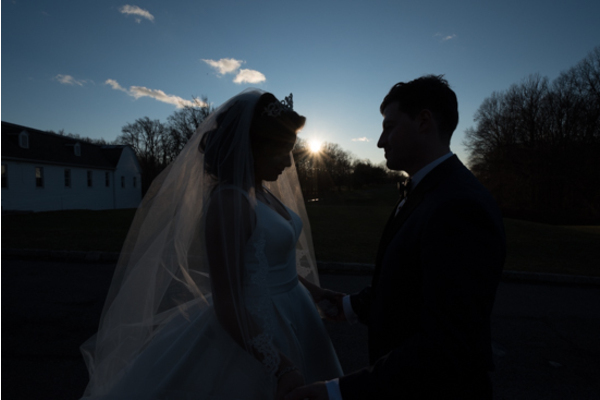 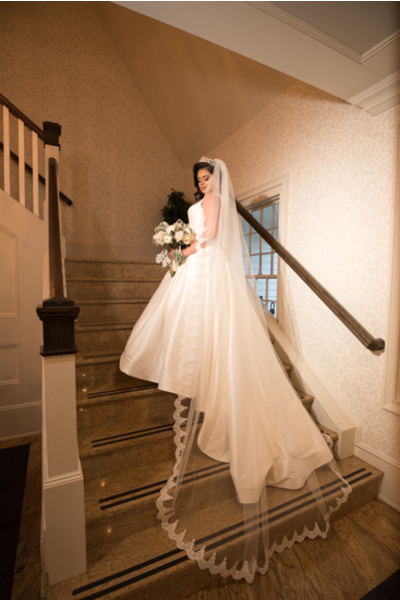 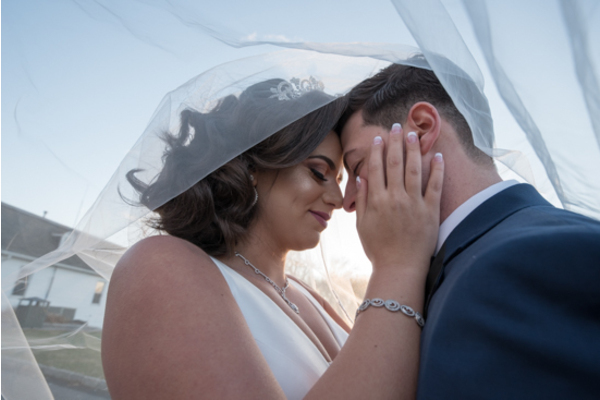 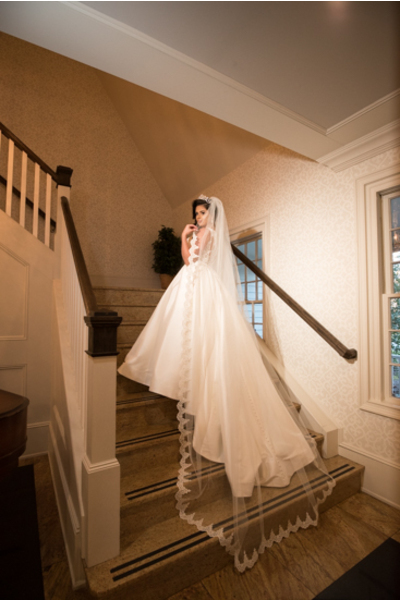 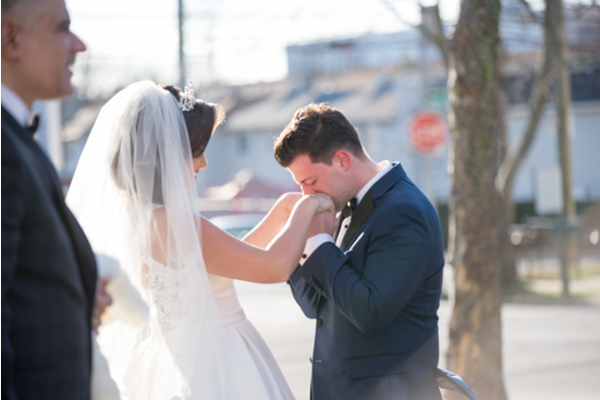 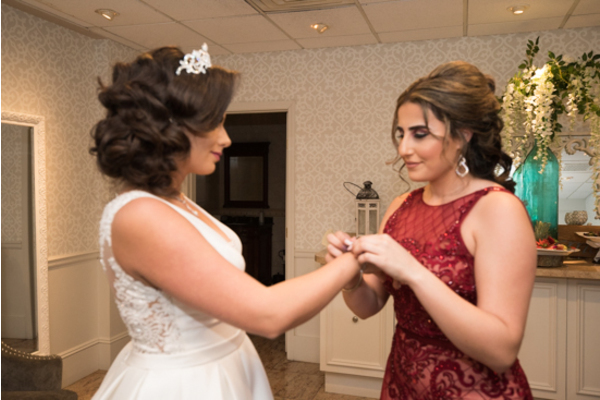 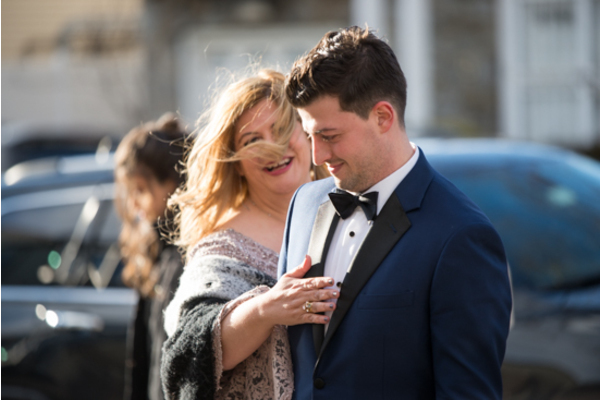 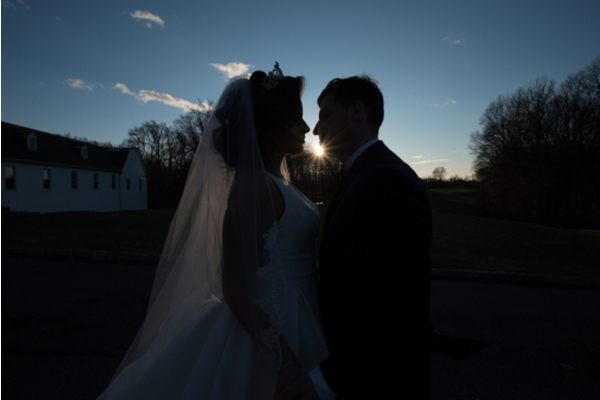 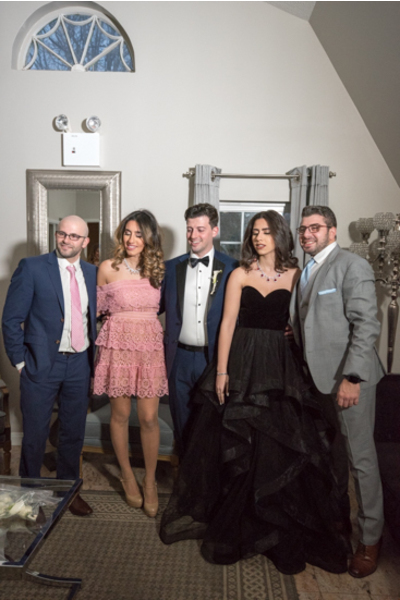 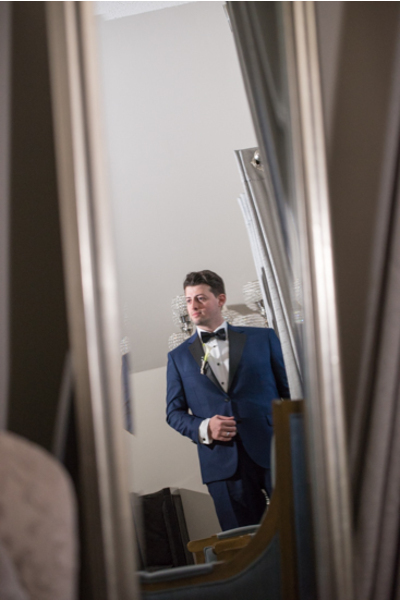 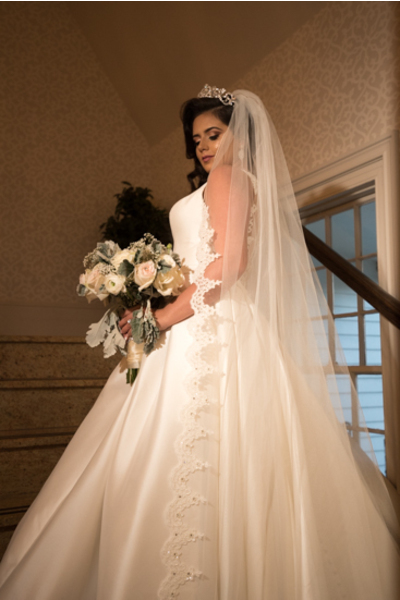 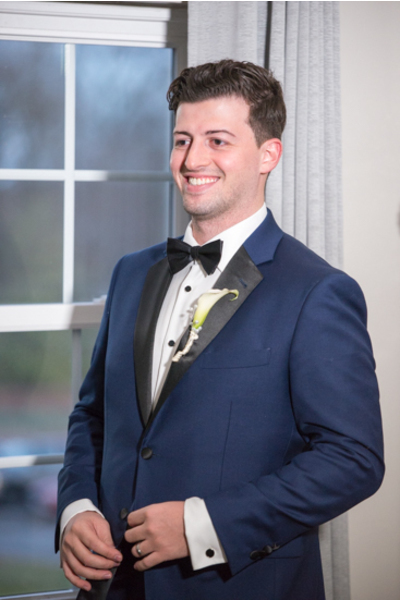 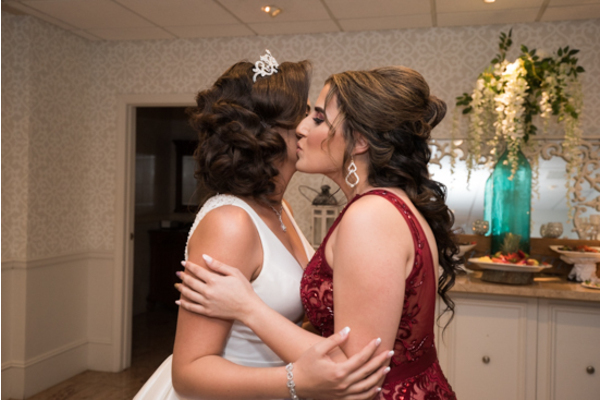 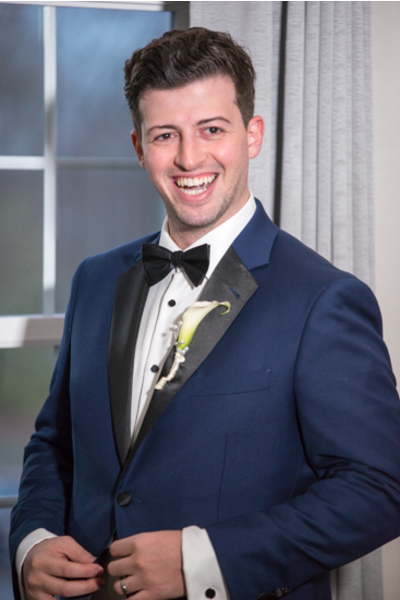 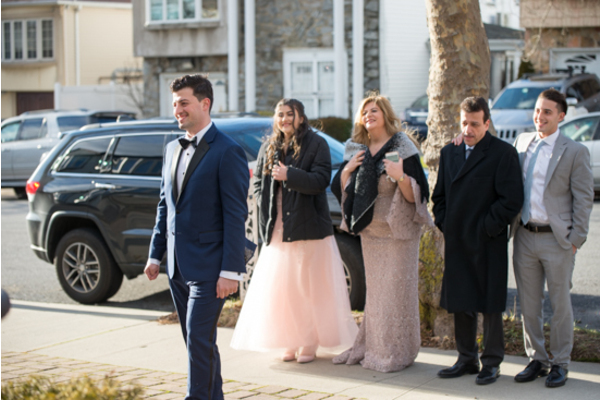 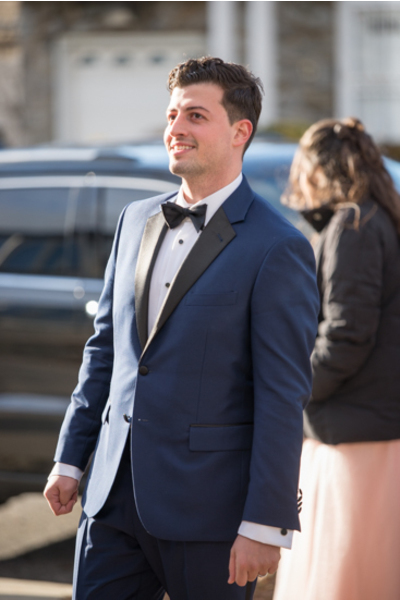 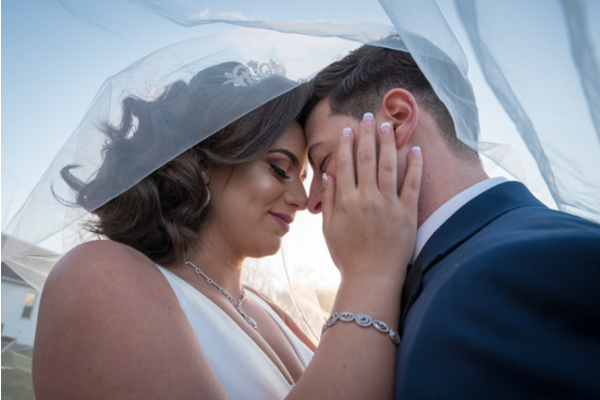 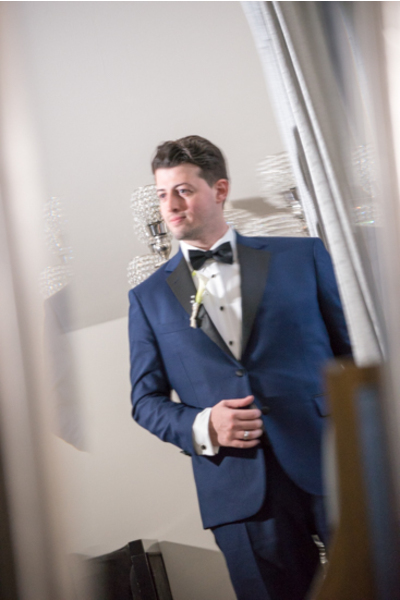 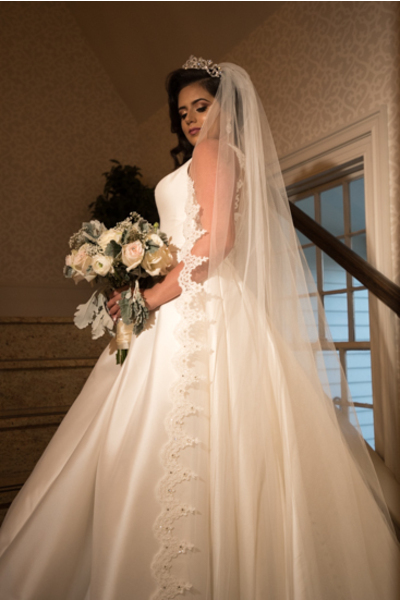 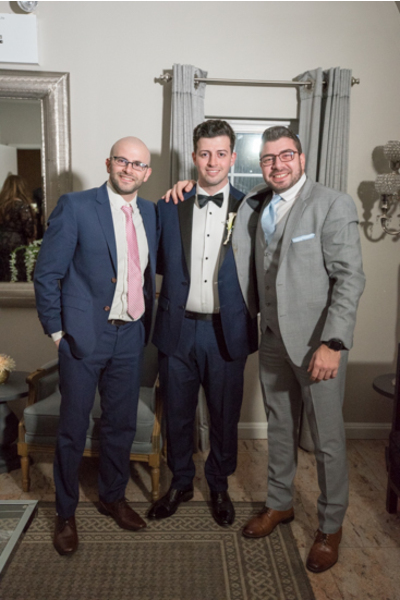 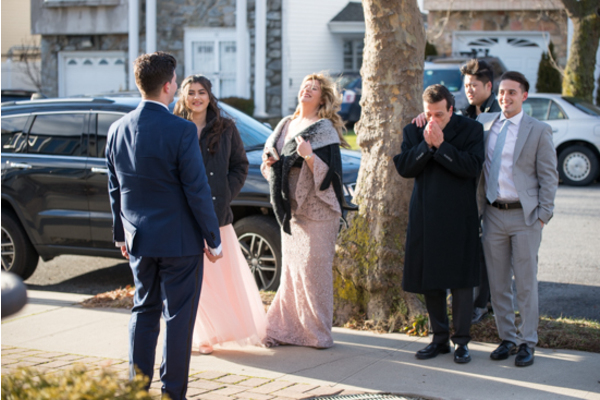 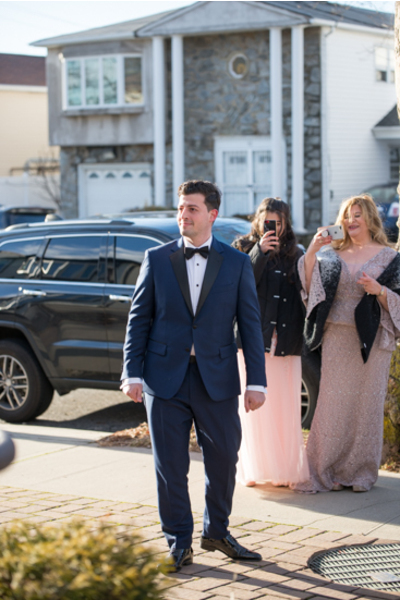 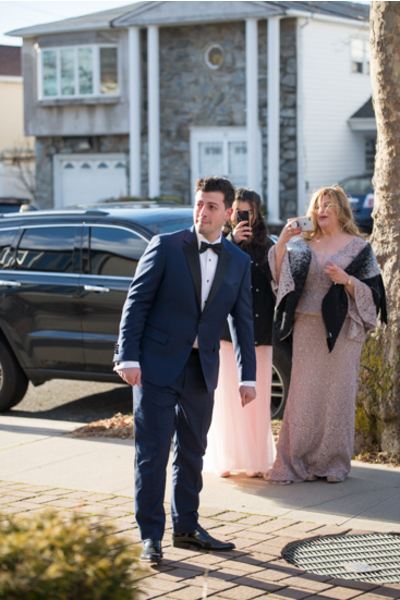 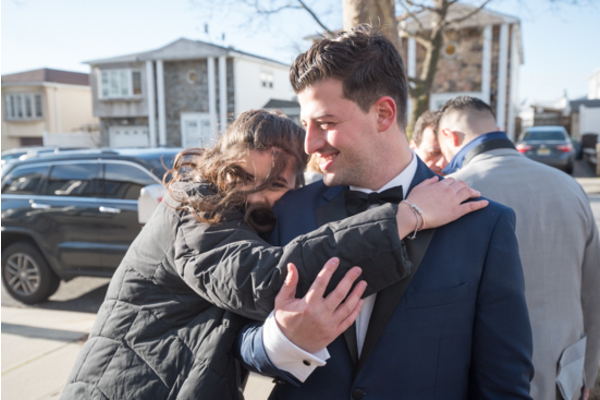 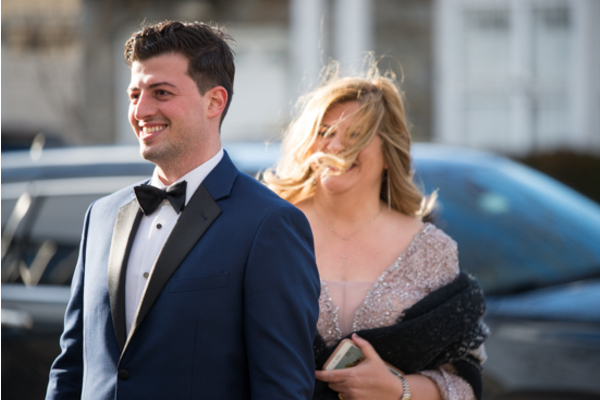 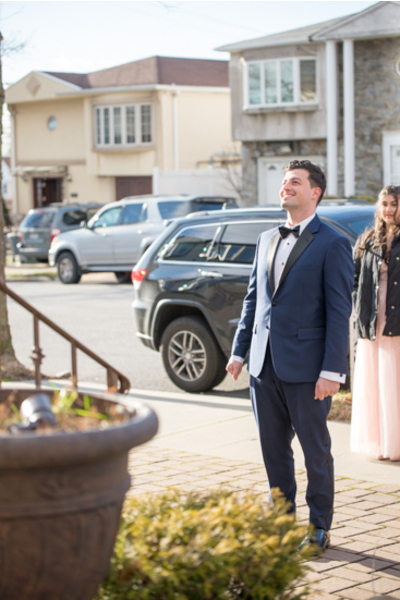 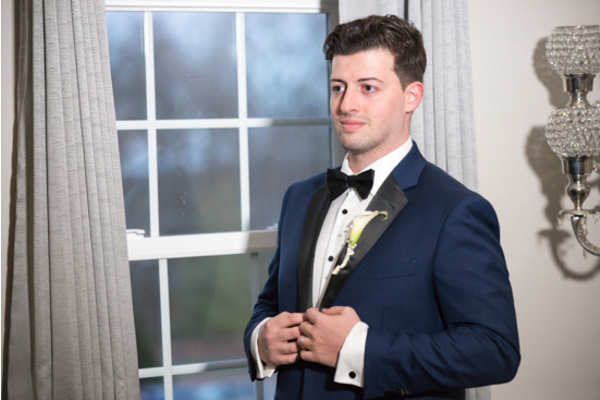 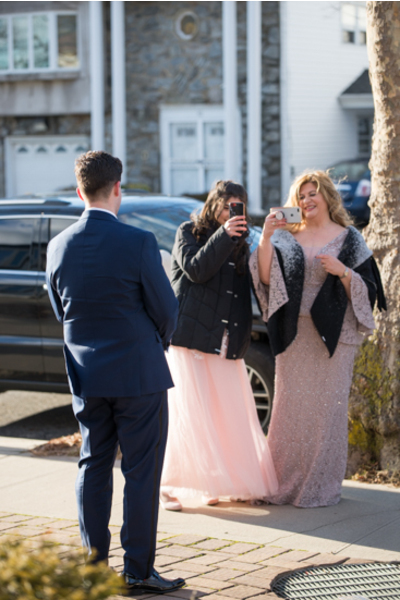 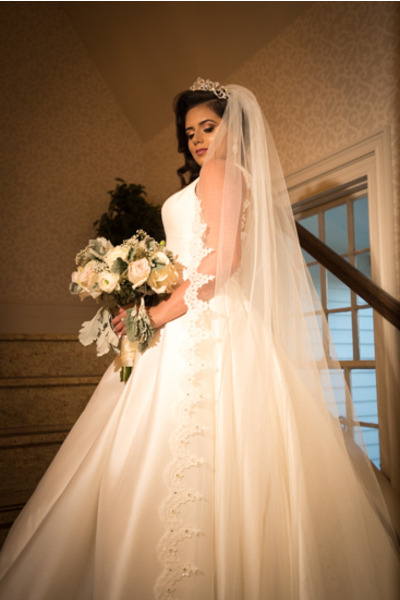 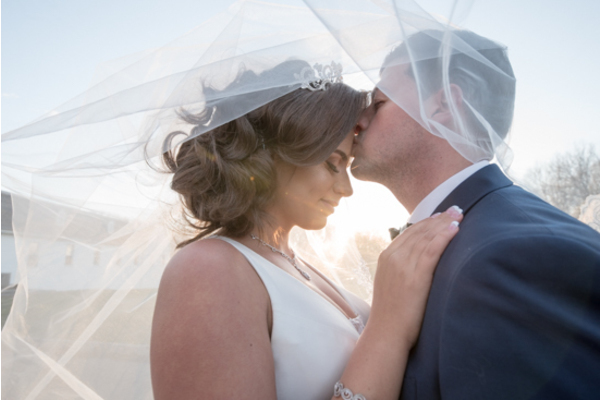 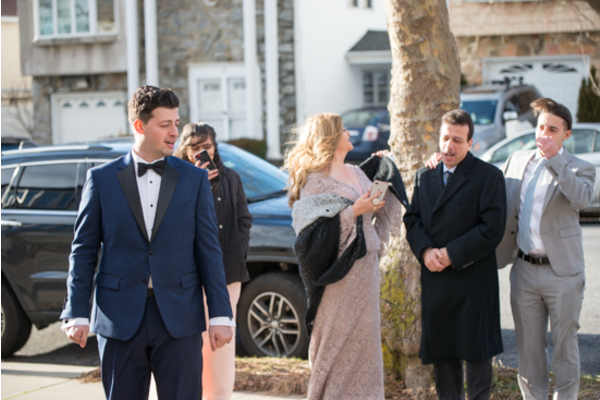 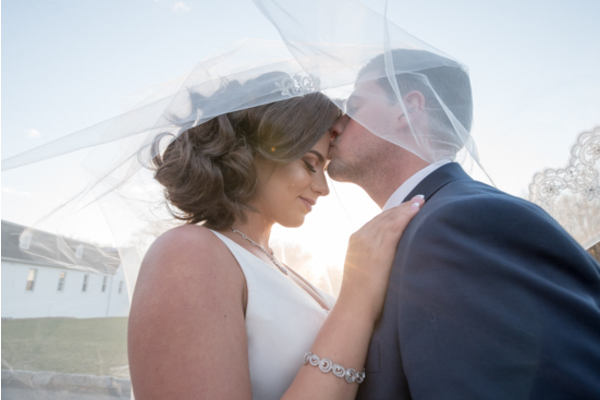 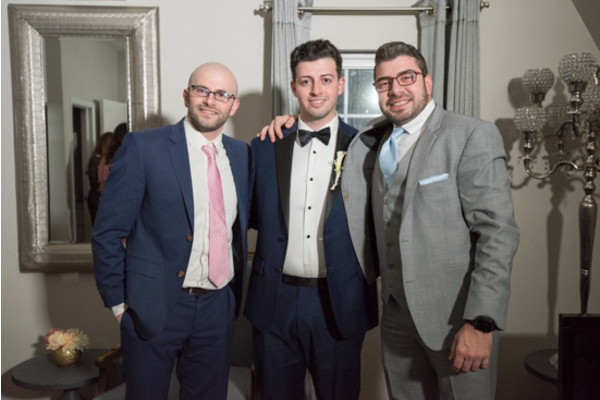 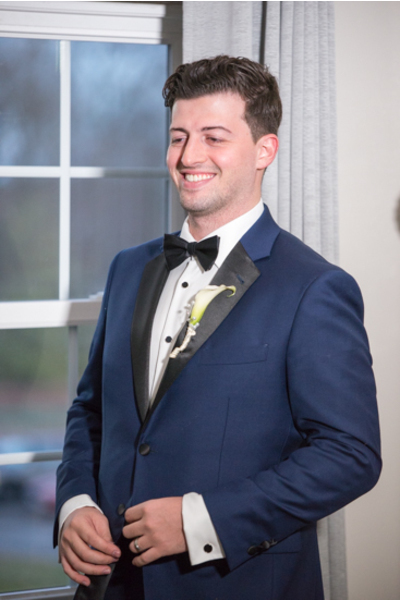 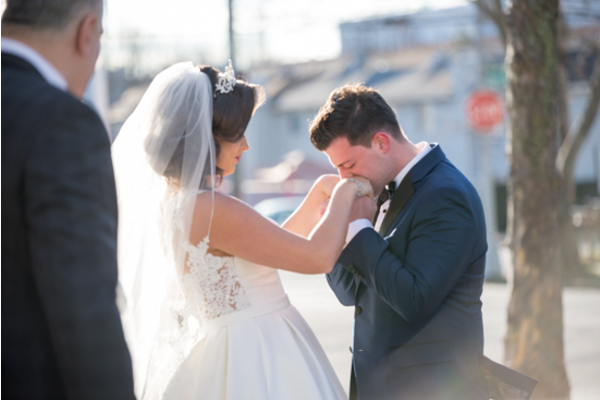 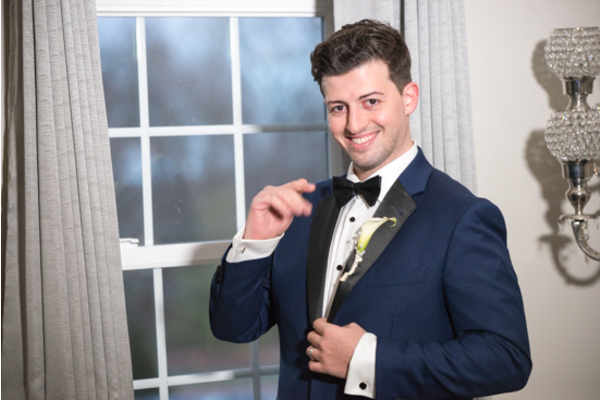 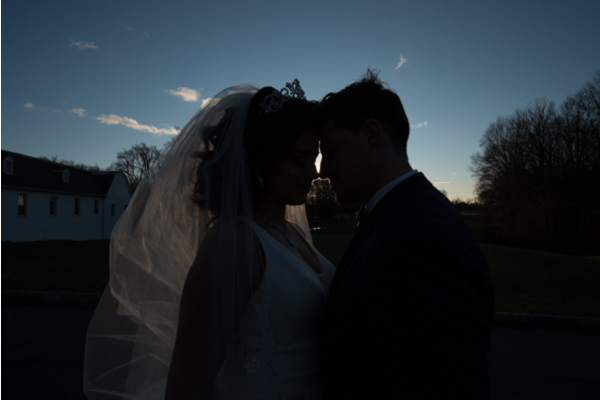 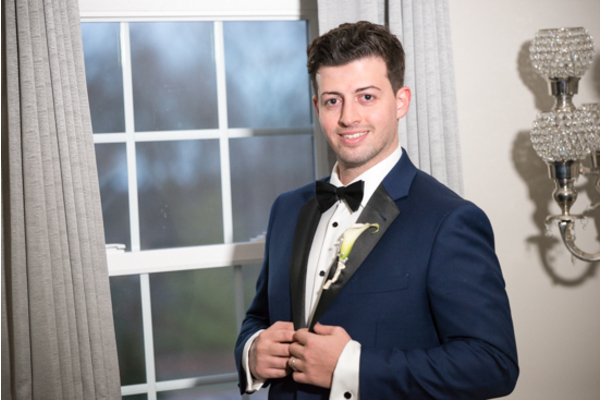 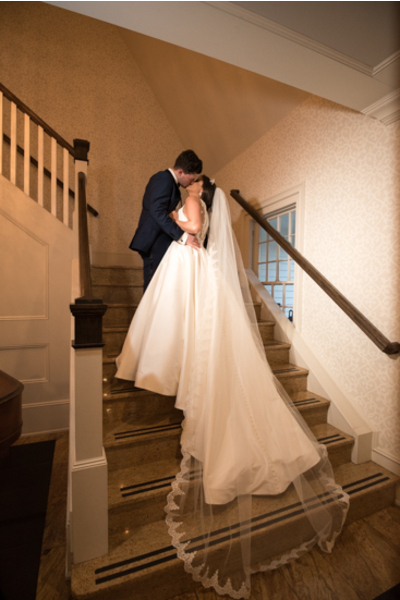 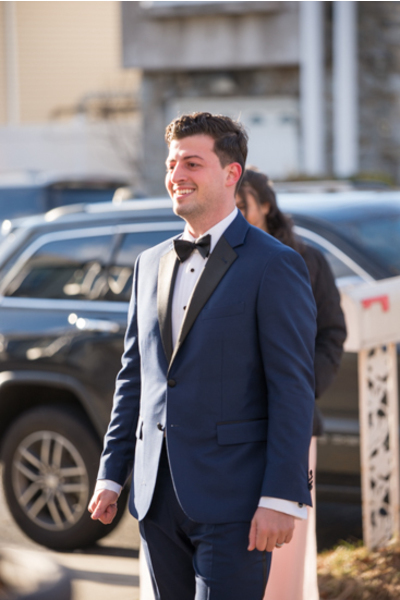 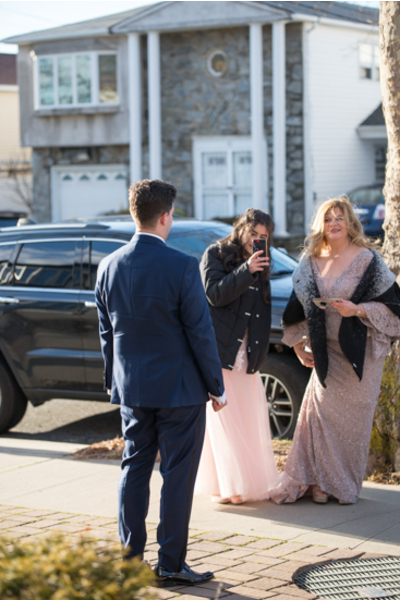 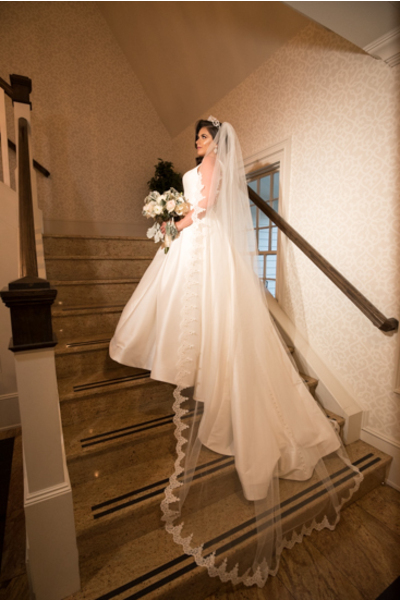 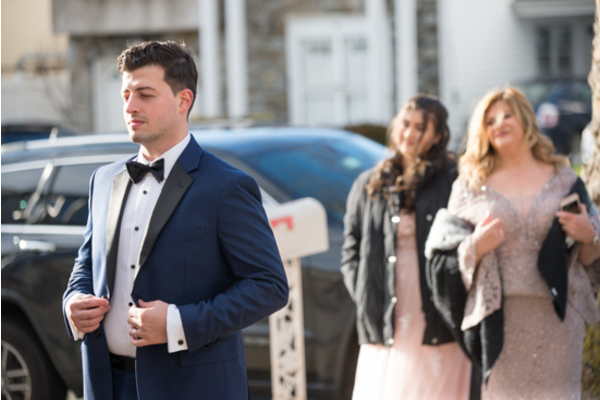 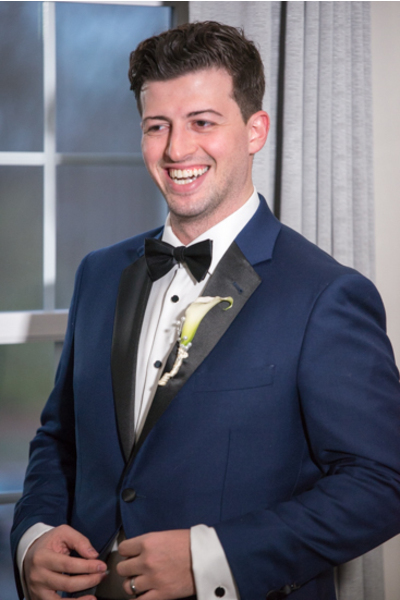 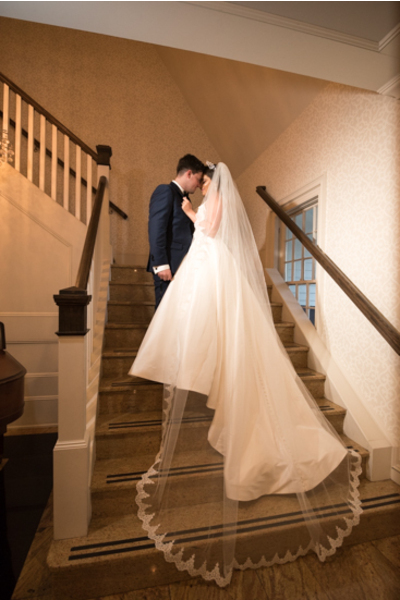 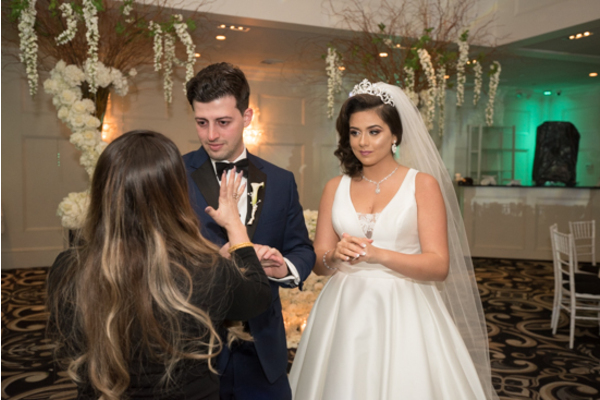 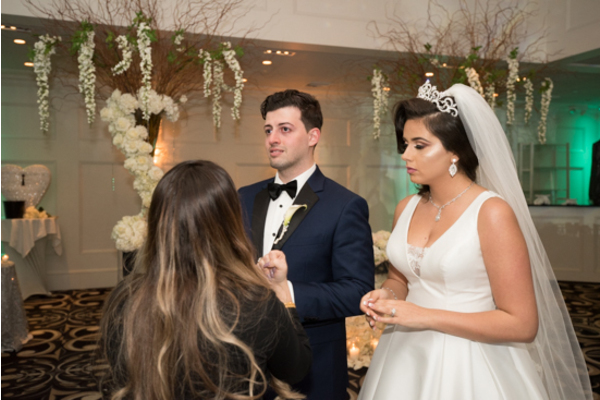 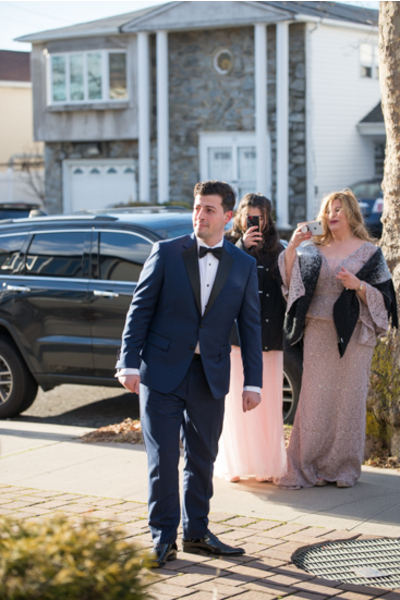 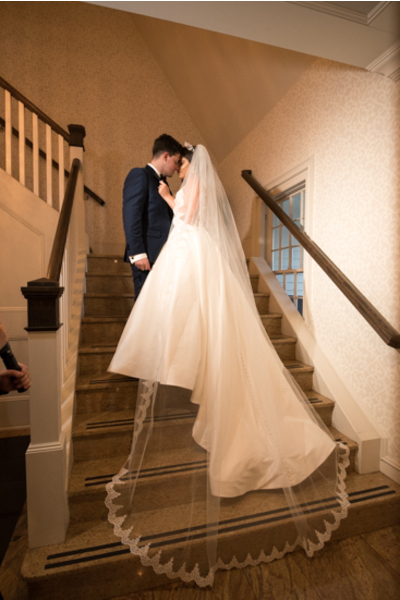 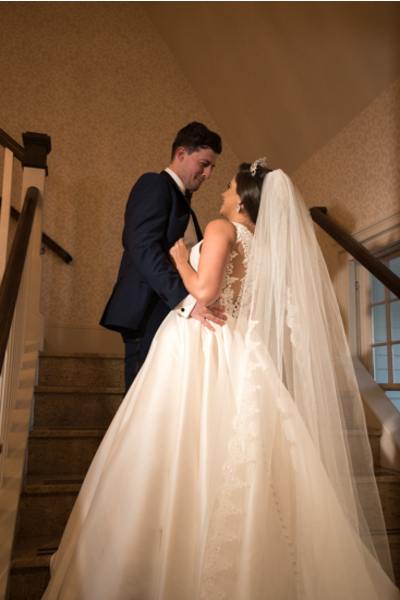 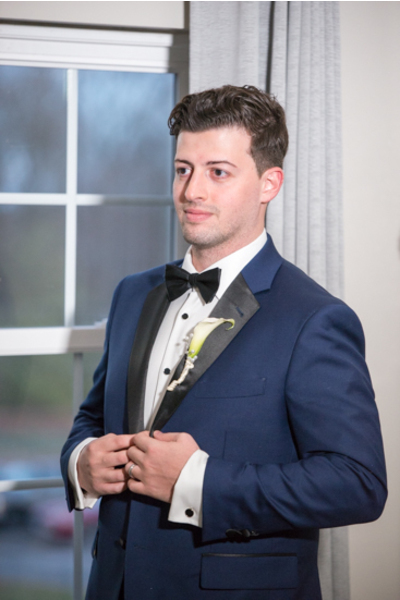 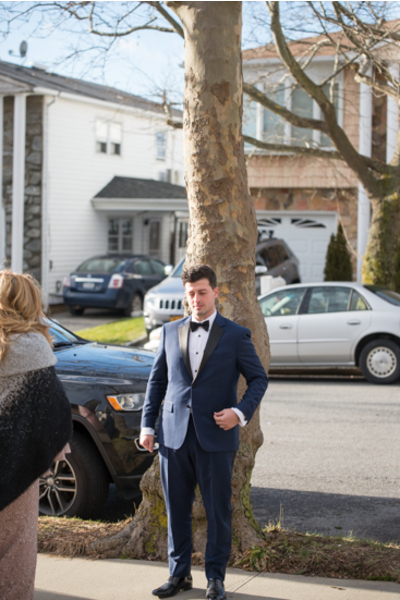 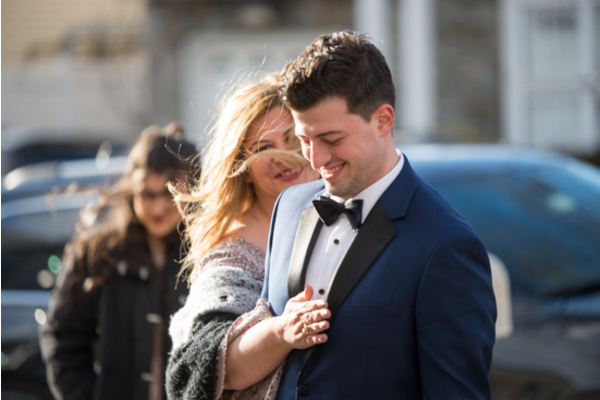 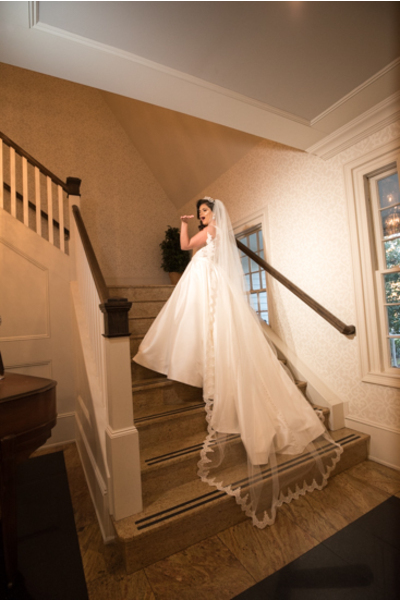 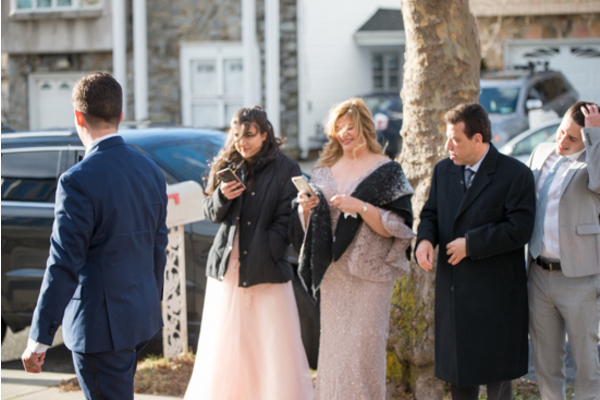 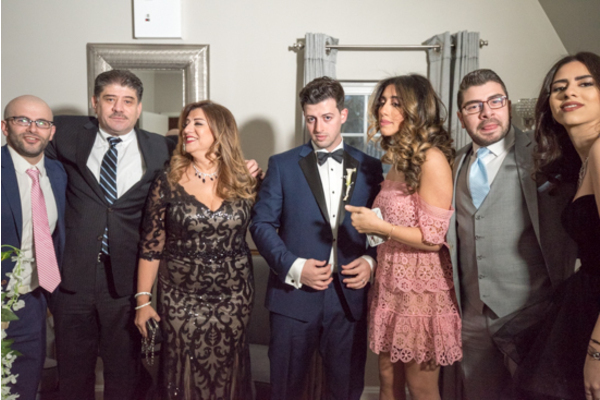 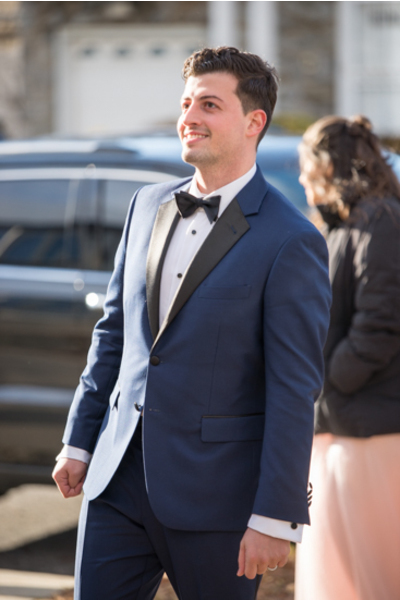 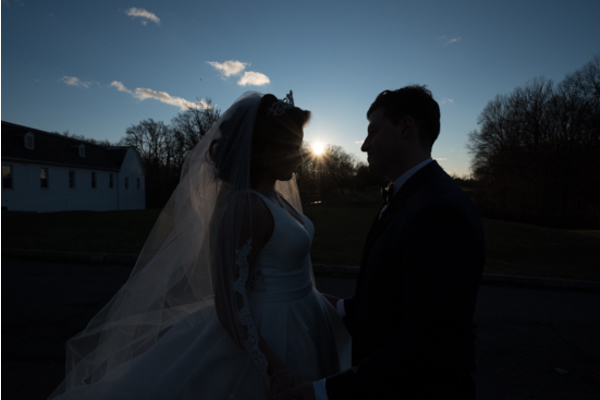 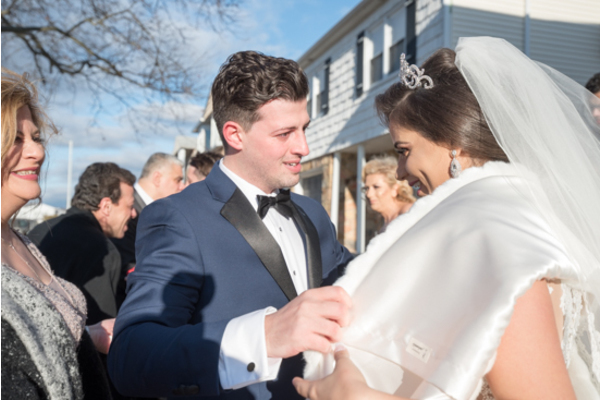 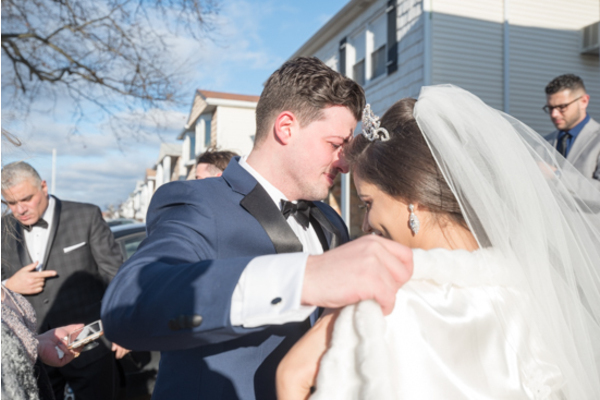 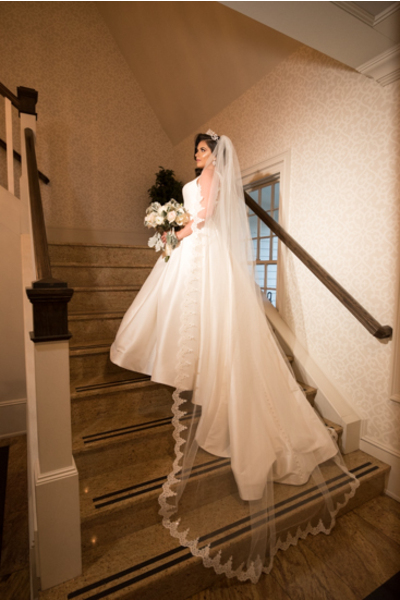 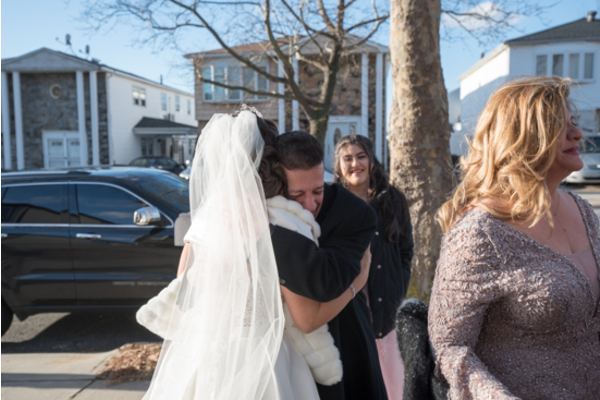 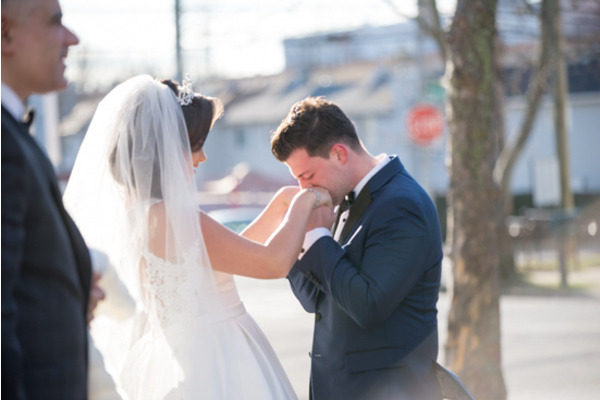 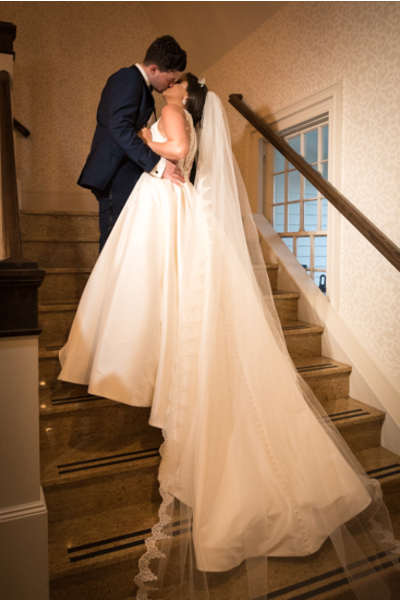 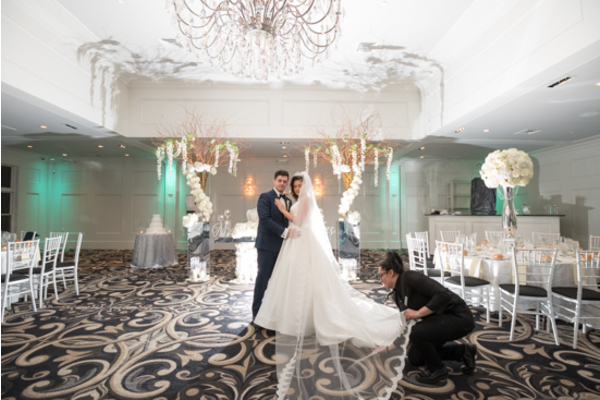 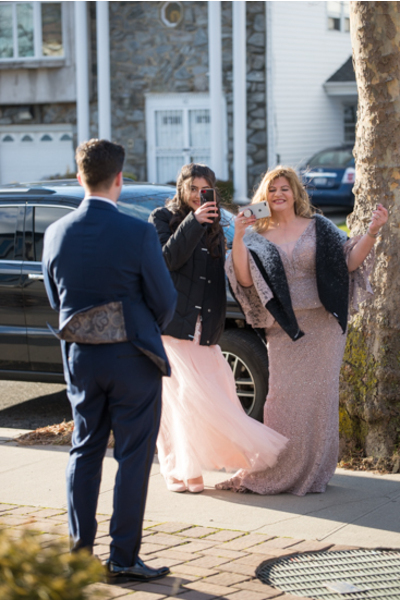 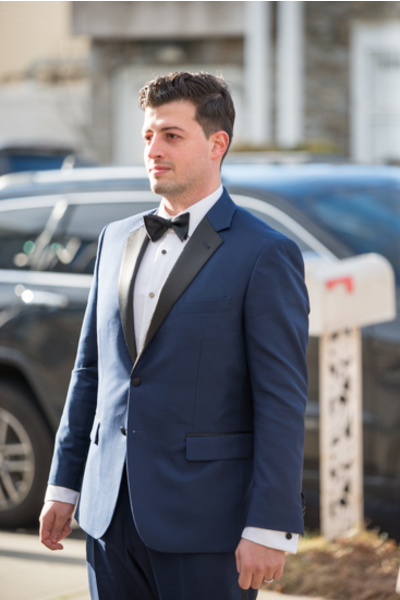 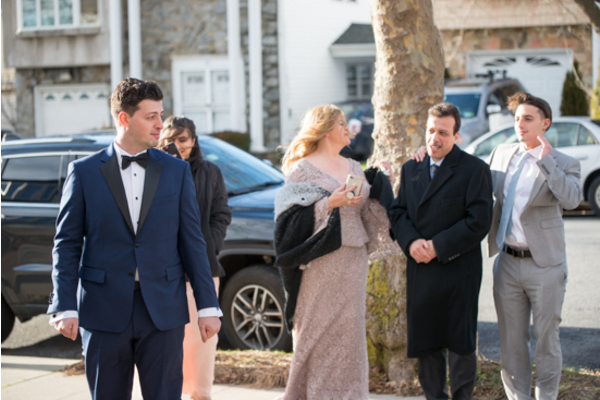 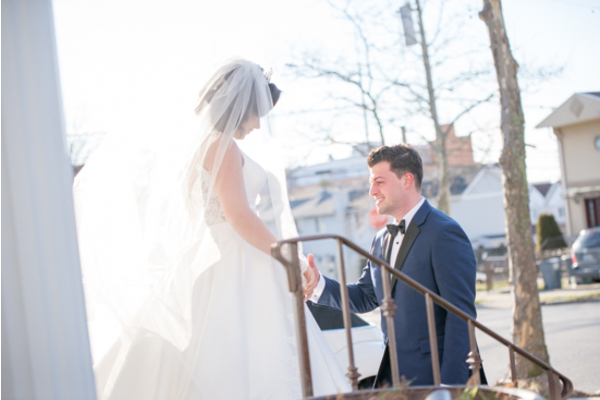 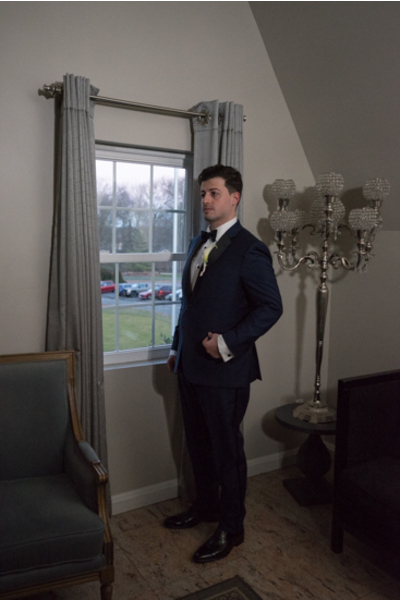 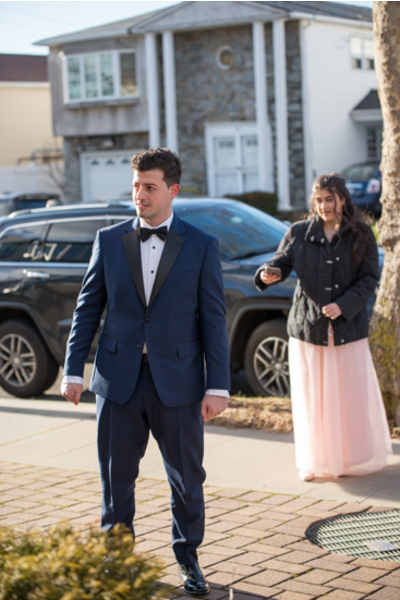 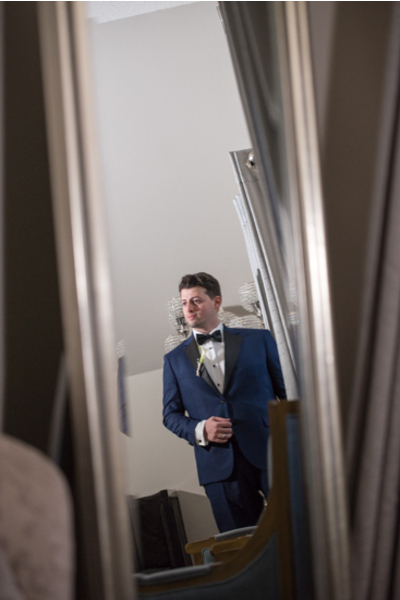 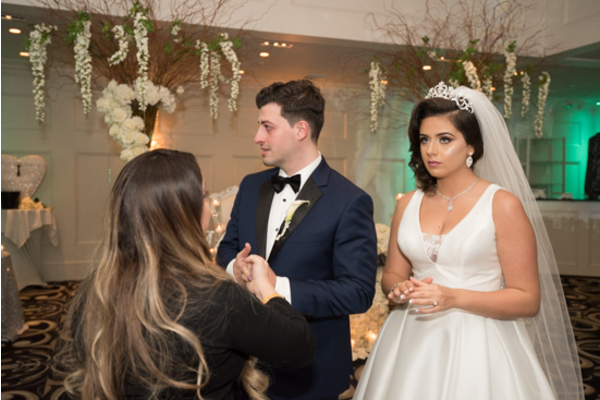 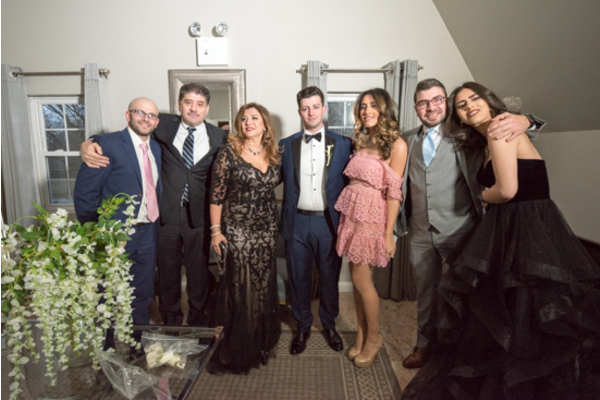 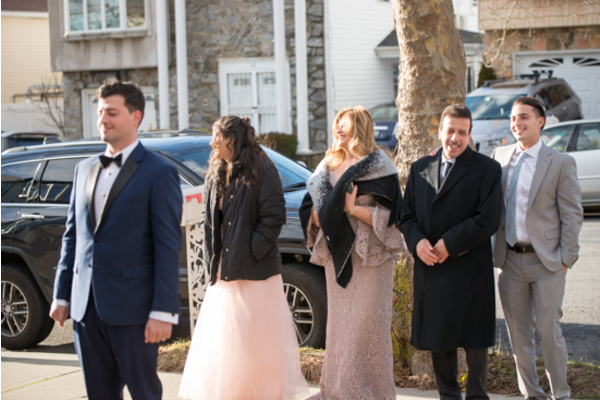 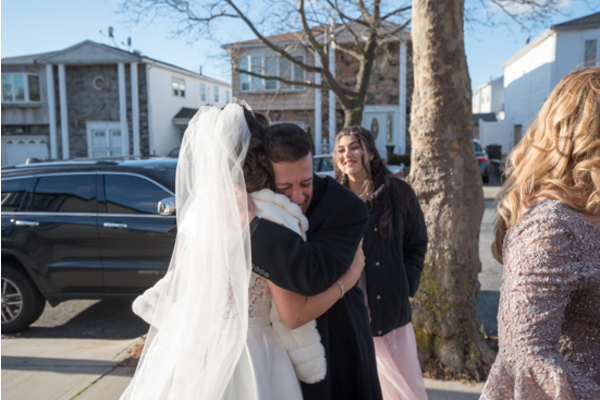 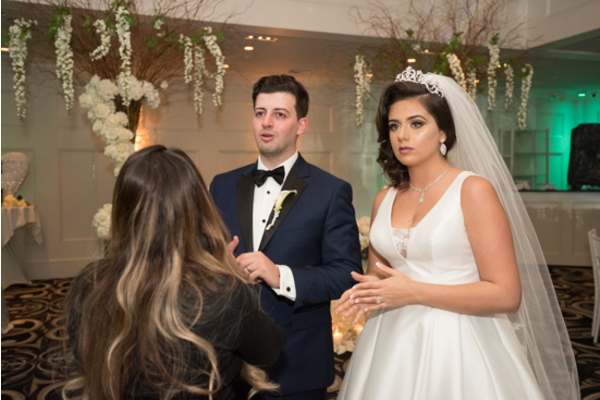 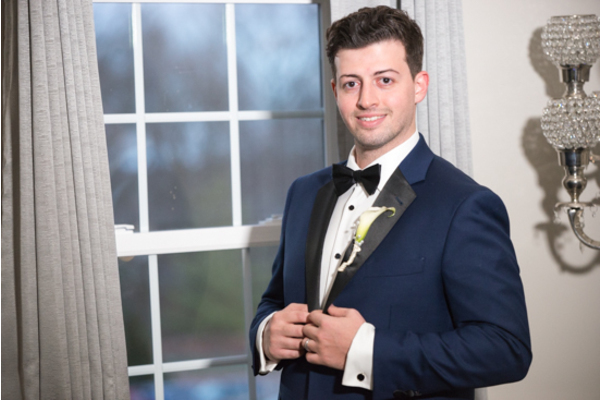 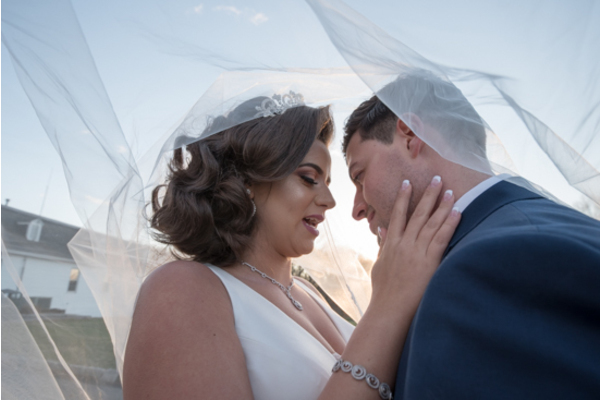 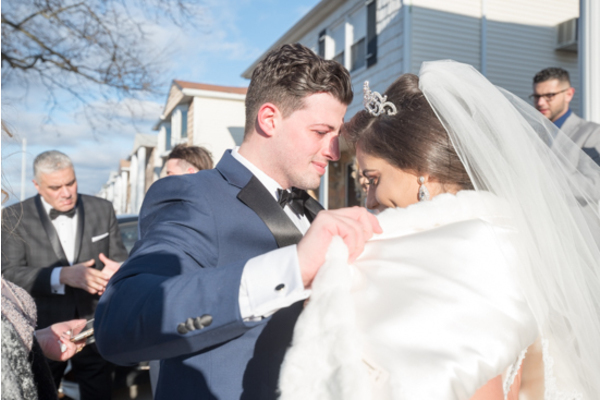 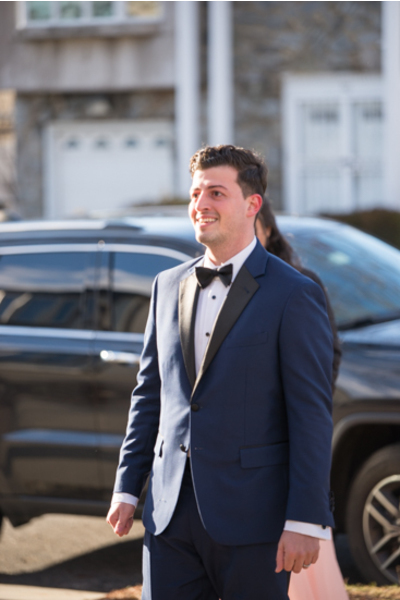 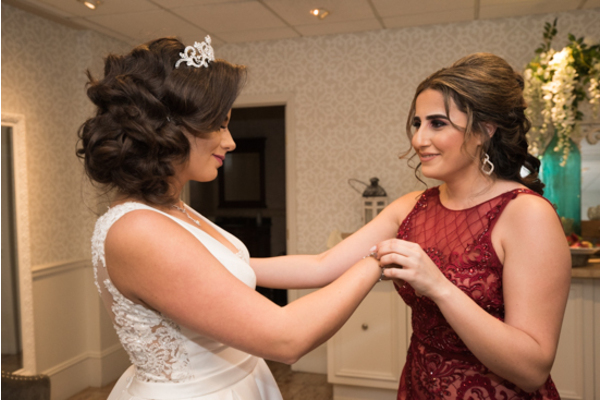 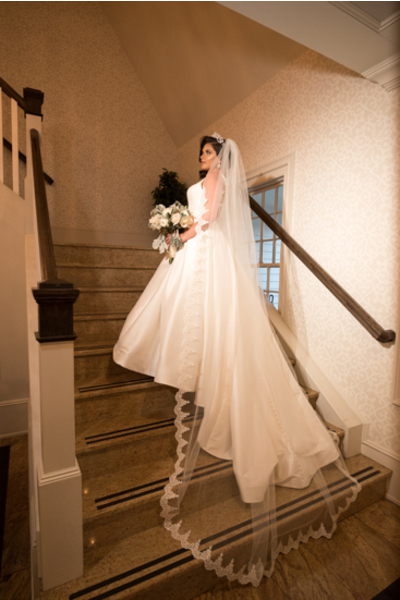 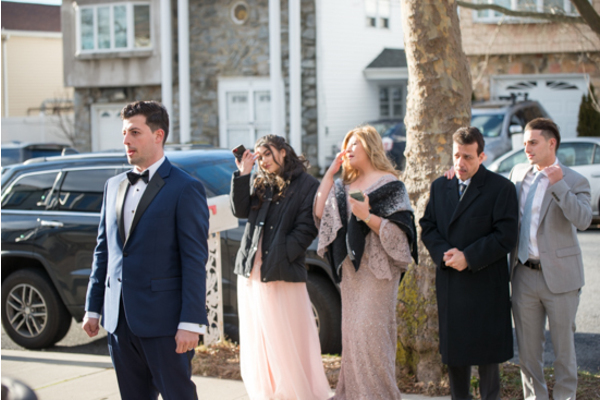 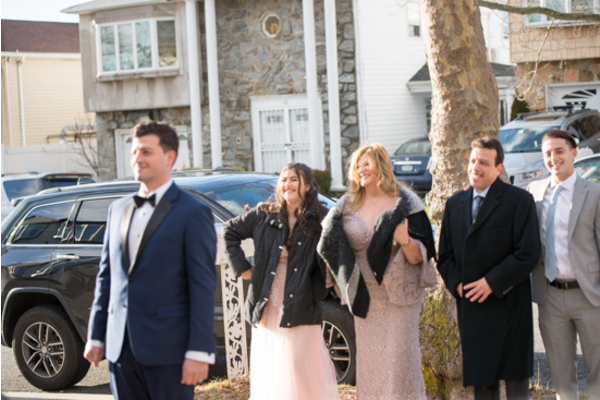 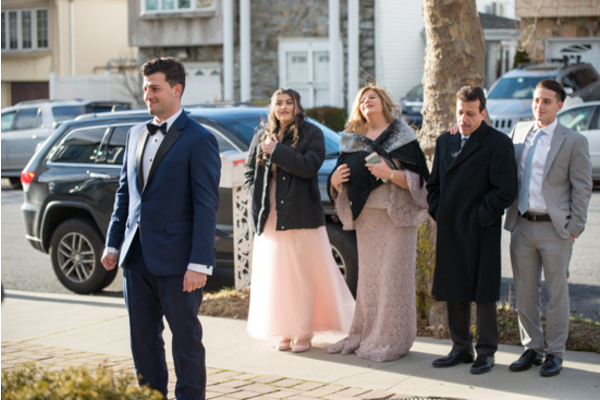 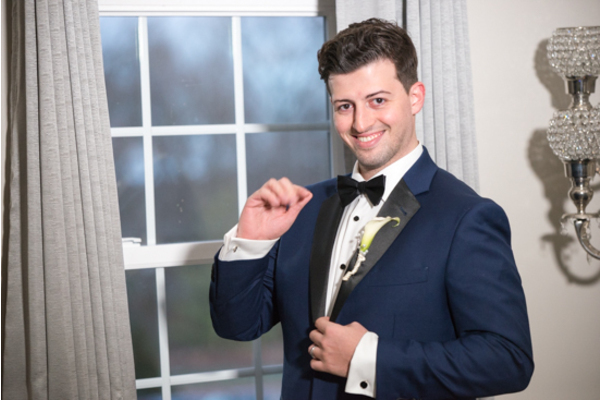 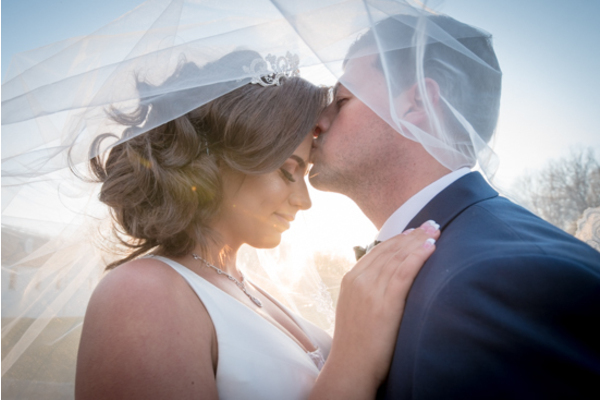 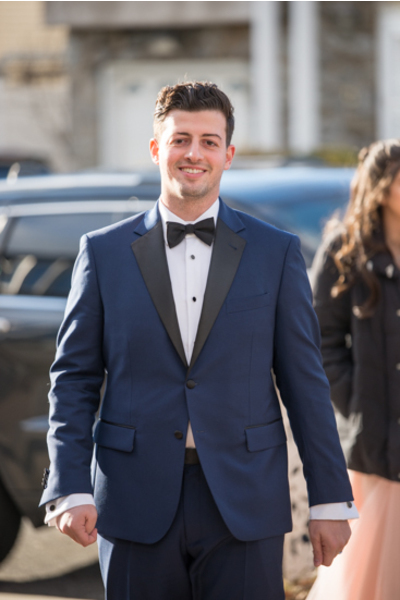 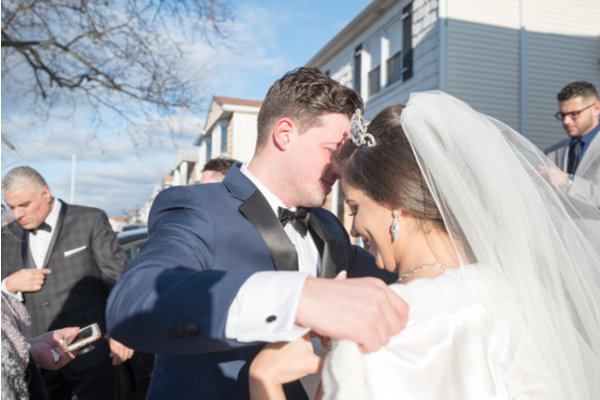 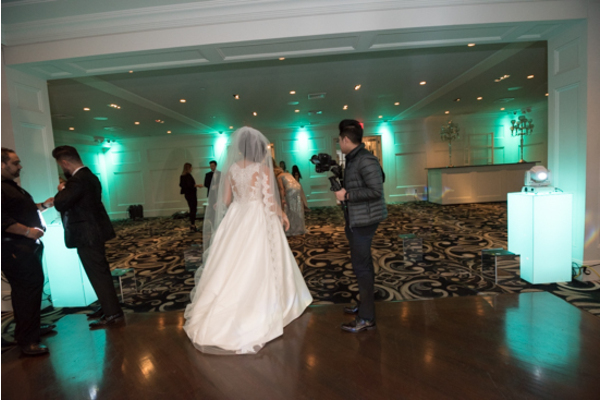 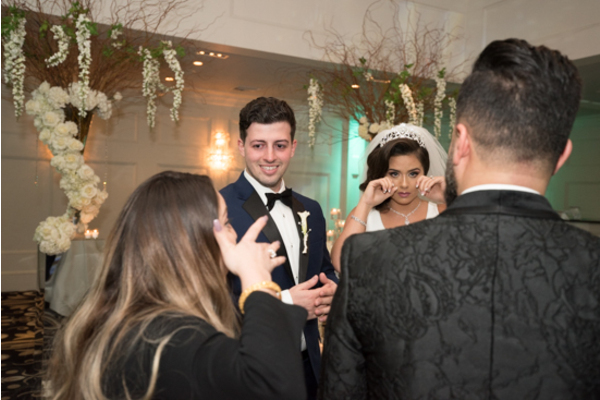 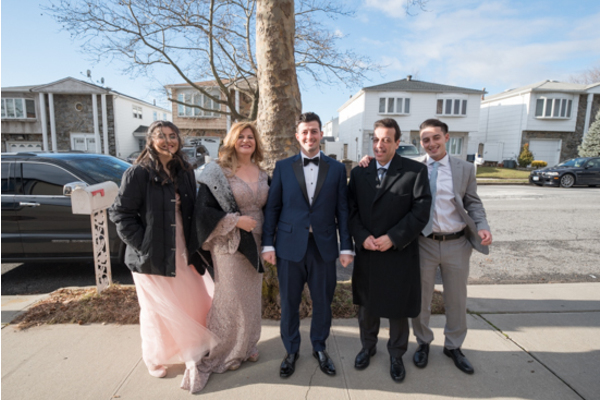 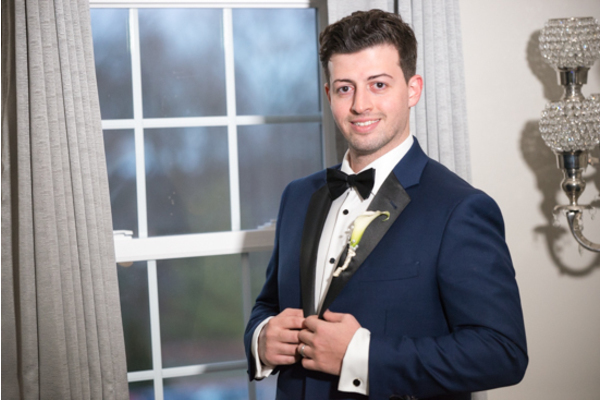 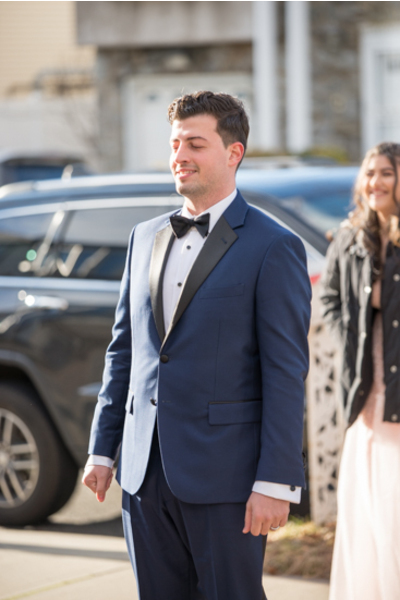 Behind the scenes, our NJ Wedding Photographer was there to snap photos of the couple alone and with loved ones as well. 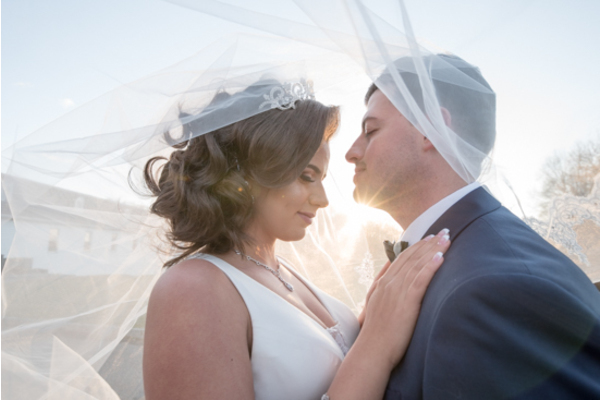 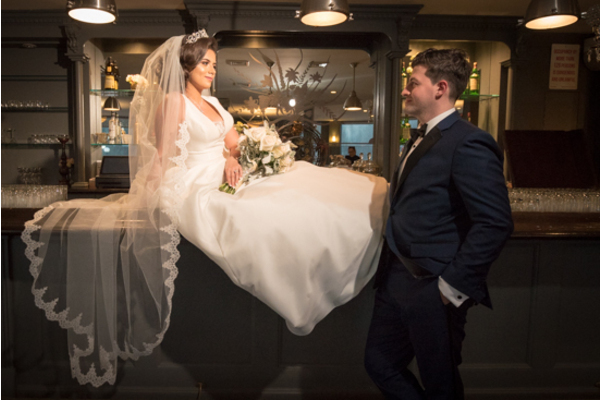 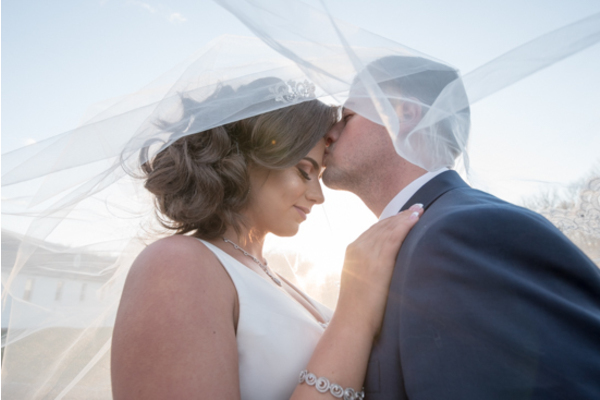 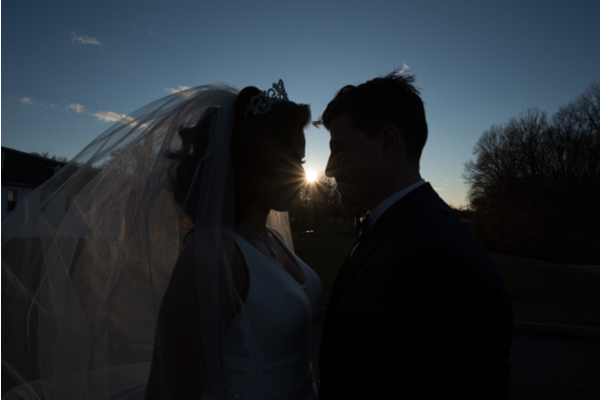 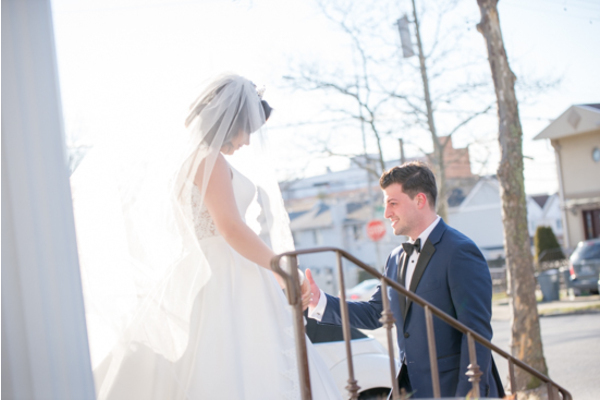 The sun was shining down so bright on this city wedding celebration, and of course, the night only just beginning! 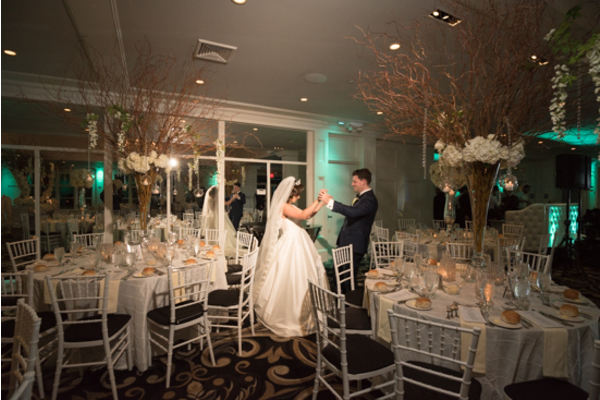 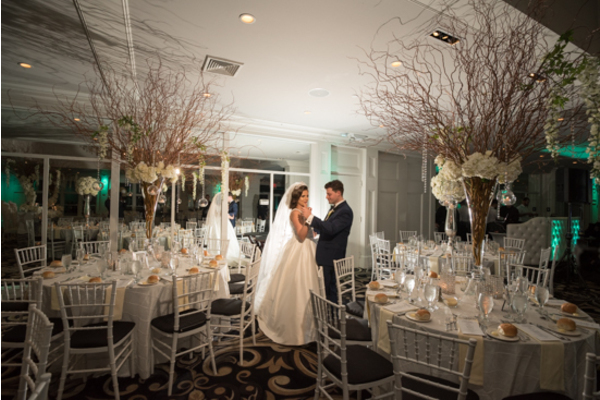 Overall, the reception room at Grand Oaks Country Club looked incredible! 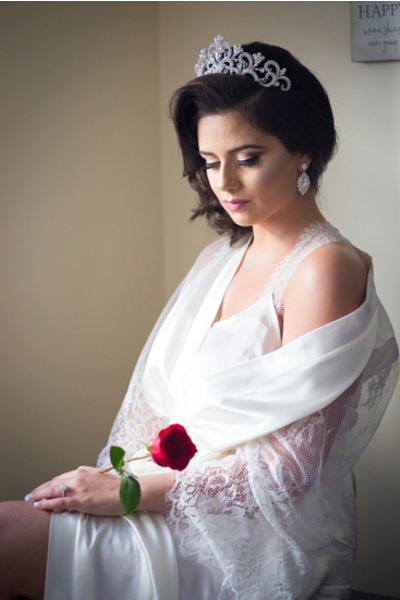 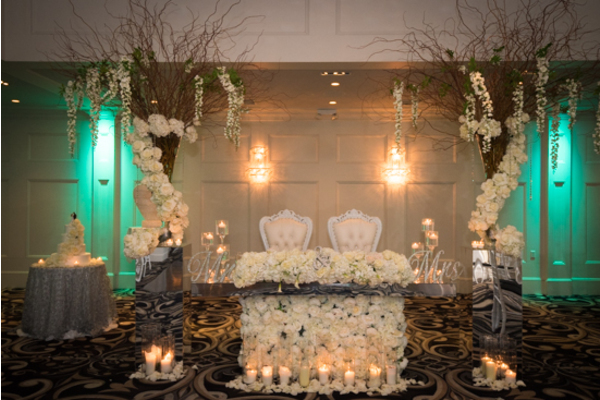 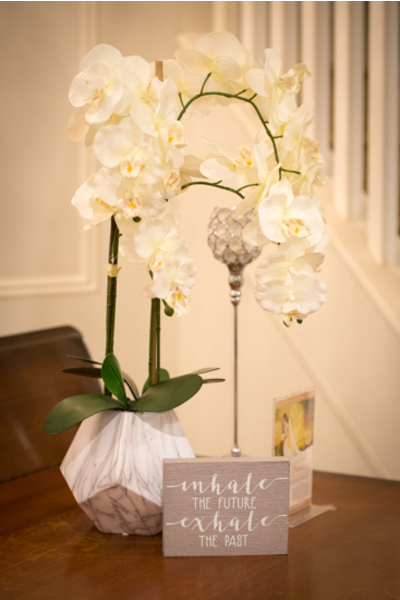 In particular, Fatima and Saddik’s romantic sweetheart table was decked out in white roses and candles. 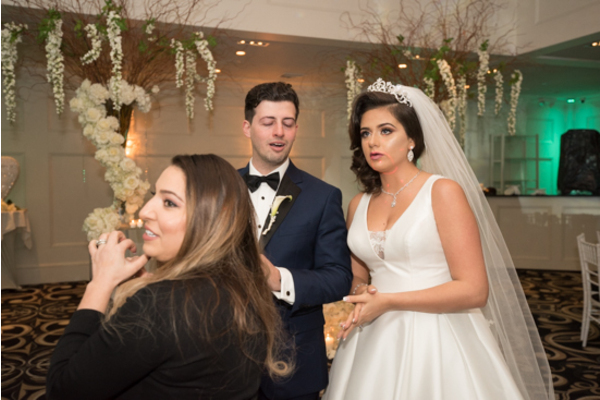 Likewise, there was a table just for champagne flutes and pink cocktails! 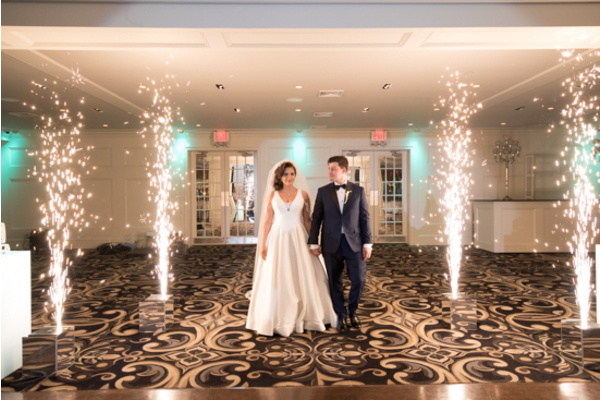 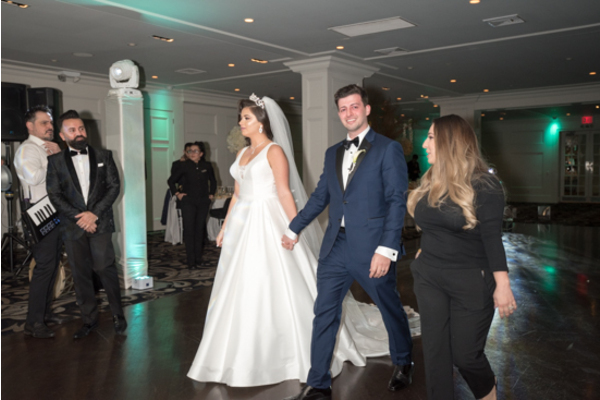 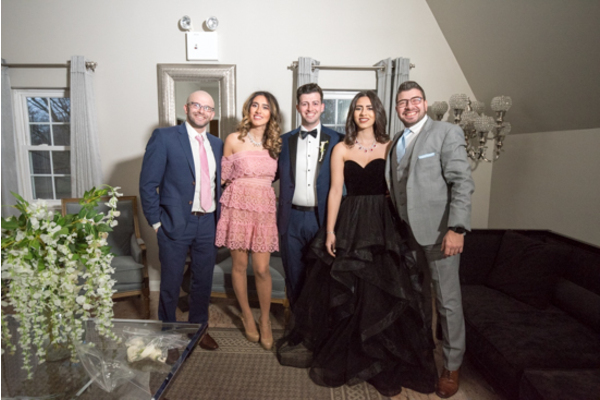 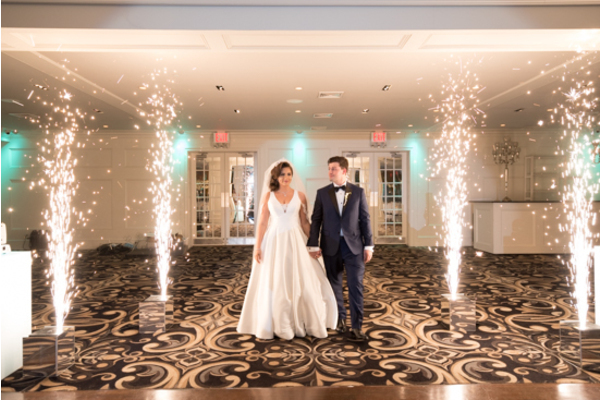 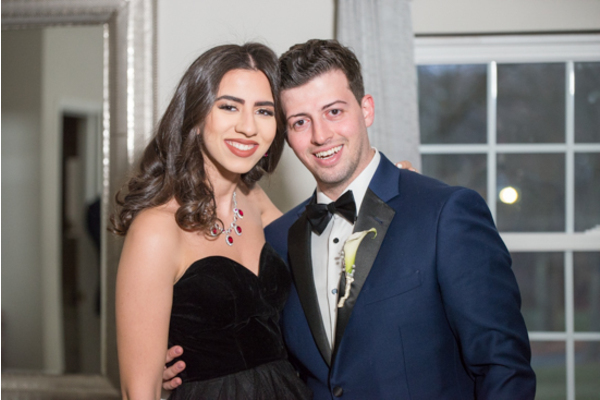 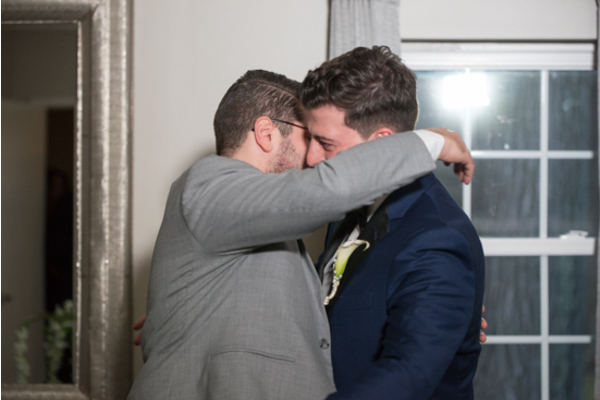 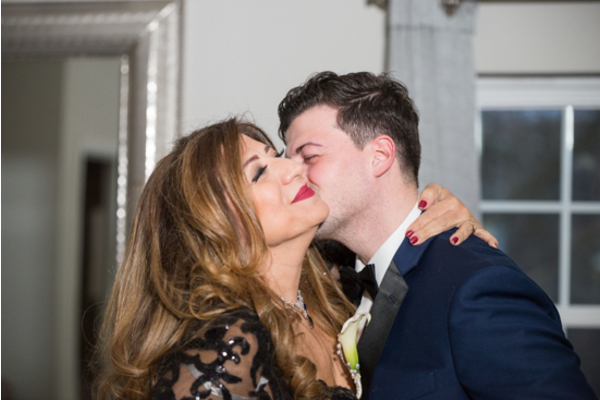 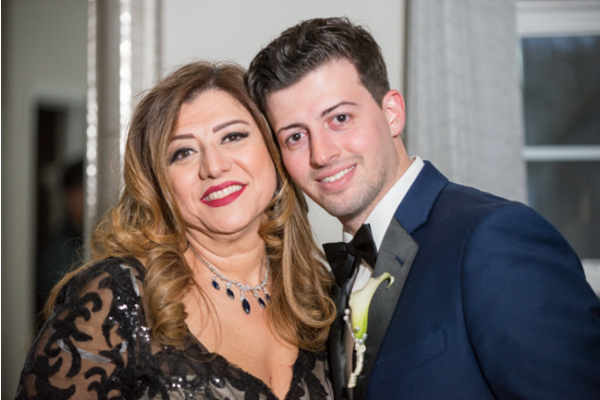 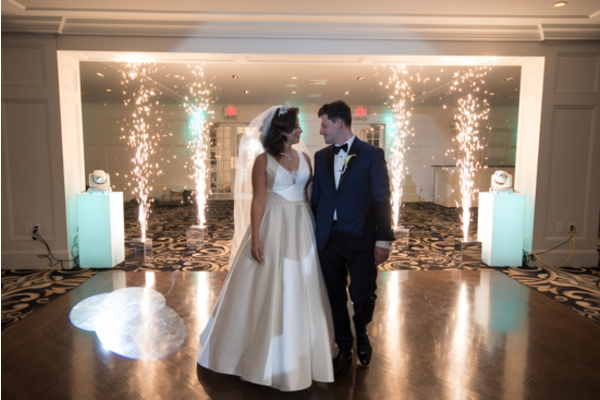 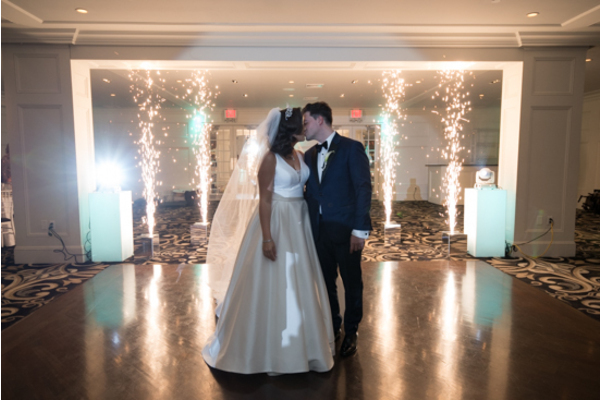 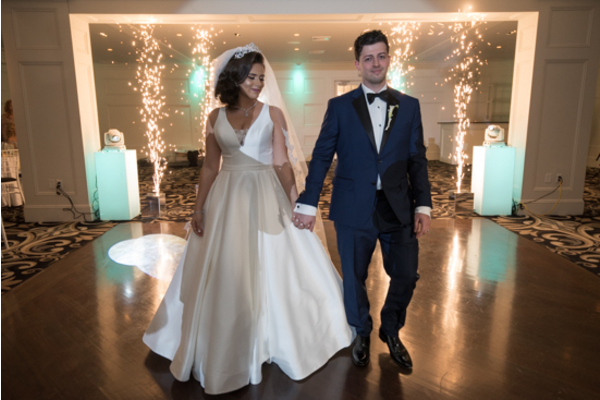 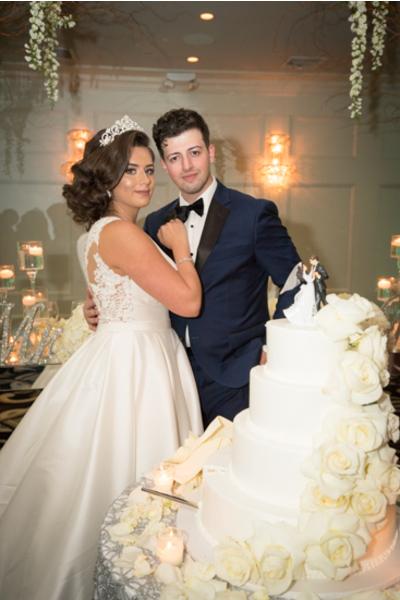 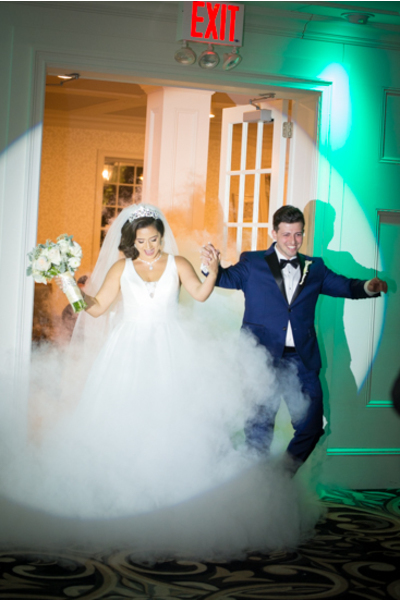 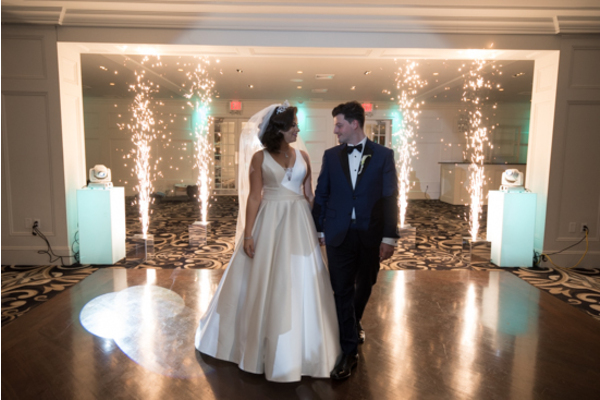 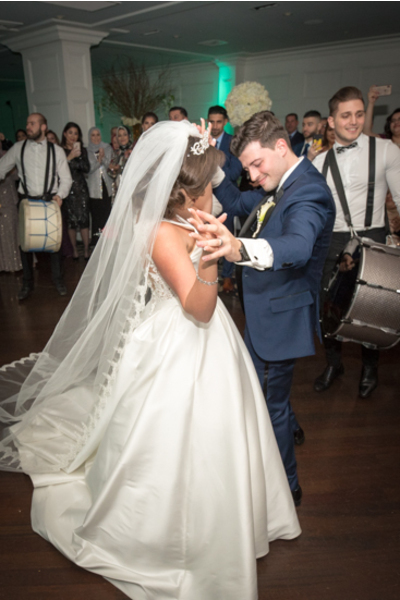 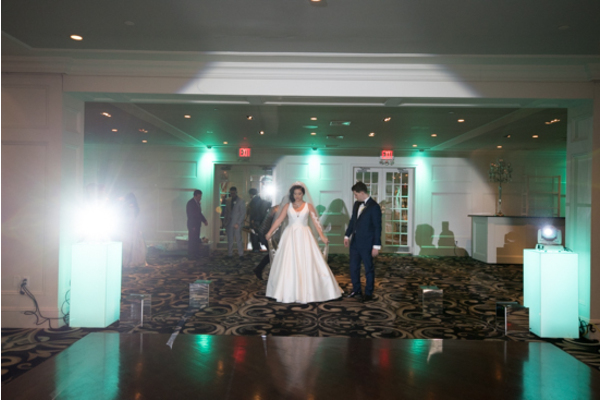 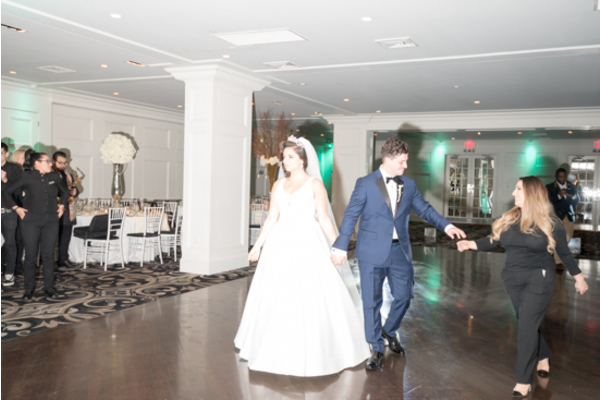 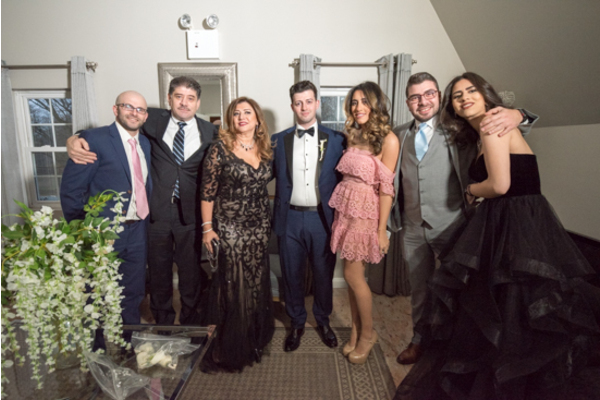 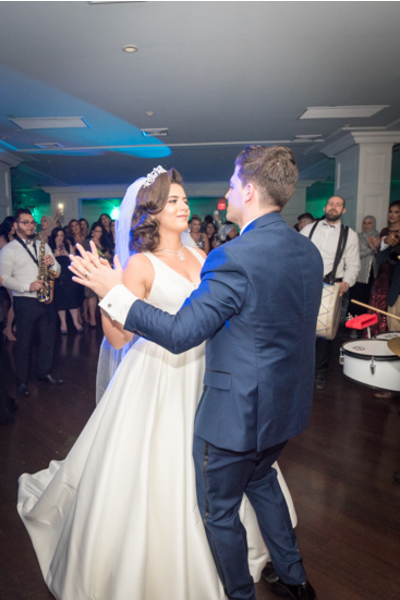 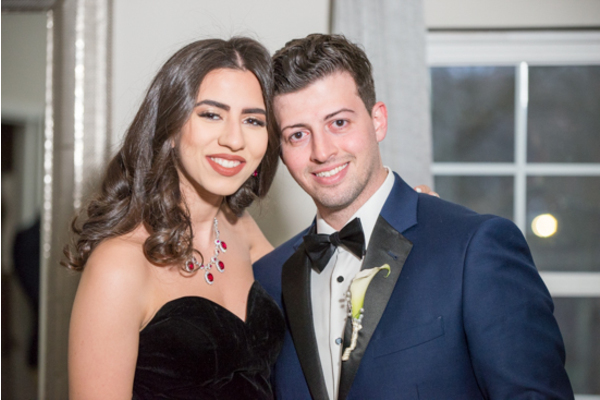 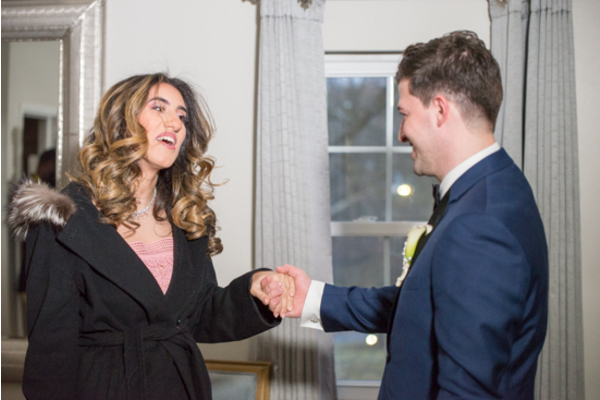 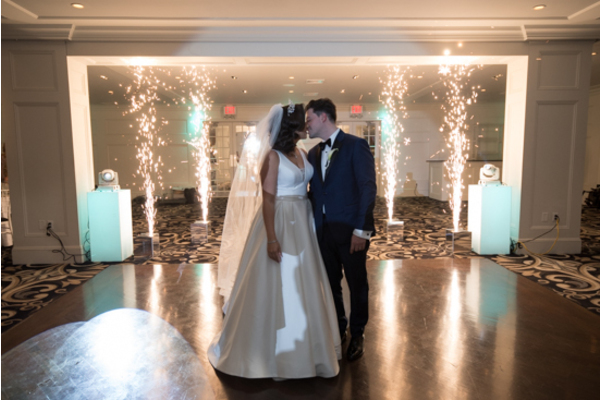 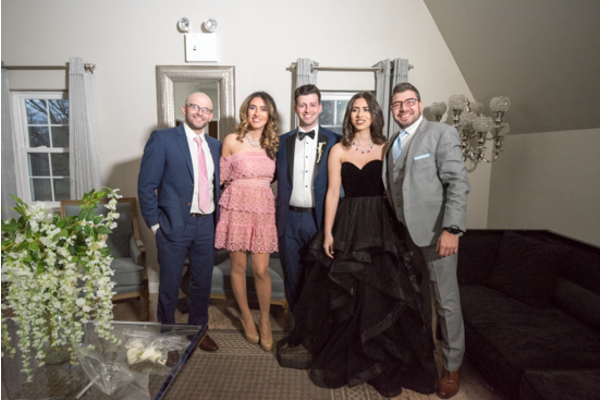 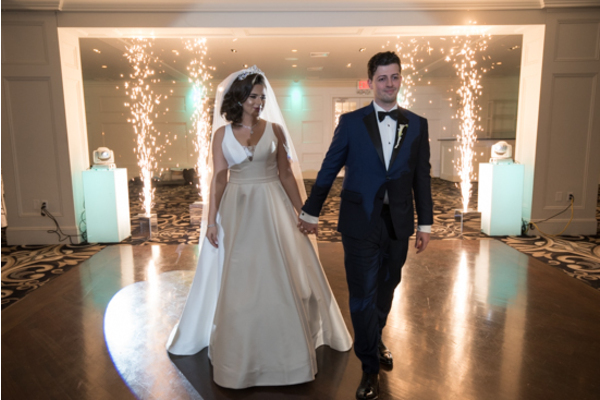 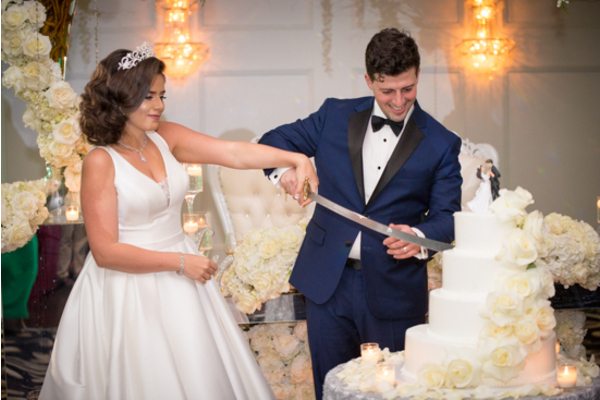 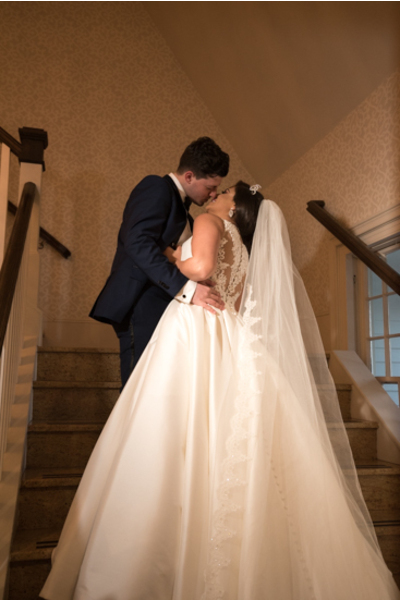 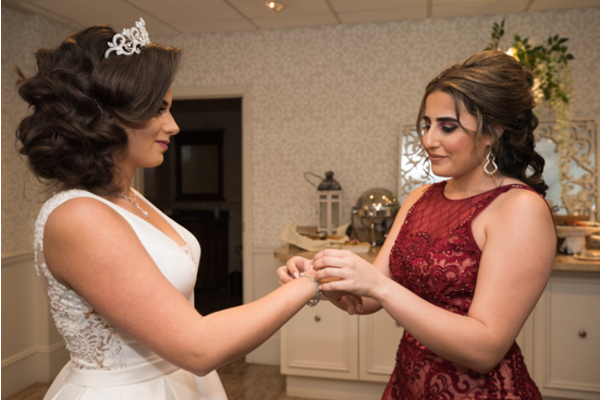 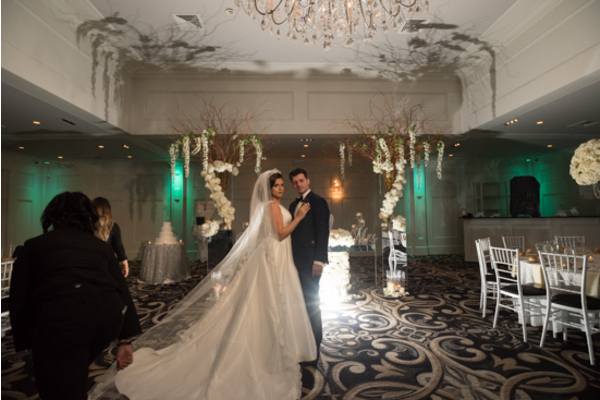 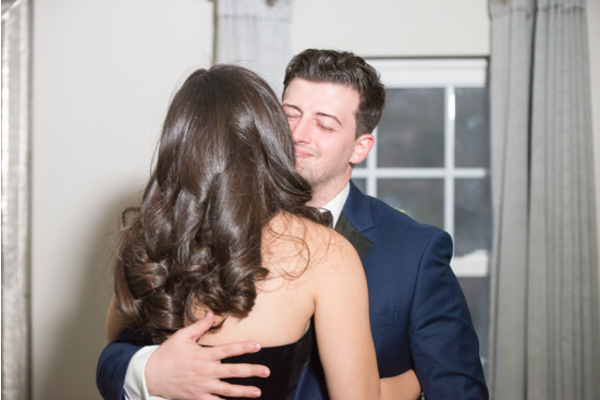 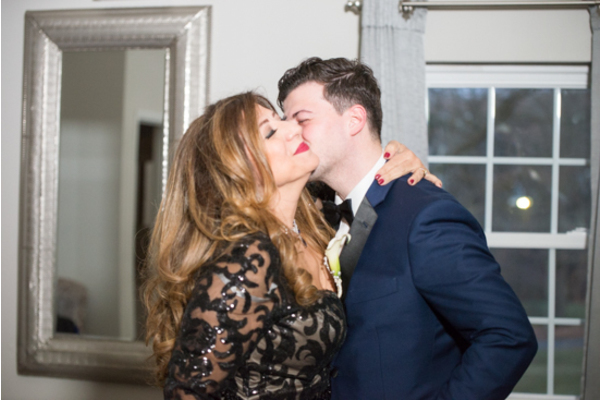 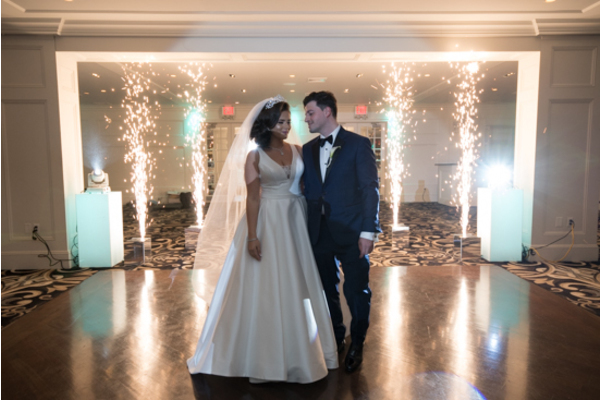 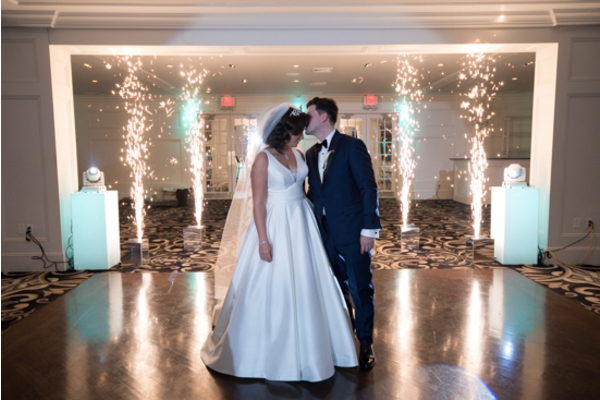 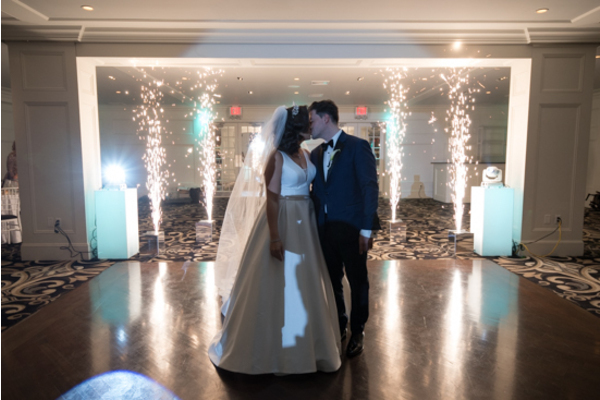 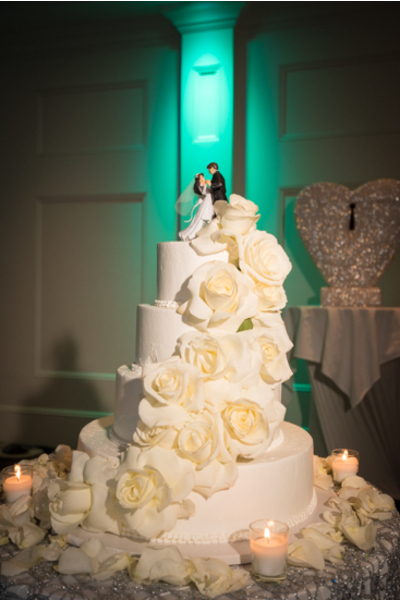 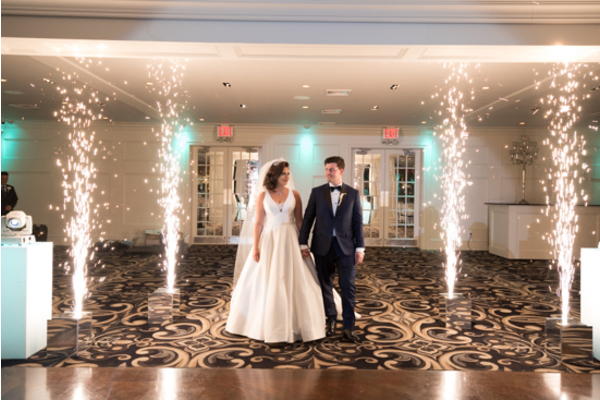 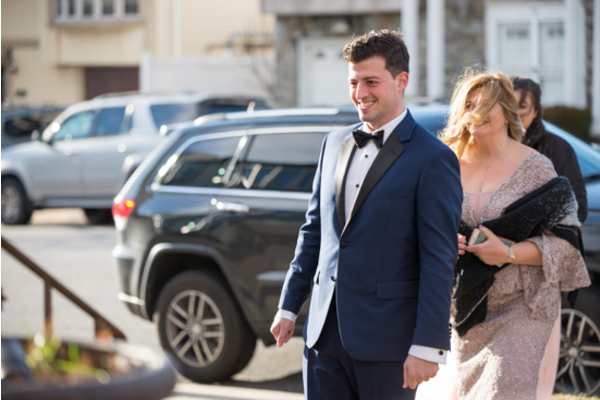 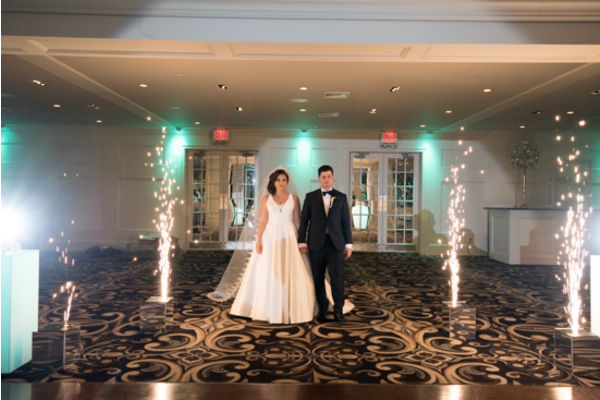 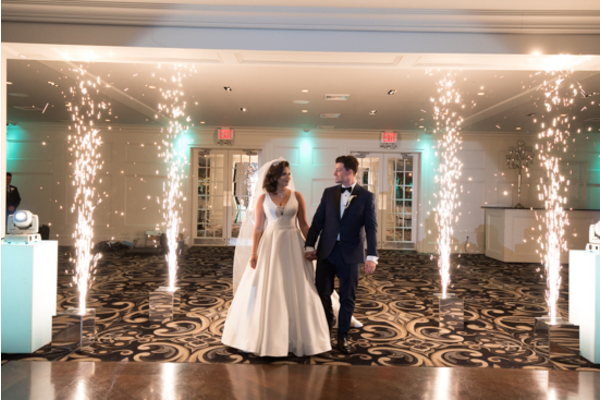 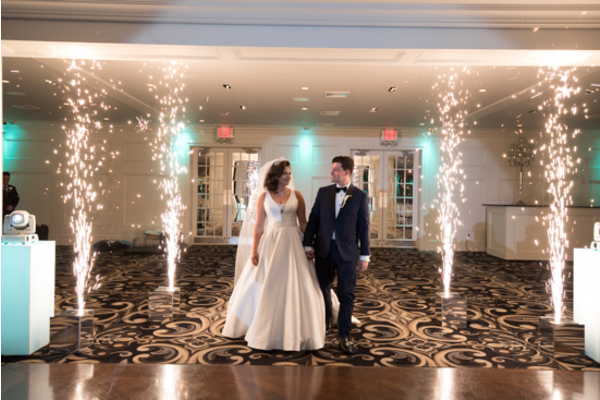 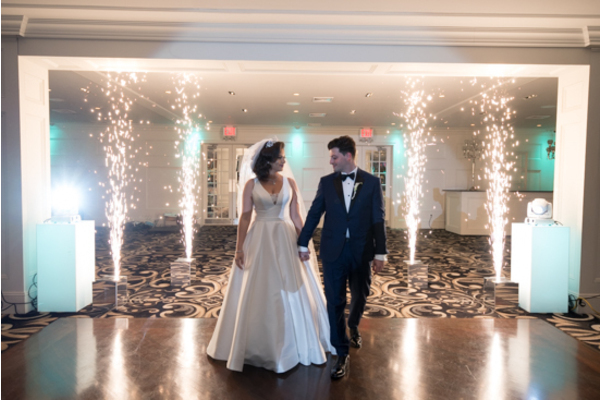 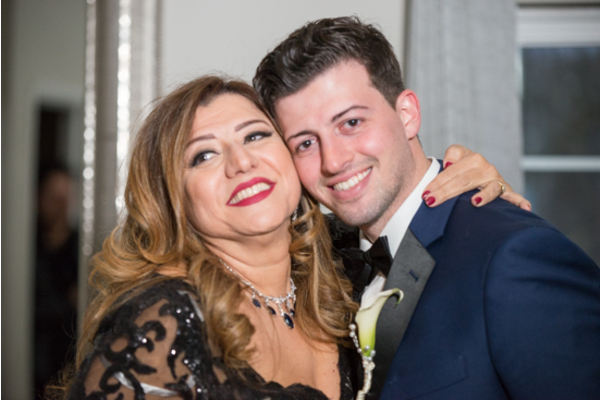 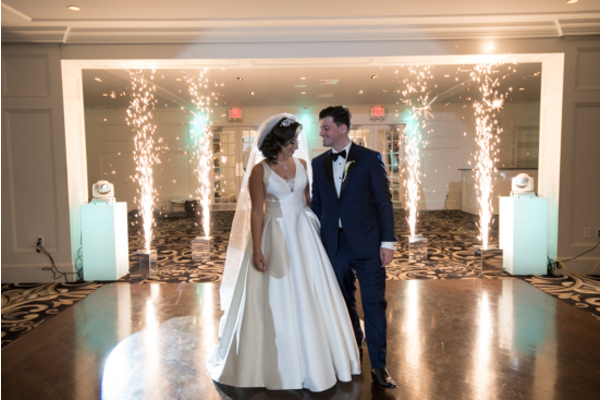 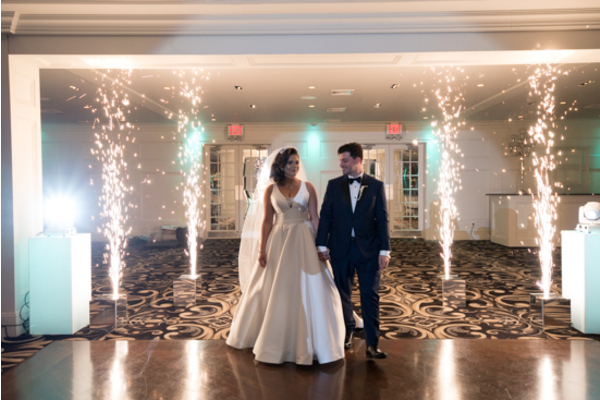 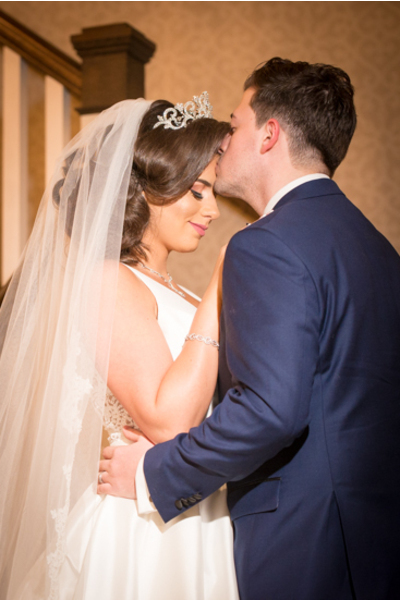 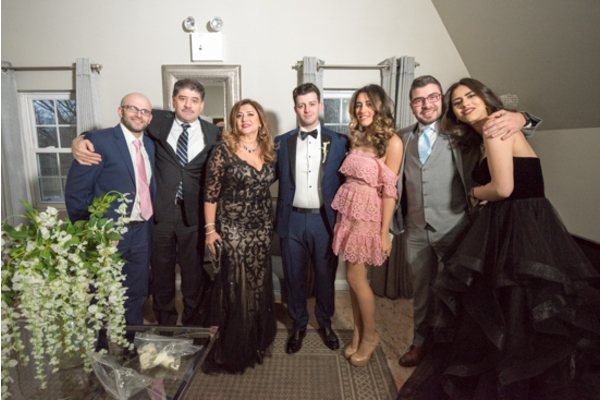 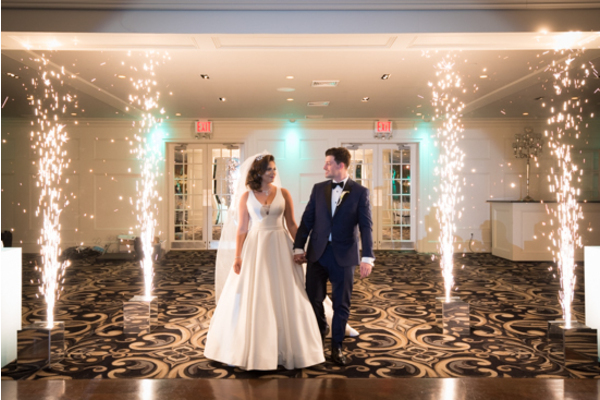 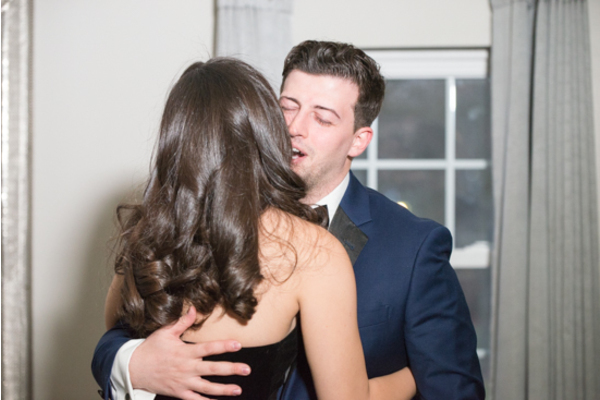 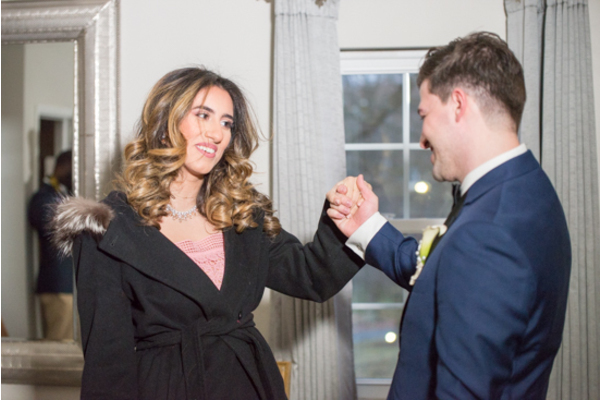 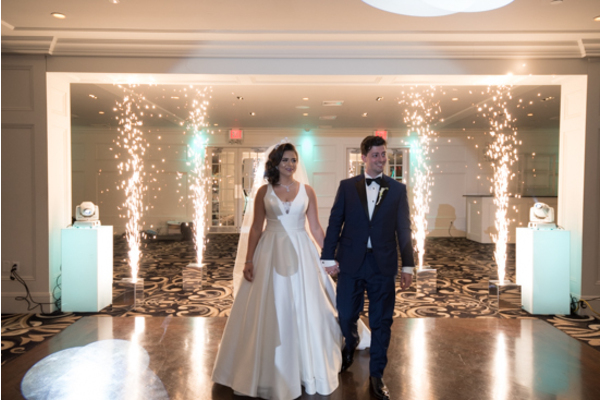 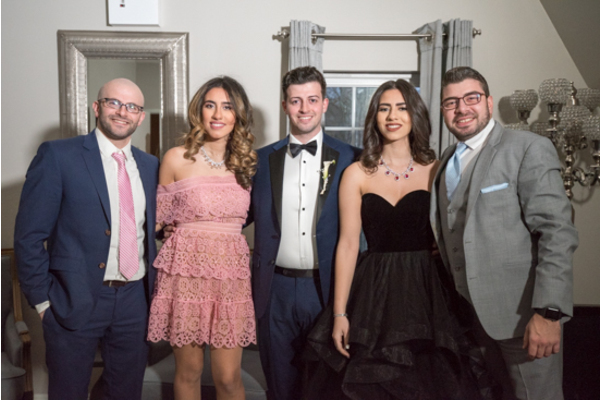 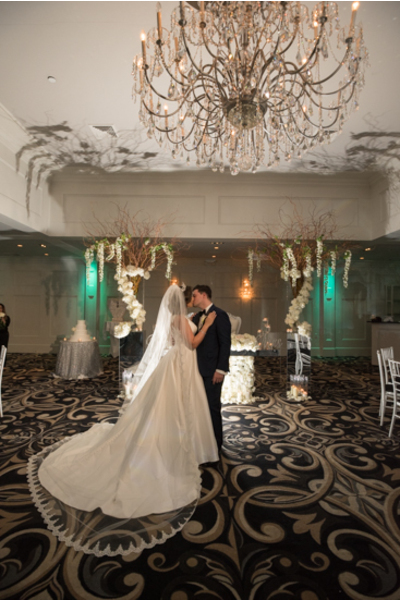 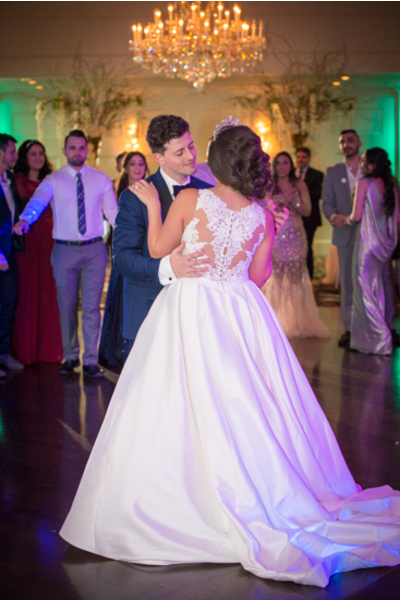 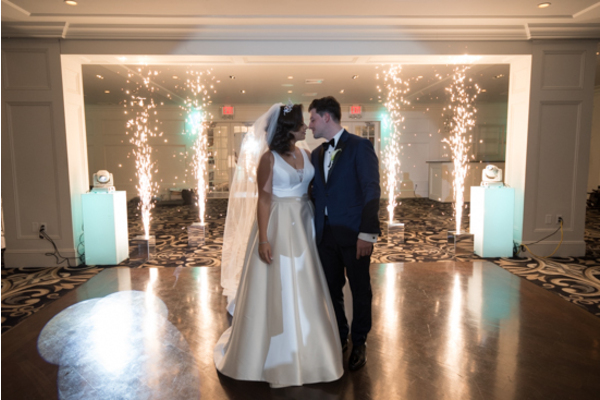 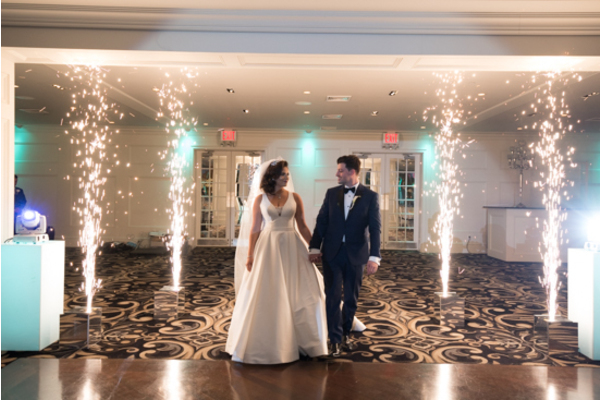 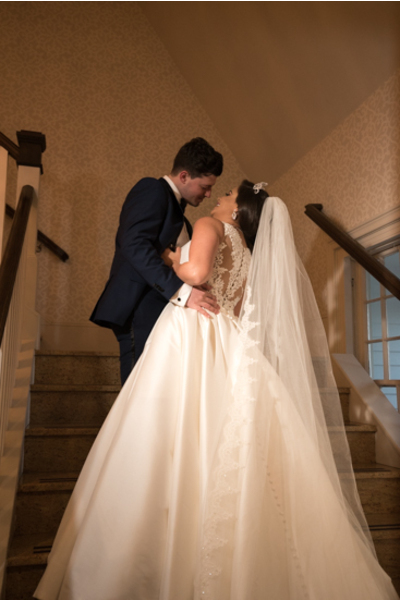 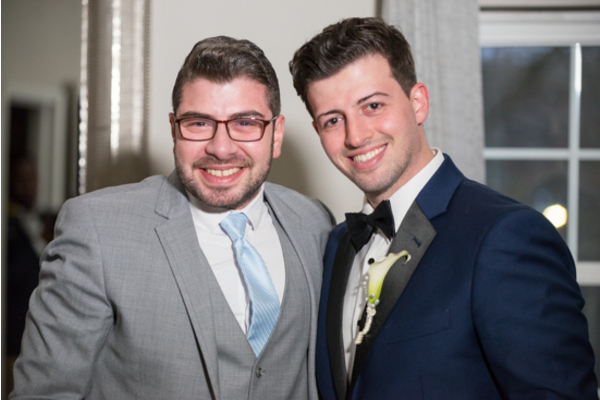 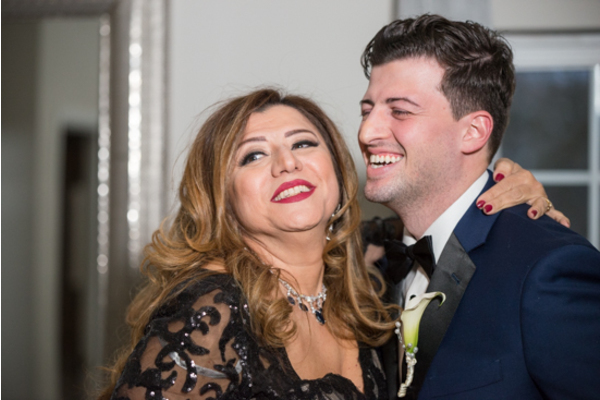 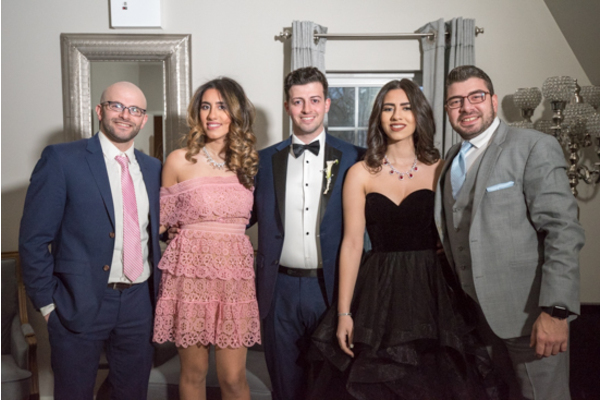 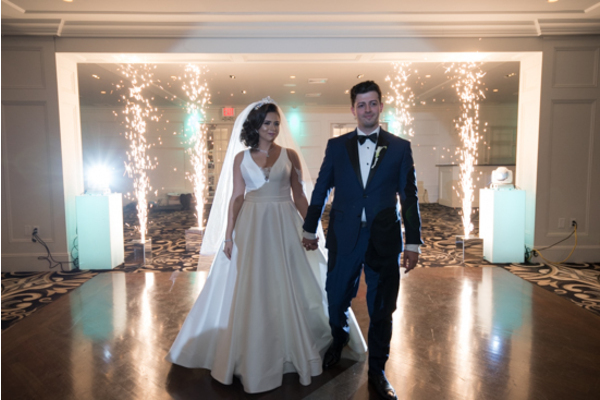 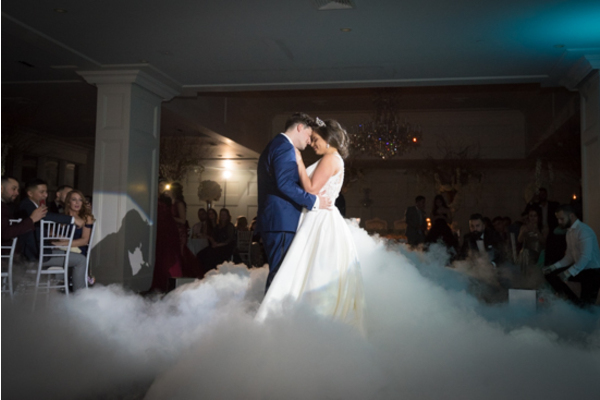 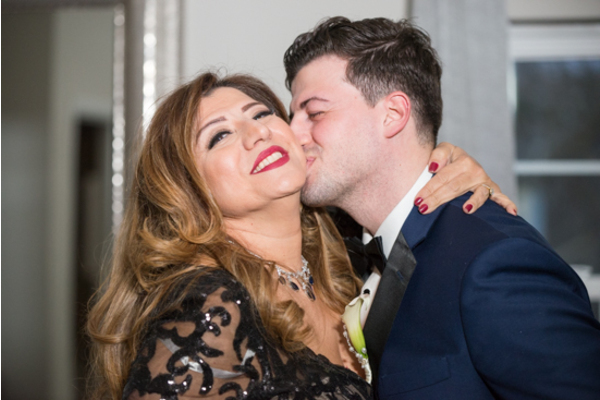 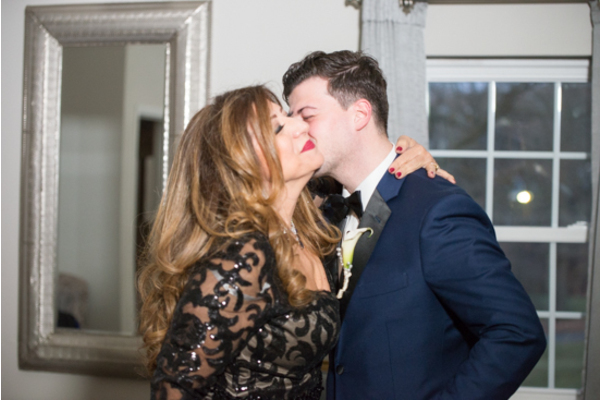 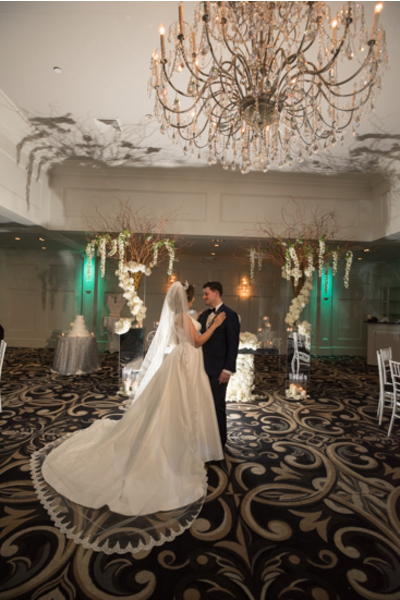 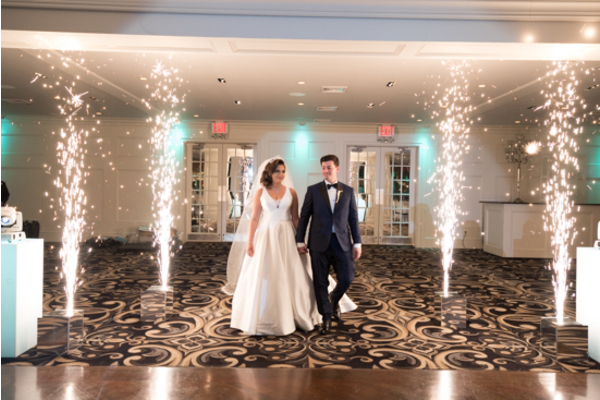 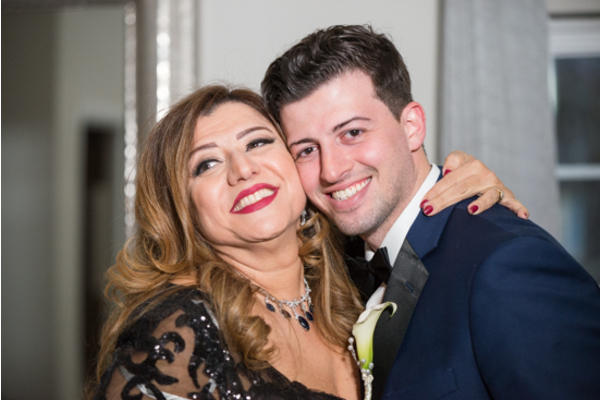 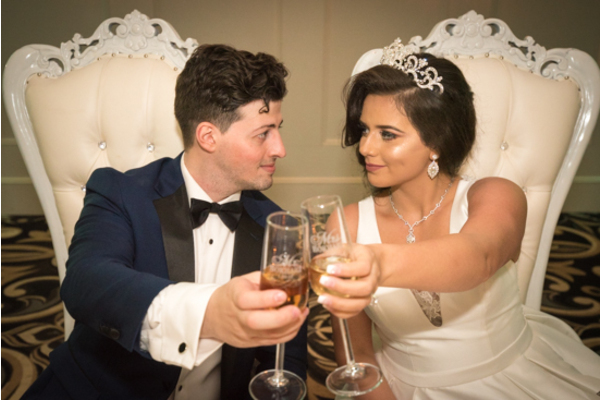 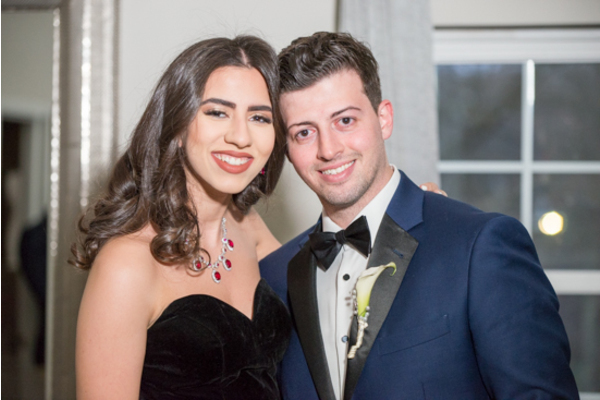 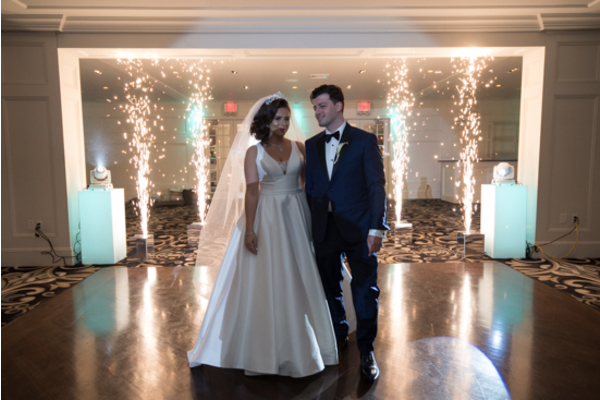 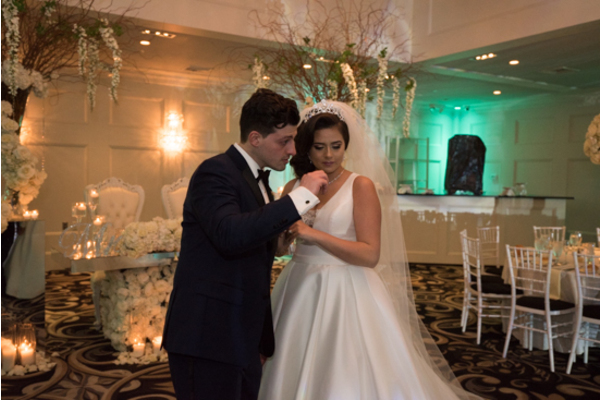 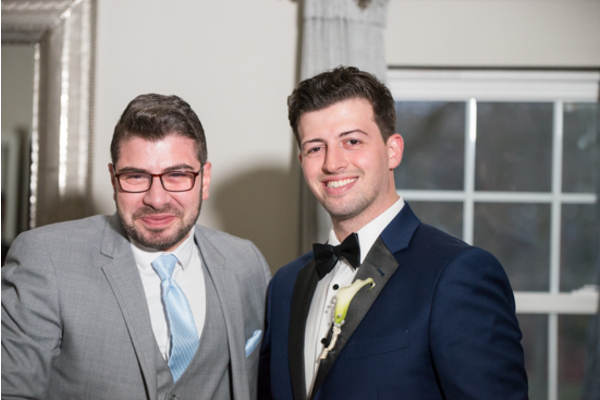 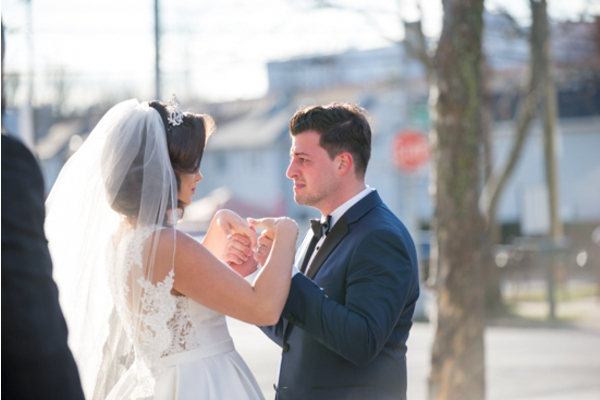 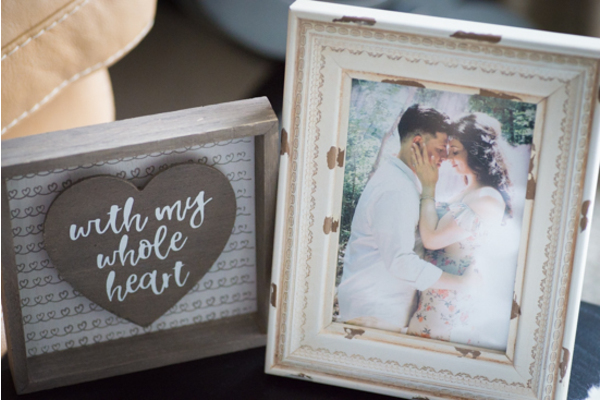 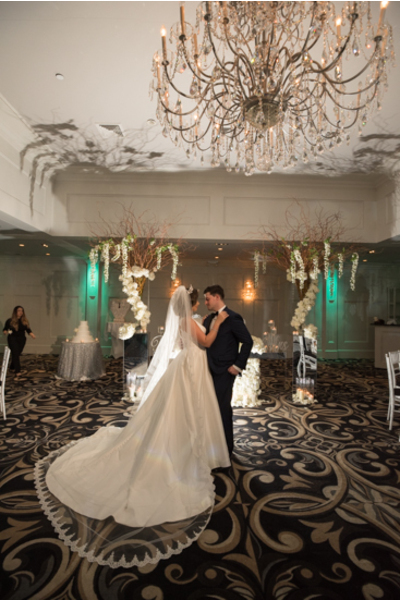 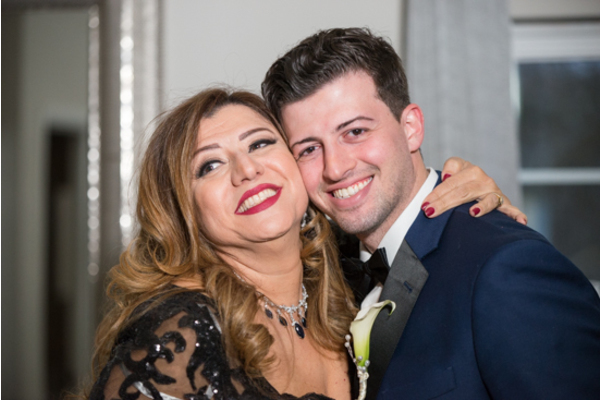 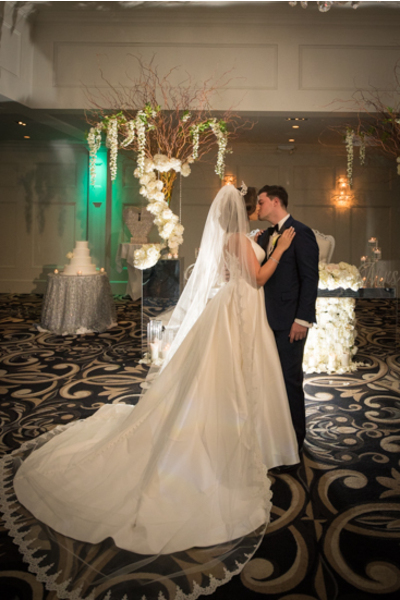 Our NJ Wedding Photographer photographed the night of dancing, indulging in the dinner and cake, and of course, celebrating the lovely couple. 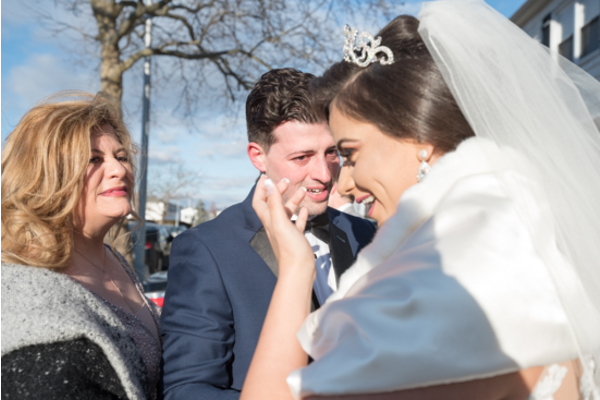 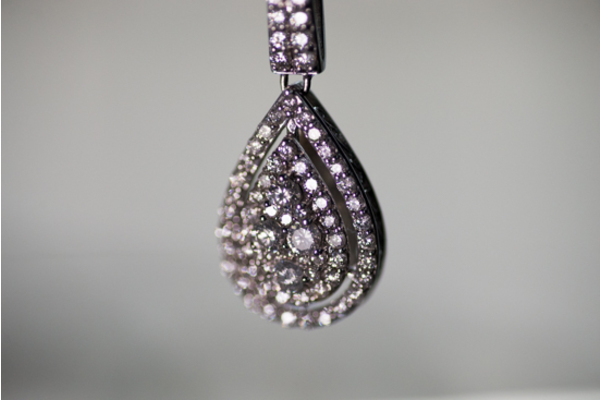 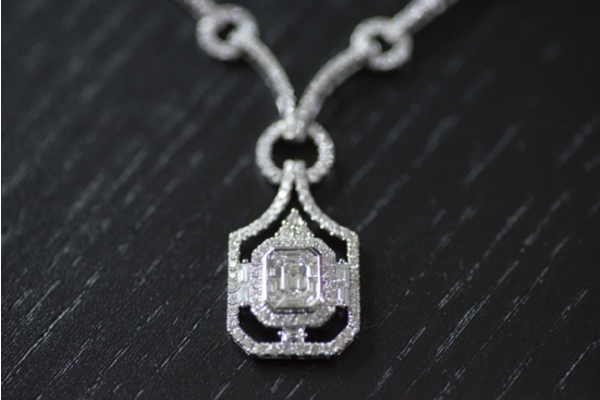 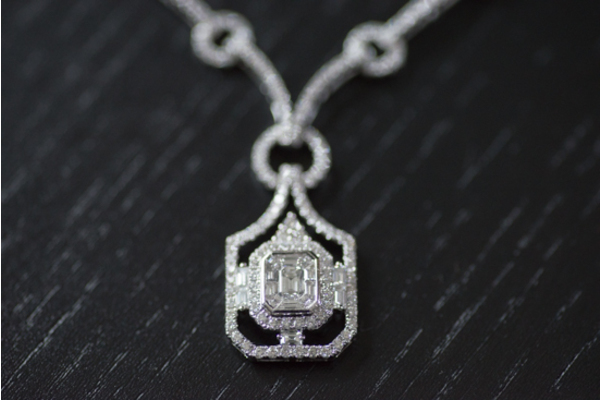 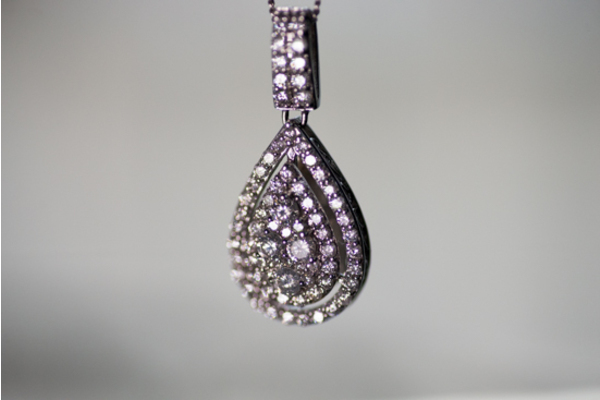 Congratulations, again, to Fatima and Saddik. 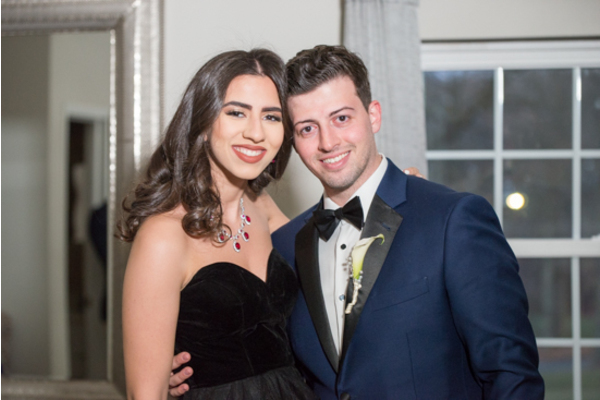 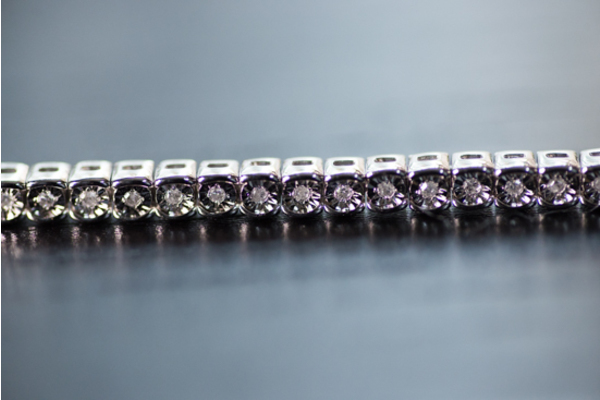 We wish you the best in your bright future together!